Learning about the different types of energy is one of the most exciting areas of science! We have an extensive selection of hands-on products to fill your customers’ classrooms with items like our Drinking Bird, Resonance Bowl, Stirling Engine, Pendulum Wave, Magnetic Putty, and many more tools that teach and excite. Most of the products in our Energy category come equipped with Teacher’s aids in the form of our Teacher’s Guides complete with NGSS and STEM activities, Student Handouts, product videos and more! 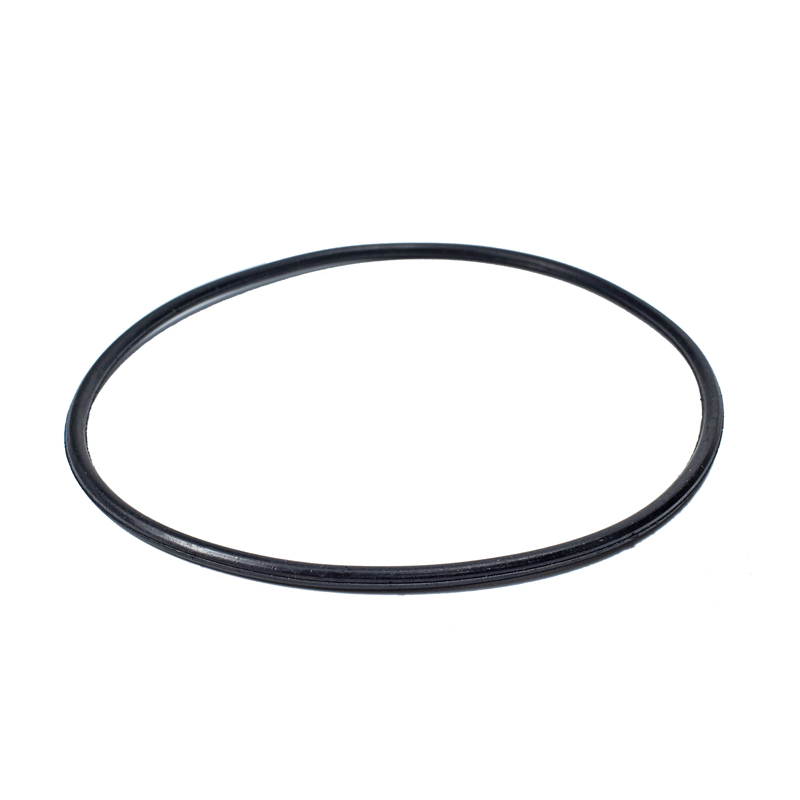 Use this item to provide an external magnetic field and to change the rate of magnetic flux passing through a coil. It consists of a plastic spool with windings of insulated copper. The end plates have brass-binding posts. 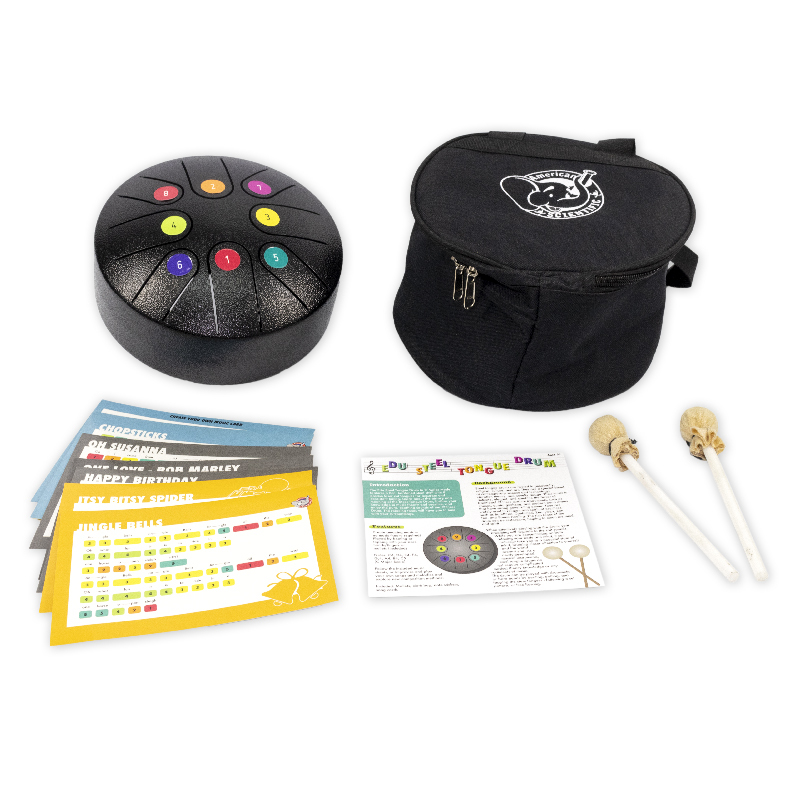 The Edu Steel Tongue Drum in C Major mode features an 8-in. hardened steel shell with 8 precise laser-cut tongues for accurate and consistent tuning. Learn about the history and meaning of the Steel Tongue Drum, further your knowledge of music theory and practice, and enjoy the pure, soothing sounds of the Chinese Drum. The relaxing tones will have you in tune with your surroundings. Type: Tongue Drum Material: Steel Diameter: 8 inches/19 cm Each drum comes with two rubber rods and 1 cloth bag for storage. 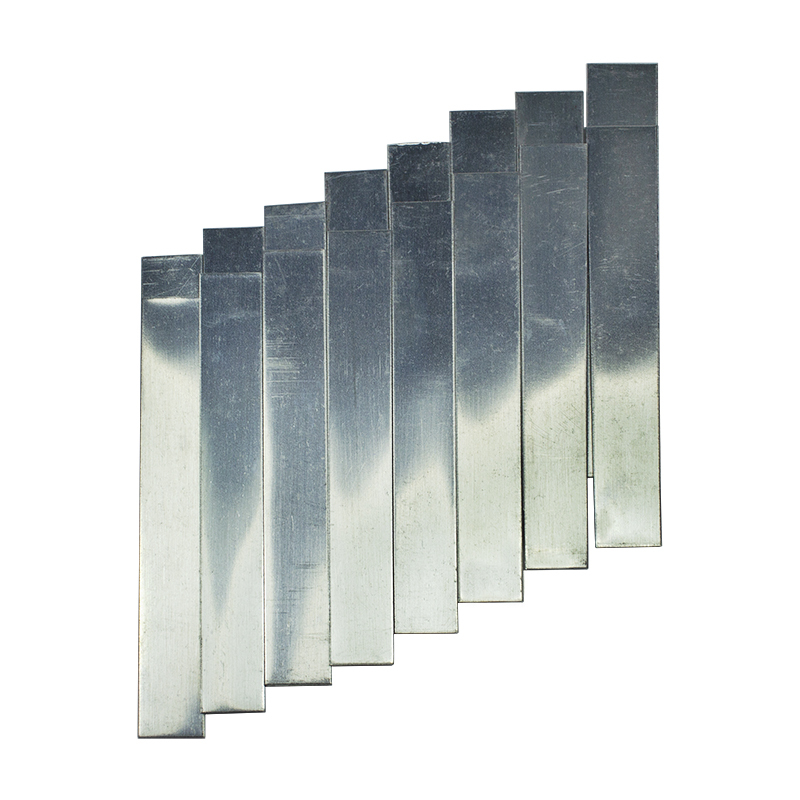 These bars are useful for student demonstrations, plotting magnetic fields, etc. They are made from magnetic steel strips. Each bar is painted red/red and stamped with N and S to indicate north and south poles. Single-tube self-excited Tesla coil, 12v power supply. Can burn paper, can smoke. The Tesla Coil, an invention of Nicolai Tesla in 1891, is also called an electrical resonant transformer circuit that can produce high frequency alternating current electricity with very high voltages at low currents. Tesla Coils consist of two coils (primary and secondary), each with their own capacitor which act similarly to batteries, storing energy. The two coils are connected by a spark gap. When electricity enters the system through an outside power source, the primary coils capacitor saves the incoming energy until its capacity is reached, then the current streams into the primary coil. Once all the energy has left the capacitor, the current is being pushed through the spark gap (a gap of air between two electrodes) into the secondary coil. The two coils will then pass the energy back and forth. 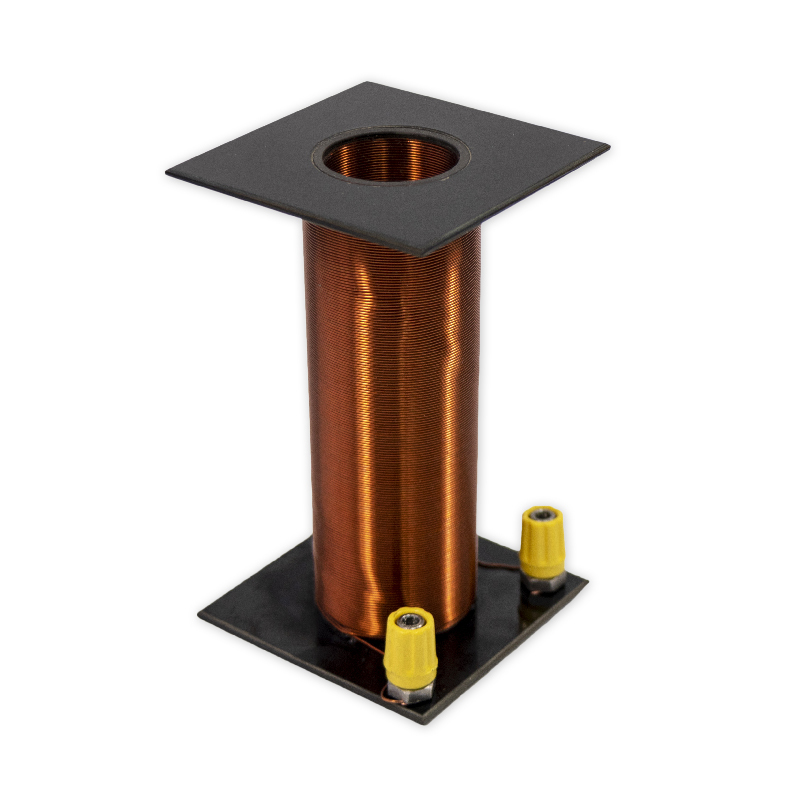 At the top of the coil, a top-load capacitor concentrates the current and eventually can produce ‘lightning’ – a visual representation of energy! While Tesla coils today do not serve any other purpose than to be an educational tool to demonstrate scientific principles, a version of the coils is still being used in certain devices. 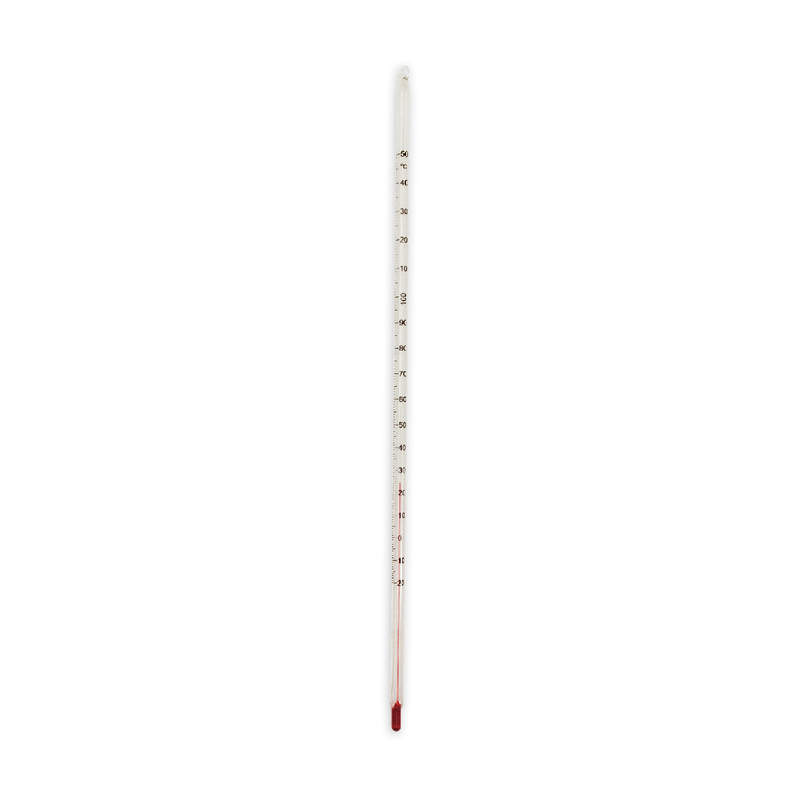 Use this thermometer for classroom or outdoor use. 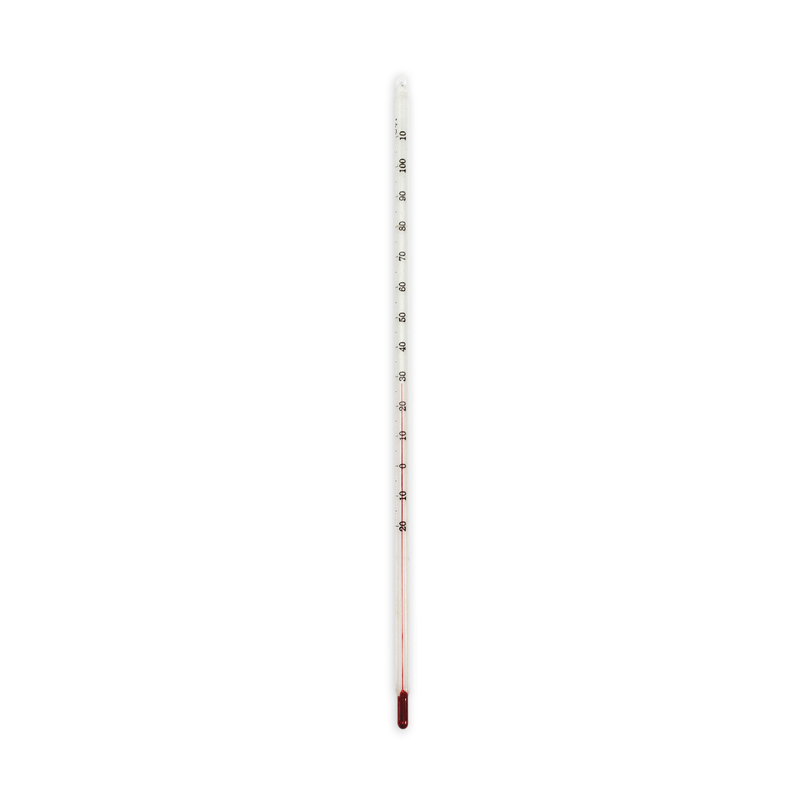 It is a spirit-filled glass thermometer mounted on a rust-proof v-back aluminum plate. 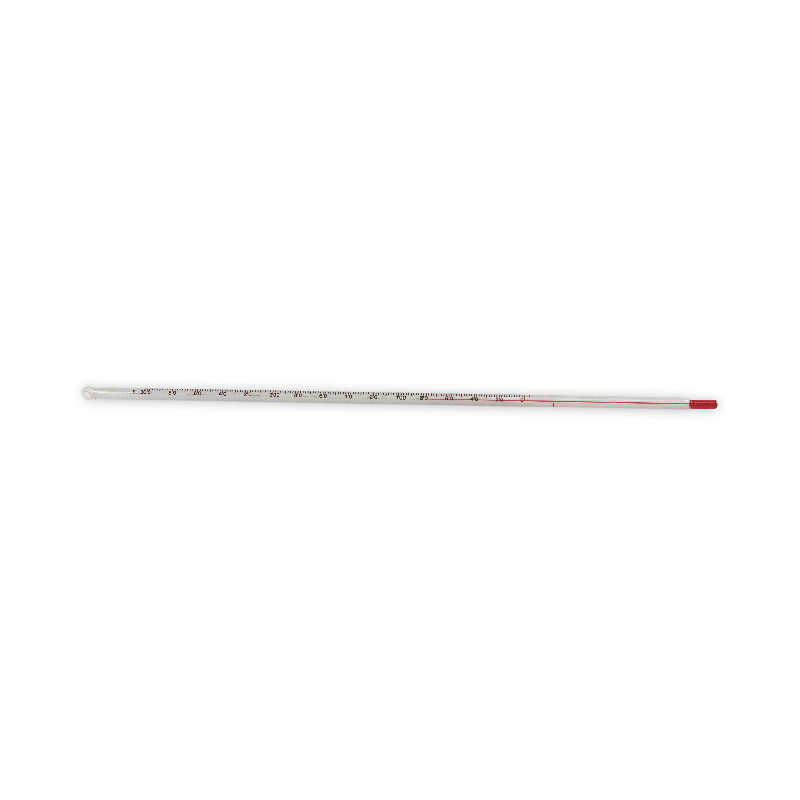 The thermometer has a dual scale: -30° to 110°C. Illustrate the power of wave motion with these Chladni plates. By putting a thin layer of sand on a plate and vibrating it, you can visually demonstrate different wave patterns. These plates are for use with our Sine Wave Generator (Item #8410-00) and Wave Driver (Item #8420-00). 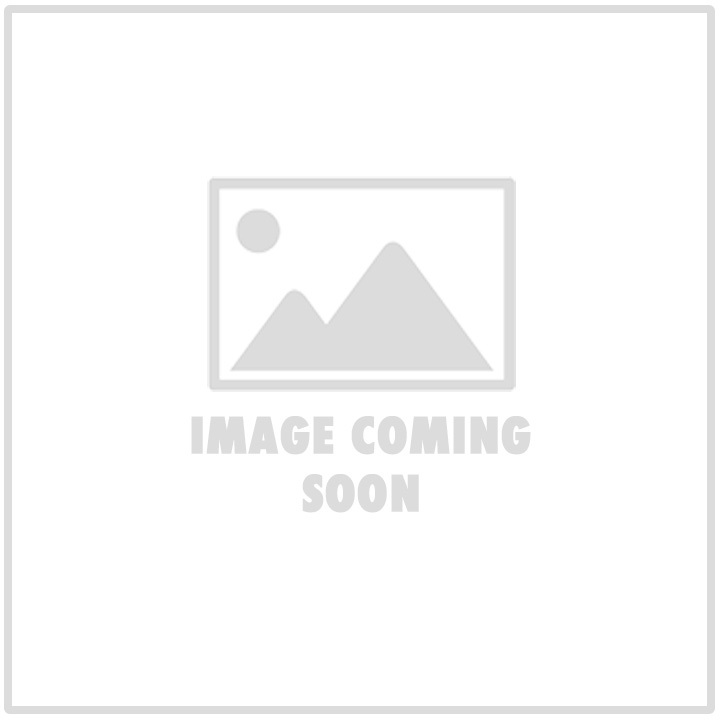 • 1 round Chladni plate, 12″ Dia. 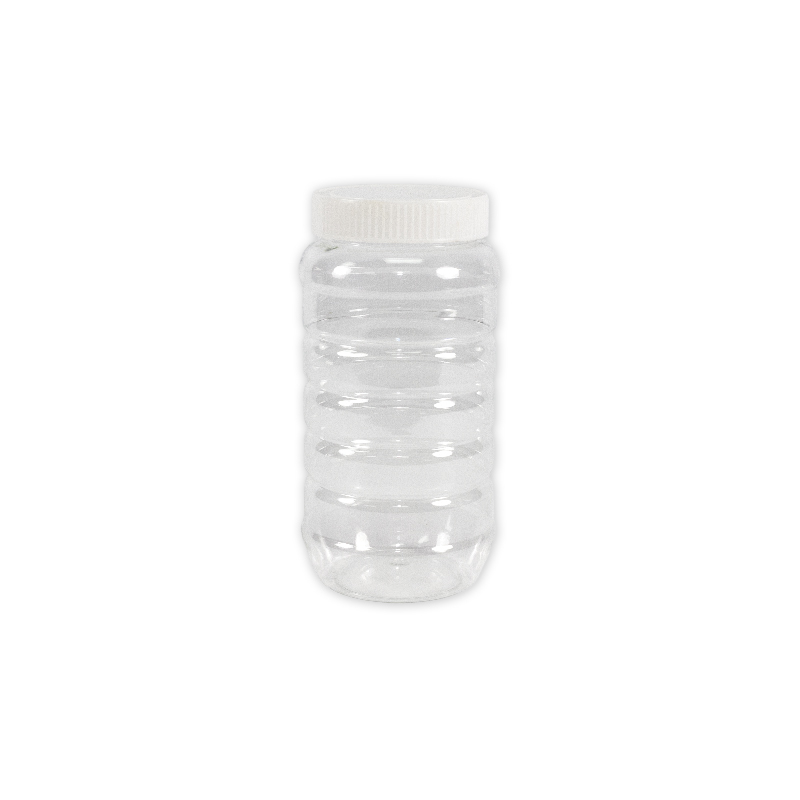 This Large Plastic Container can be used to hold sand for Chladni plates. 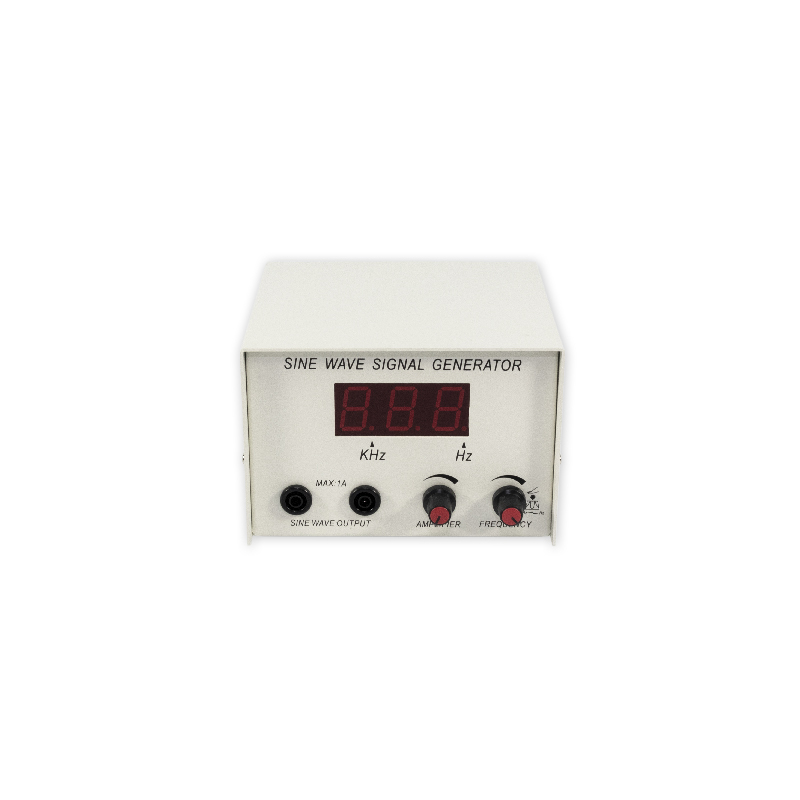 This Sine Wave Generator can be used with the Wave Driver (8420-00). 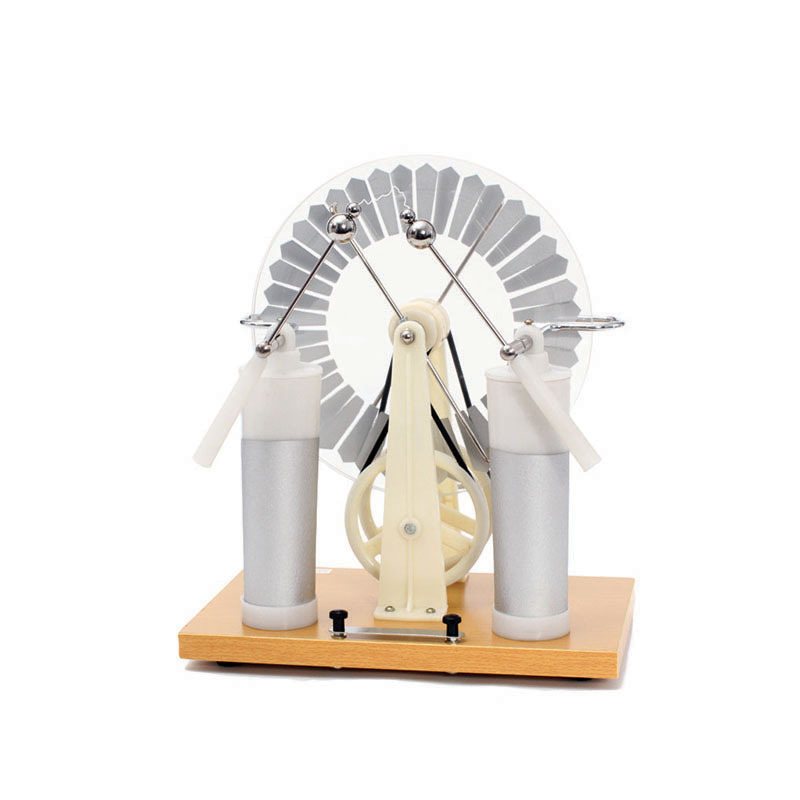 Together, they form the Vibration Demonstration Kit, which shows sine waves as they travel across a medium. 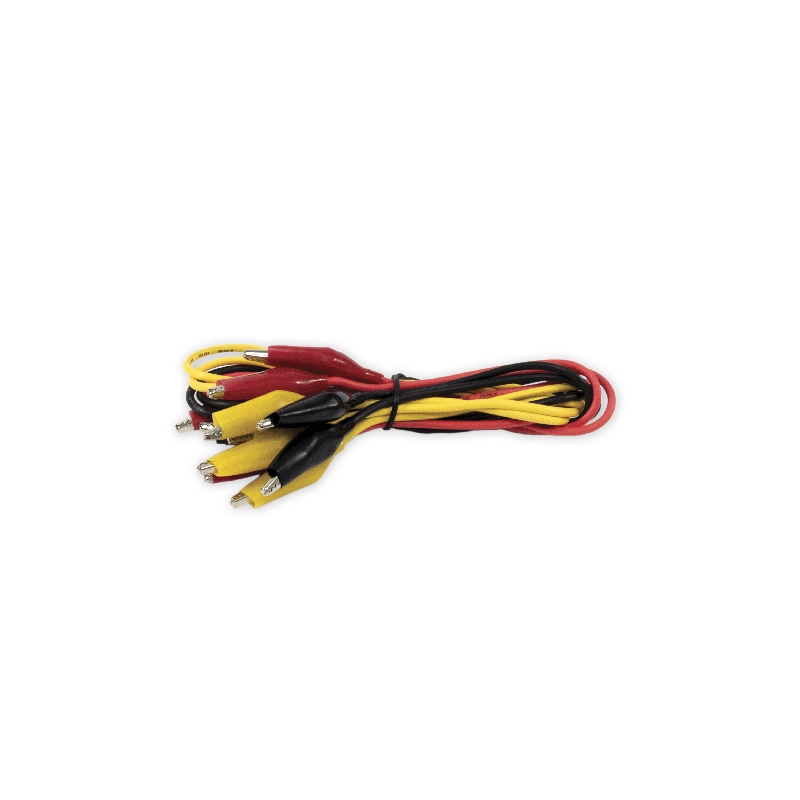 • Power supply – 1 A max. This container can be used to shake out sand for Chladni plates. Burner only for the Stirling Generator. Alcohol not included. 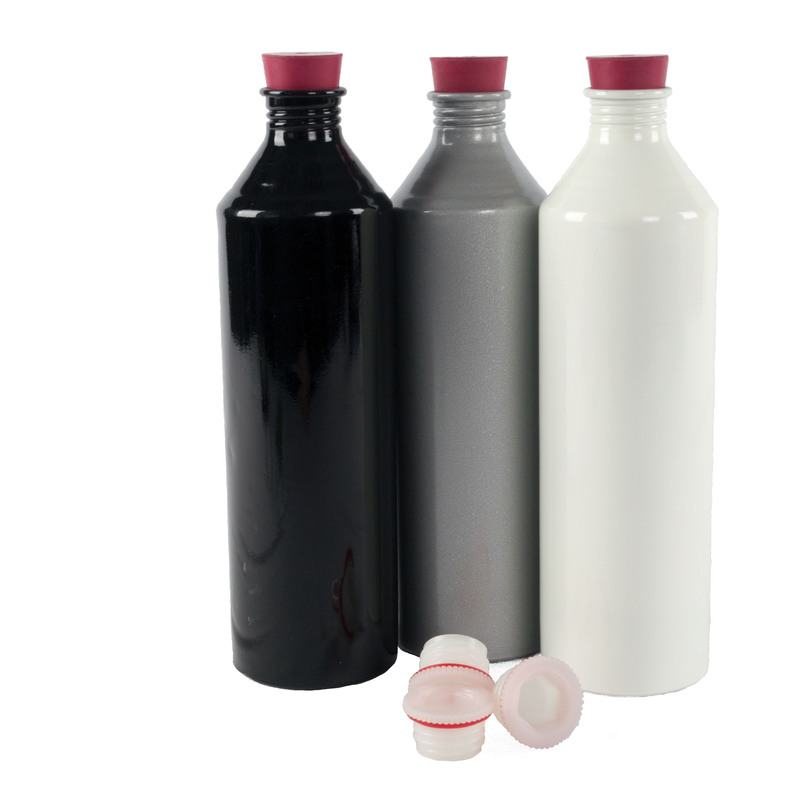 Use this product with our Fan Cart (Item #3568-00). 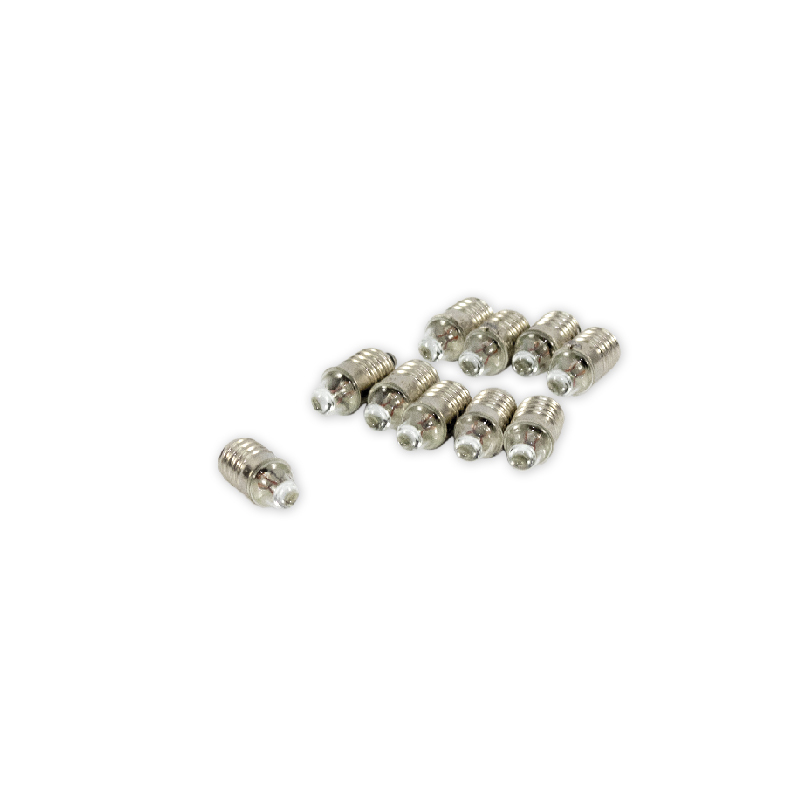 Small but mighty, these magnets are great for classroom demonstrations. They offer a powerful illustration of the force of magnetic fields. This special paint can help create electrical circuits on almost any surface, and dries in under 15 minutes to become conductive. 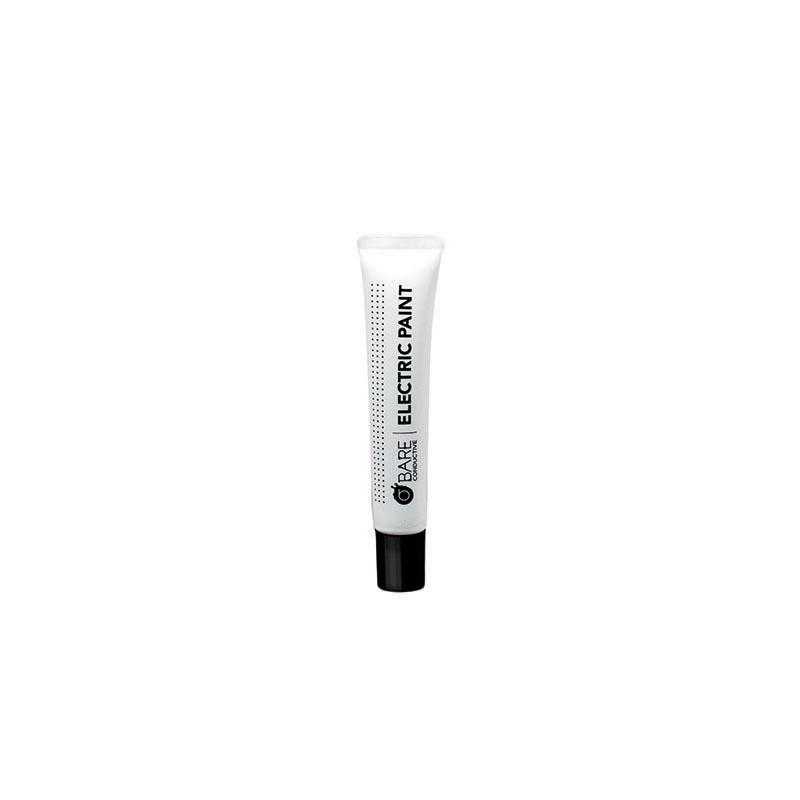 Electric Paint is like a liquid wire; it can act as a conductive adhesive, it can be used as a capacitive sensor, and it is suitable for application on a wide range of materials from fabric to wood to paper. 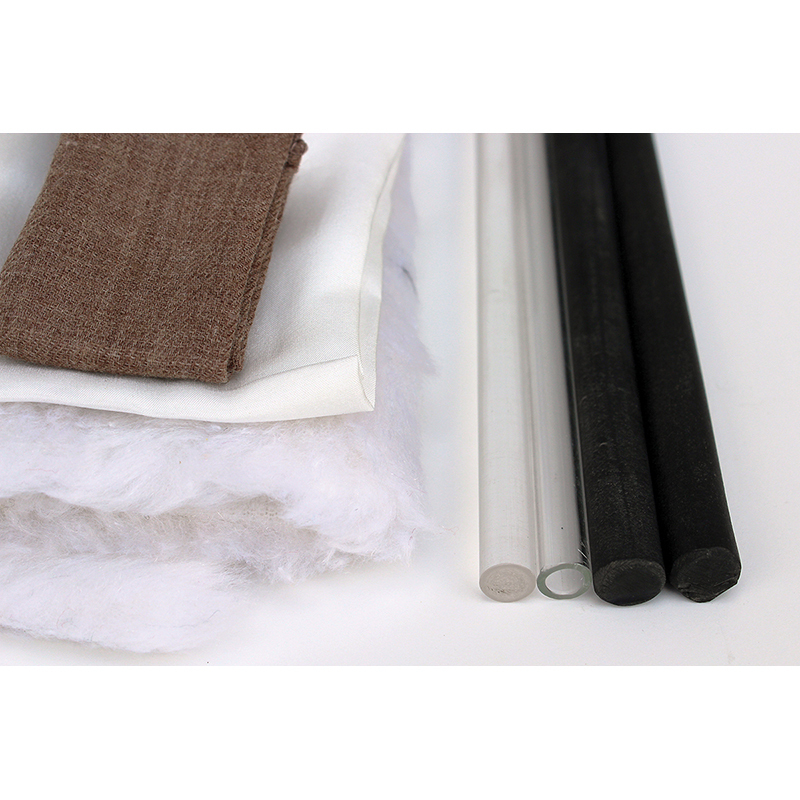 Whether used to lead a class in painting circuits, cold solder components onto paper, or create a cardboard piano, this material is a quick and safe addition to your toolbox. Use this product for exceptional classroom engagement. Allow students to work in teams to hypothesize and test theories. Mess-free magnetic field study means there is no need to clean up iron filings. 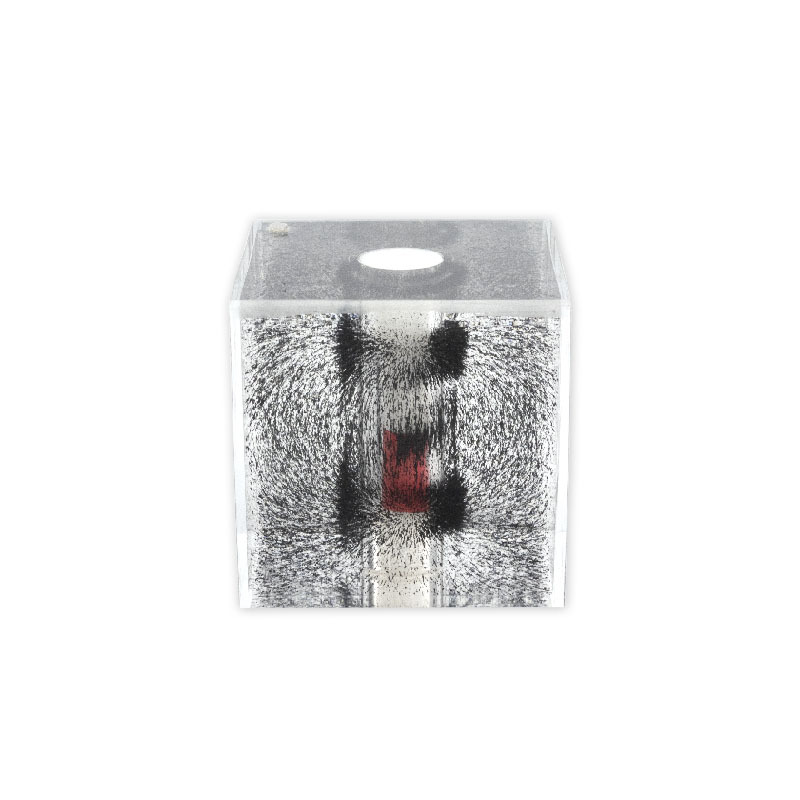 The clear cube is filled with iron filings suspended in a solution, which make it possible to view magnetic field patterns easily by adding a magnet into the center of the cube (magnet is included). The patterns can be observed from all angles and easily manipulated with other magnets from the outside of the cube. 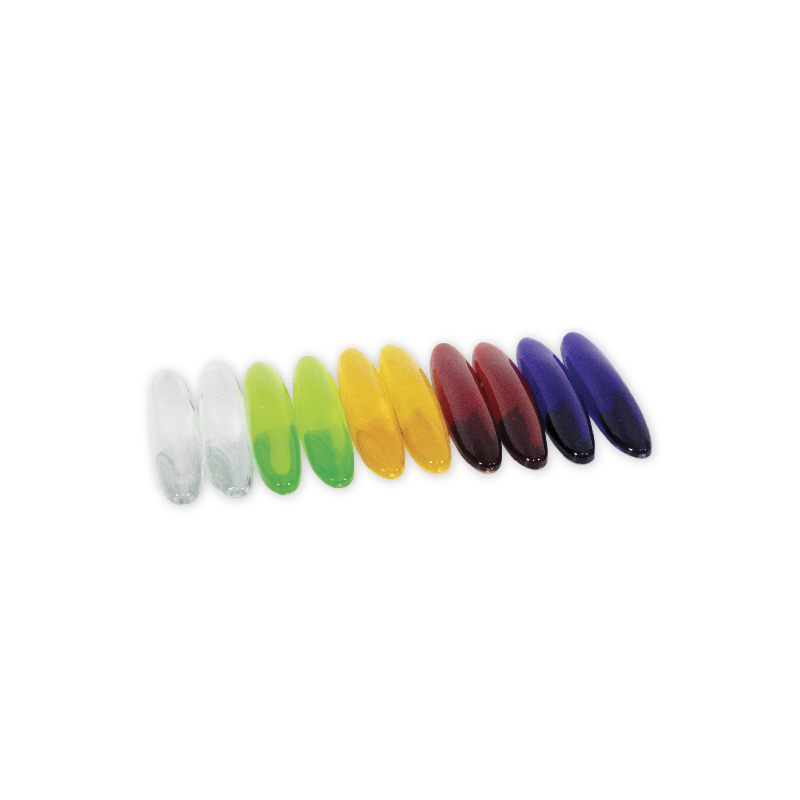 The clear acrylic material also allows for overhead projection for whole groups to view. These one-of-a-kind tops, called Tippe Tops, have a smooth, mushroom-like shape. The tops will right themselves when pushed onto their sides. When spun, they will rotate and slowly turn themselves upside down to spin onto their ‘stems,’ due to their offset centers of mass. This seemingly simple ‘toy’ packs a big scientific punch; use it to explain concepts such as moment of inertia, angular momentum, rotational force, gravity, and friction. 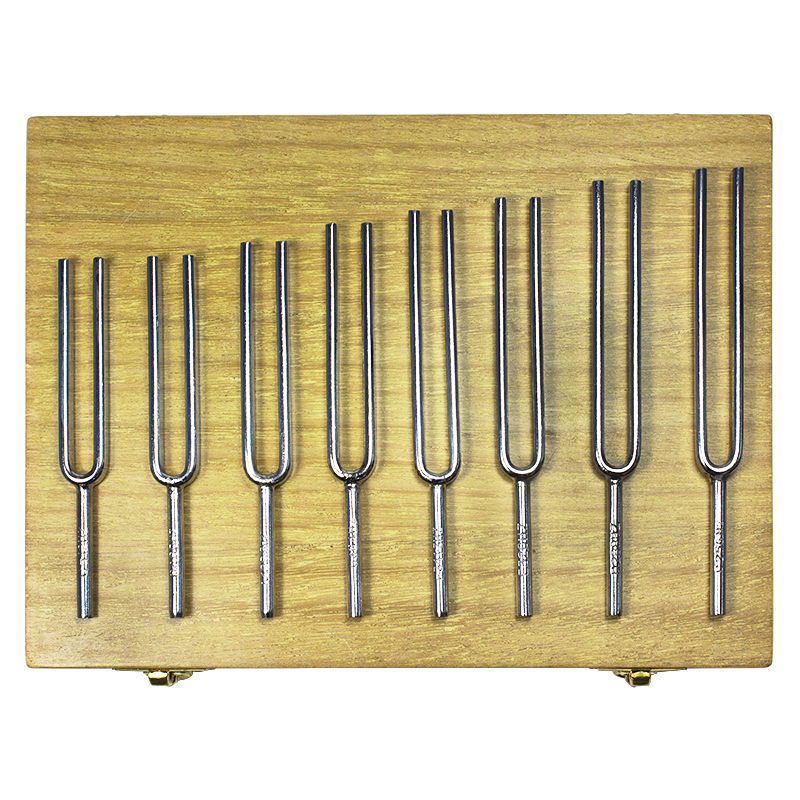 This set of 4 tuning forks includes 1 each of the following frequencies: 256, 320, 384, 512 Hz. These forks are useful to demonstrate the energy and vibration of sound. They are a great addition to many classrooms as well as labs. How many breaths does it take to fill up an 8 ft long plastic tube? JUST ONE! Explore Bernoulli’s principle of air pressure with this long plastic bag. If you place it firmly to your mouth (like a balloon), it will take many breaths to blow it up. But if you hold it out in front of your mouth and blow, air pressure in the stream you produce is reduced, entrapping surrounding air to join in, filling up the bag. You can blow it up with a single breath! This is especially effective after your students have counted many of their own breaths in attempts to fill up the bag! 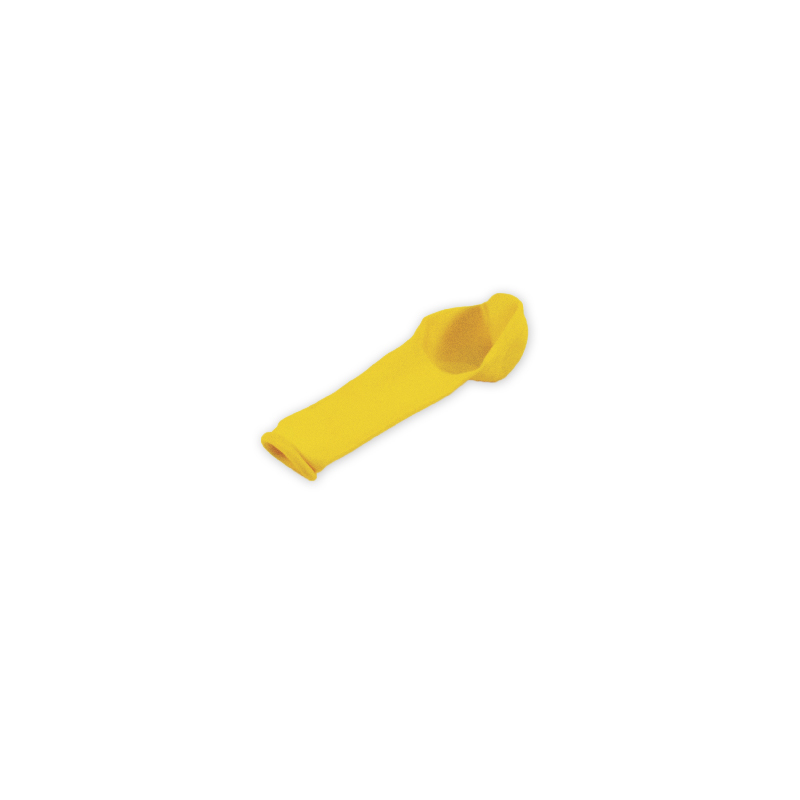 Use these holders to attach accessories like Chladni plates or springs to our Wave Driver (Item #8420-00). 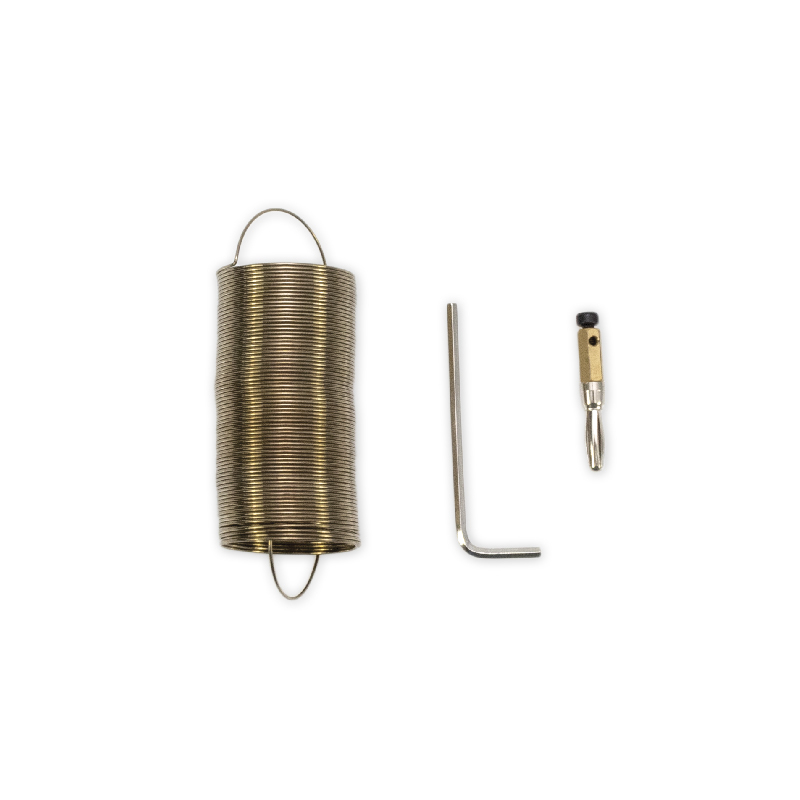 This Spring Kit is for use with our Sine Wave Generator (Item #8410-00) and Wave Driver (Item #8420-00). Connect the spring to see longitudinal waves in action! It offers a vivid demonstration of important principles in physics. 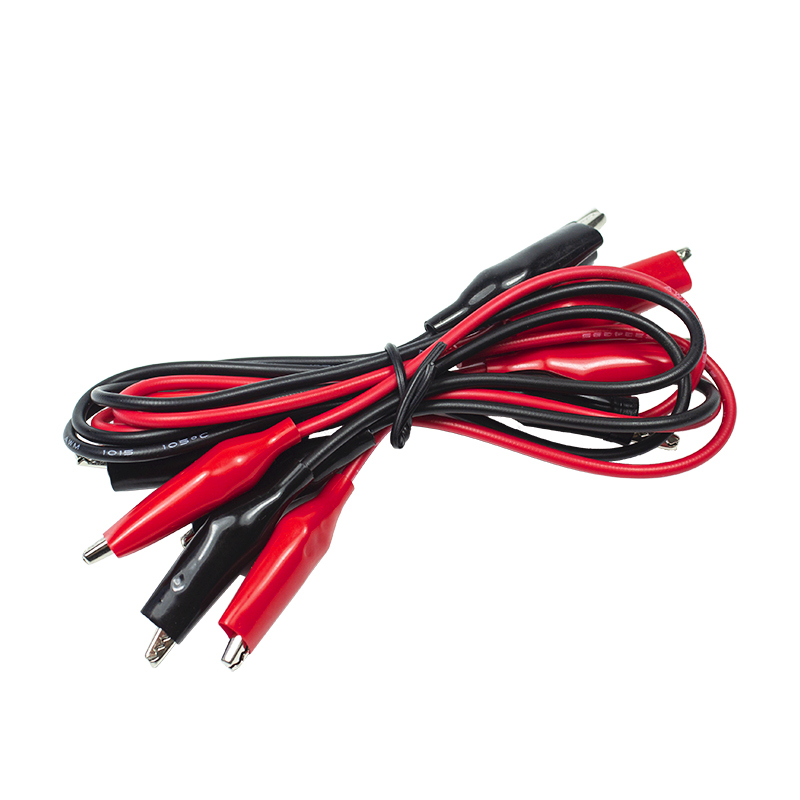 This Cord Kit is for use with our Sine Wave Generator (Item #8410-00) and Wave Driver (Item #8420-00). Use the elastic cord to see longitudinal waves in action! It offers a vivid demonstration of important principles in physics. Use these strips with our Sine Wave Generator (Item #8410-00) and Wave Driver (Item #8420-00) for a captivating illustration of the principles of resonant modes. Because they are different lengths, the strips will noticeably oscillate at different frequencies. 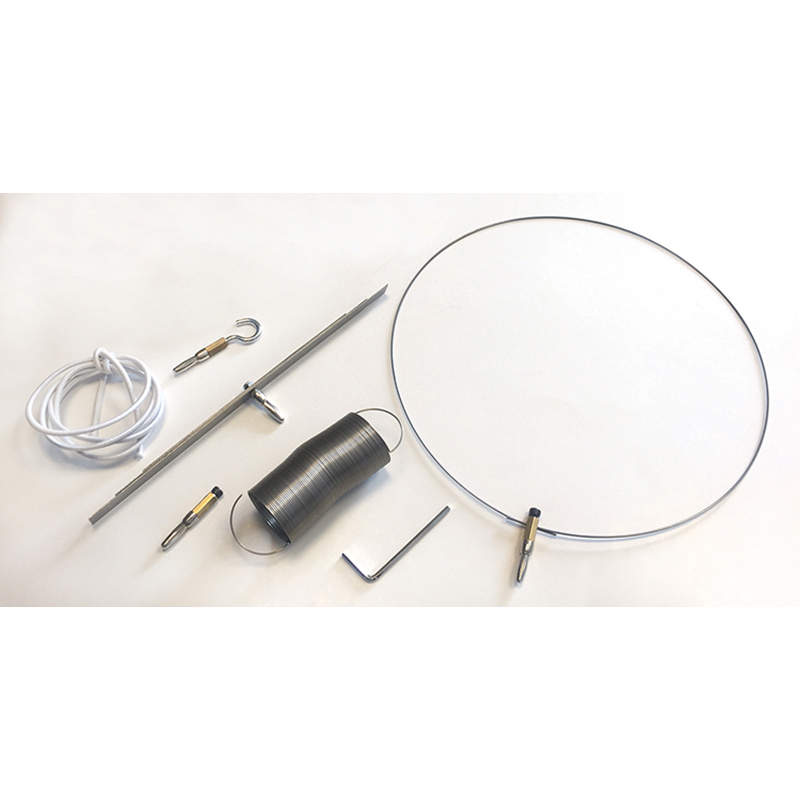 This Wire Loop Kit is for use with our Sine Wave Generator (Item #8410-00) and Wave Driver (Item #8420-00). Use it to illustrate the patterns of standing waves. It offers a vivid demonstration of important principles in physics. 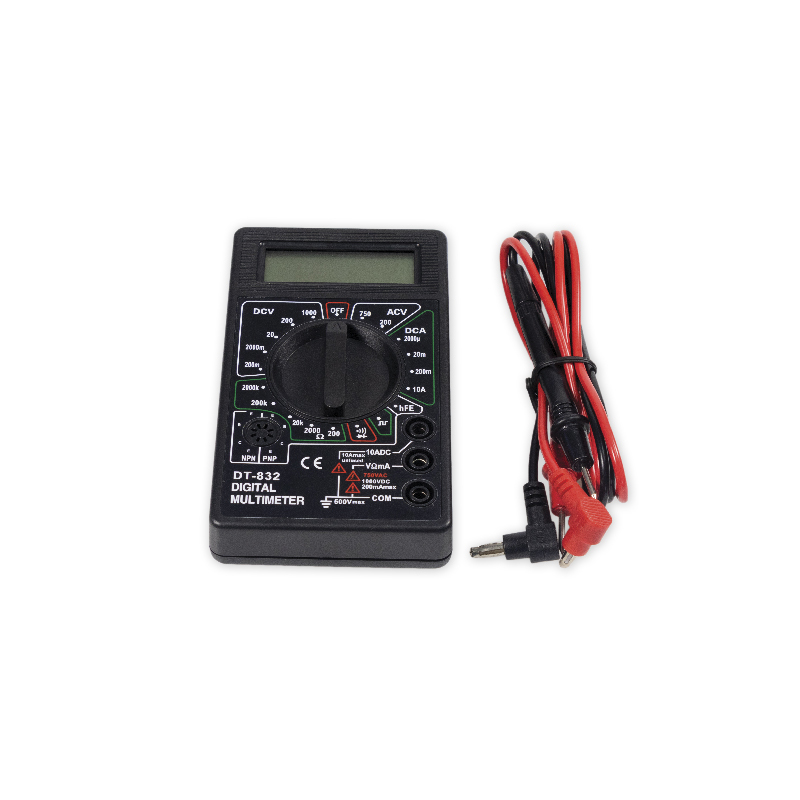 This Wave Driver can be used with the Sine Wave Generator (Item #8410-00) to form the Vibration Demonstration Kit. The kit shows sine waves as they travel across a medium. Connection wires are included. 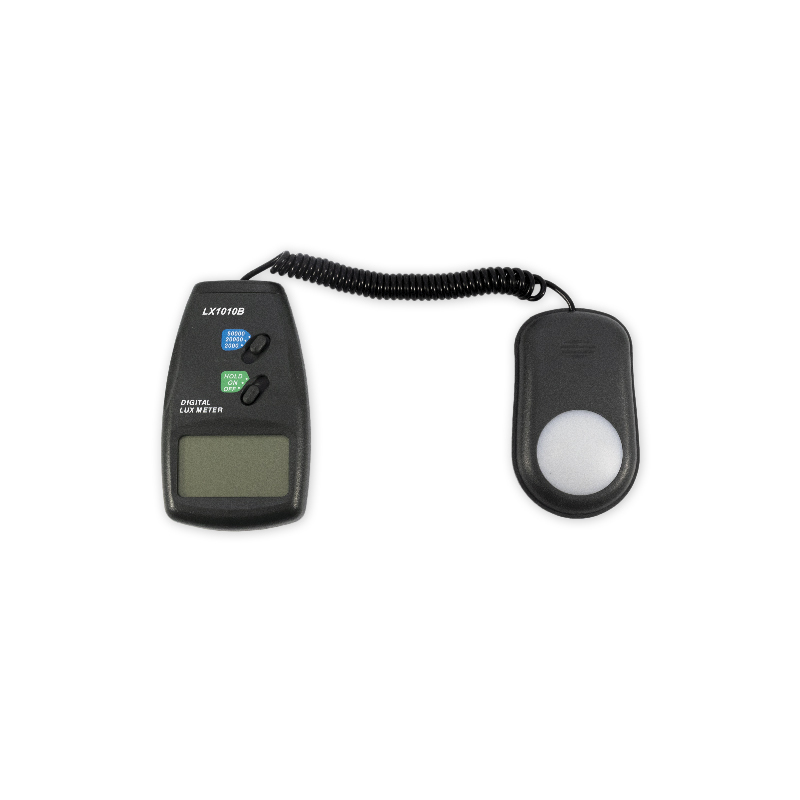 It is truly a great, quality demonstration device at a low cost! 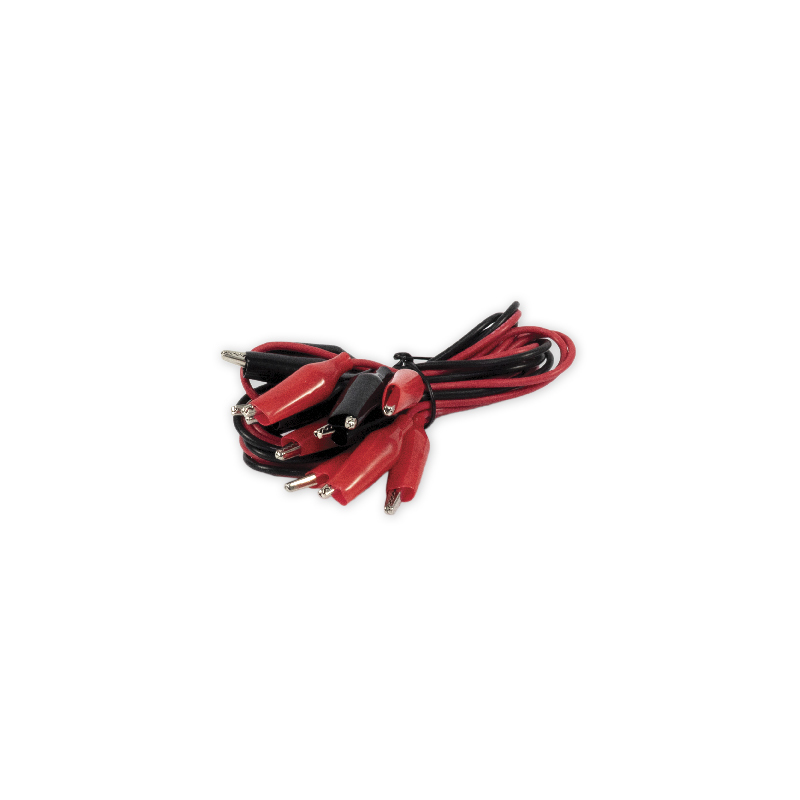 This PVC-insulated copper wire has 2″ (50 mm) PVC-insulated alligator clips on both ends. It is useful for making circuits and electrical demonstrations. 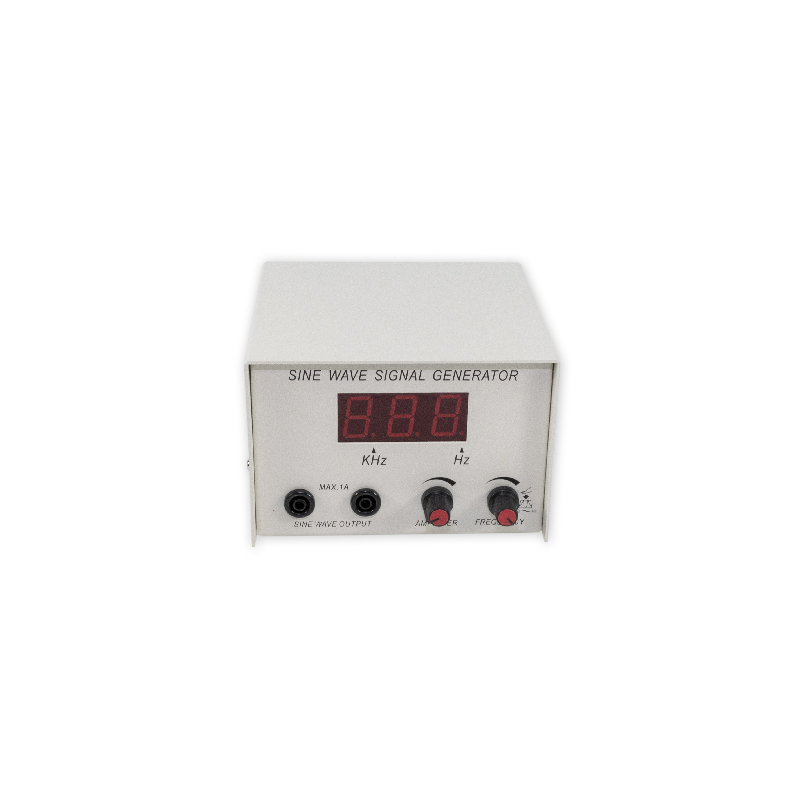 Use this machine to generate static electric charges and cause electric discharges. Turn the hand crank to rotate the 2 high-resistance plastic disks in opposite directions. Disk Dia. 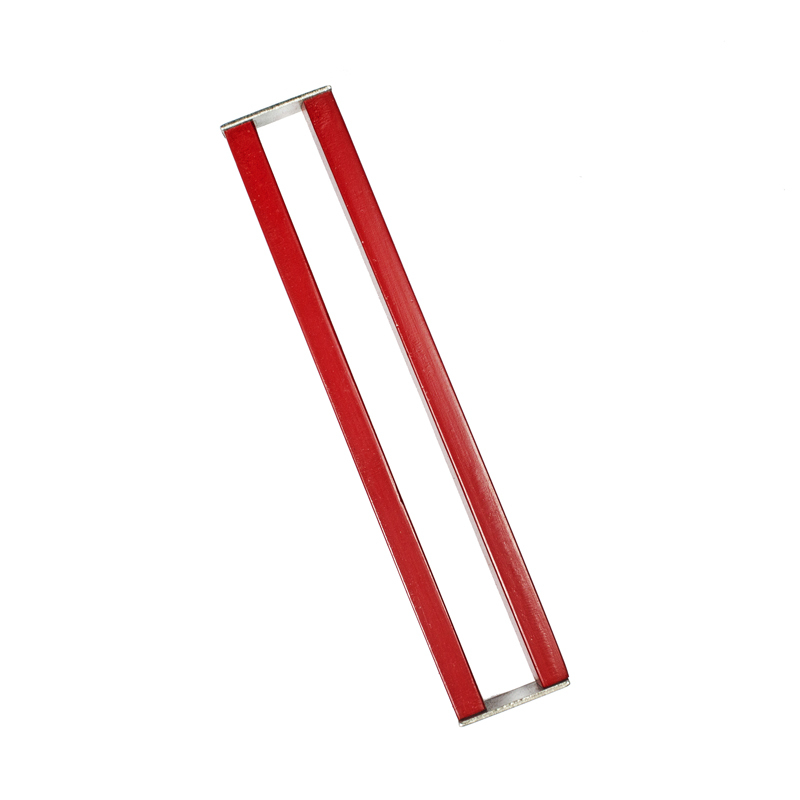 is about 10″ (250 mm) with equally spaced metal sectors. A rapid sequence of sparks can be generated by lowering the system’s capacitance. Discover how sunlight can be converted to energy. Experiment with changing the angle of the solar panel, adding weight, running it uphill, and running it on rough and smooth surfaces. 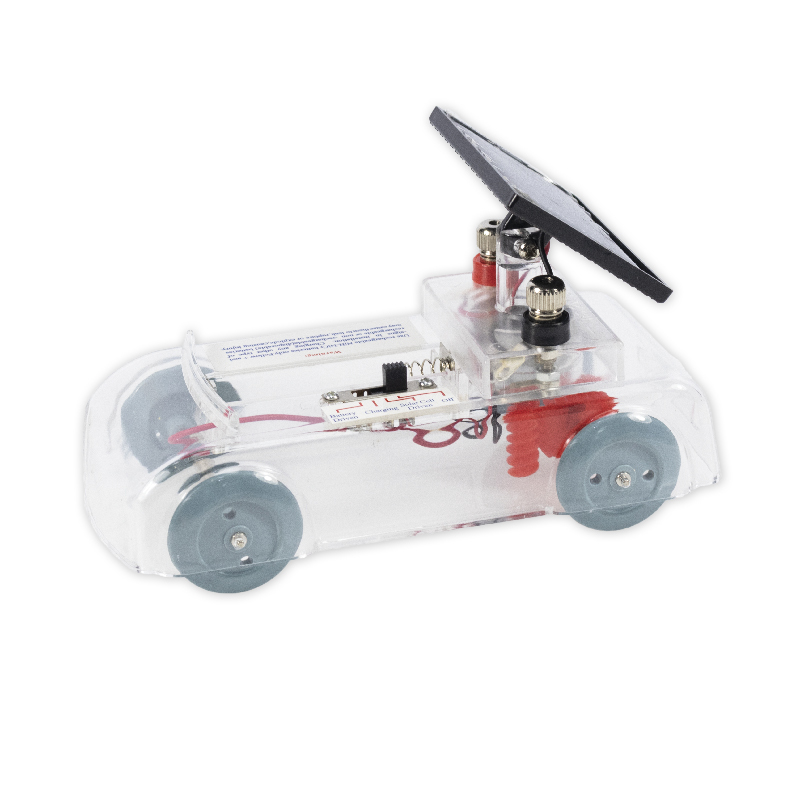 The dolly runs on solar power or batteries; switch to solar drive, battery drive, or battery charge! 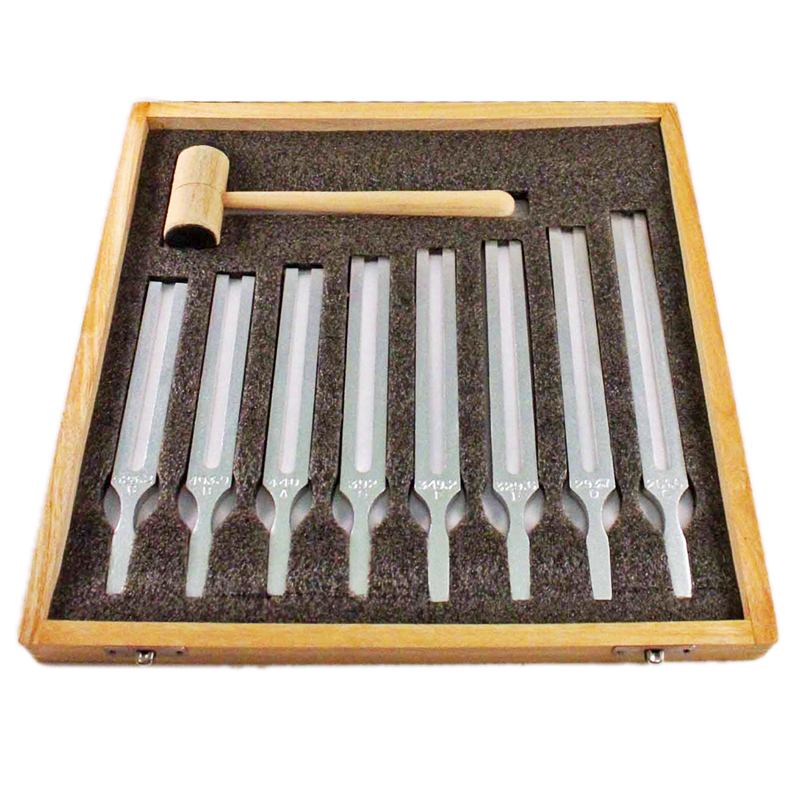 This 8-piece set consists of tuning forks with frequencies ranging from 256 Hz to 512 Hz. 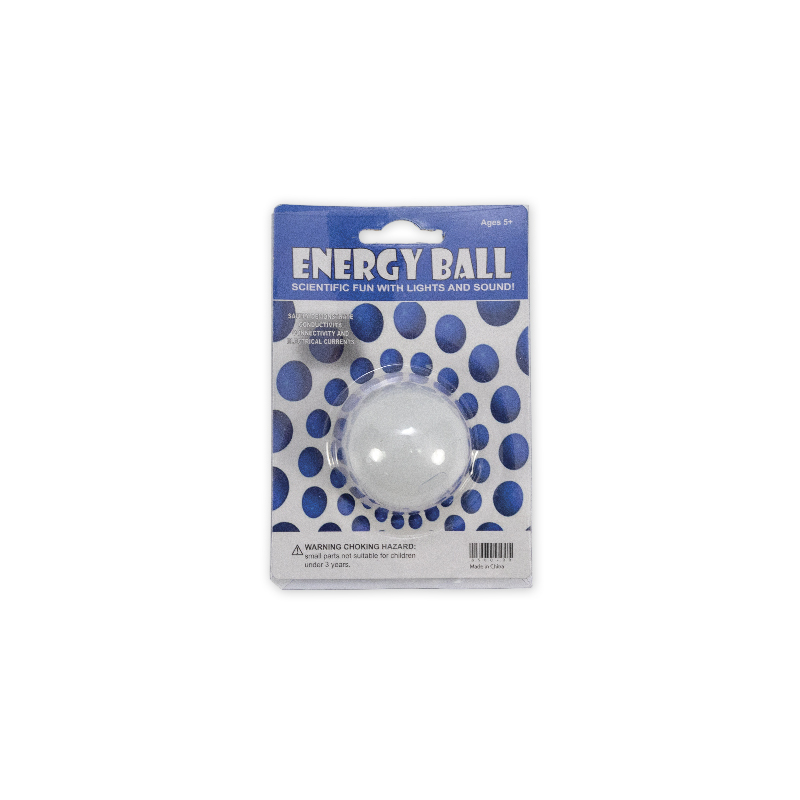 The Energy Ball is a great way to show kids how to conduct electricity in a circuit. 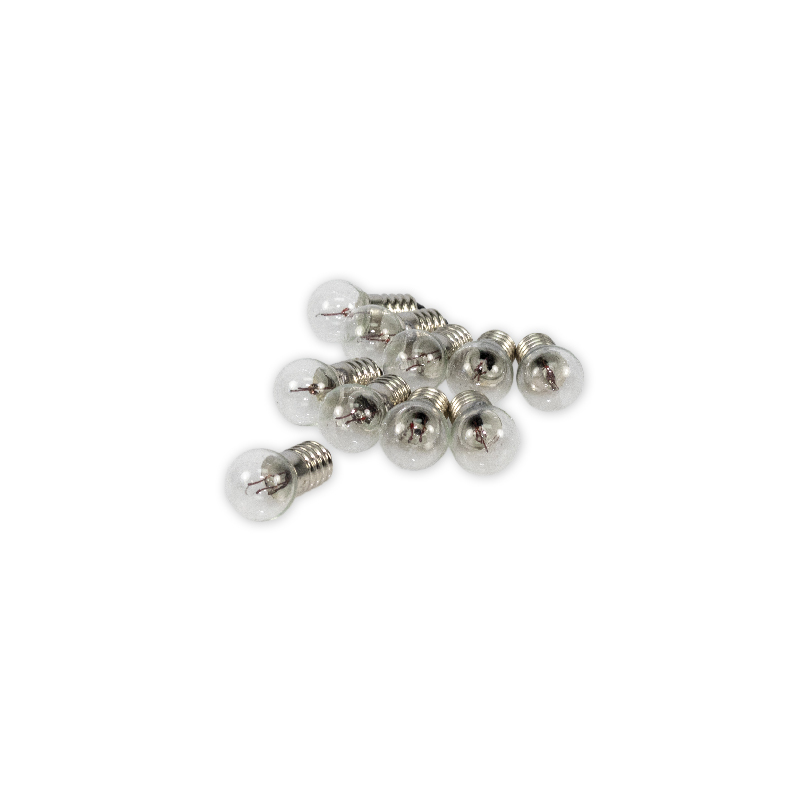 The ball contains two small metal electrodes that, when touched simultaneously, cause the ball to light up. Use it for a fun and memorable demonstration. 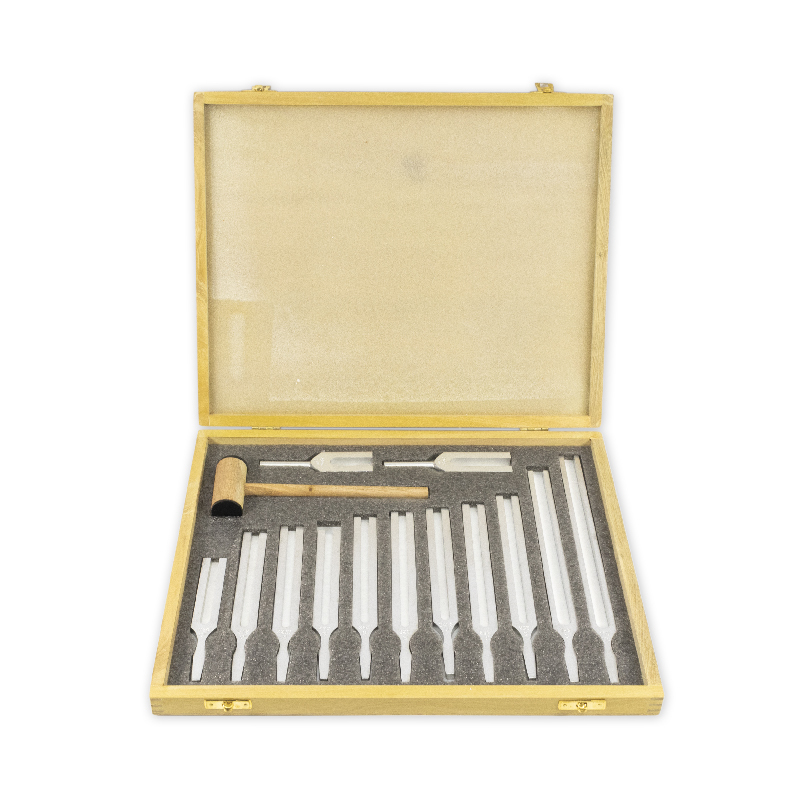 This set of 8 tuning forks comes in a wooden case. 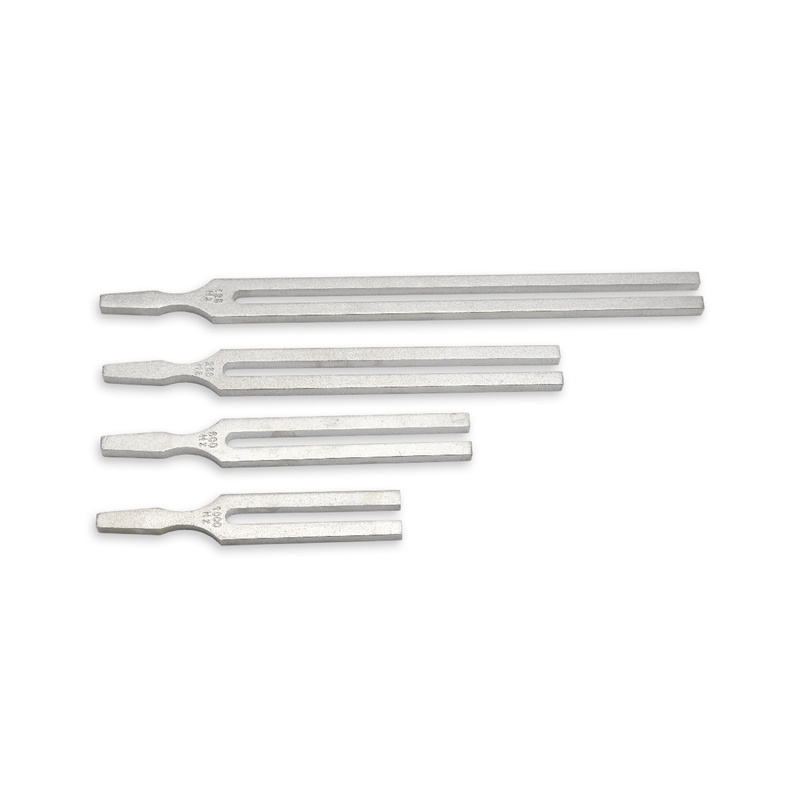 The tuning forks are individually constructed of forged steel. Each fork is stamped with the musical scale note sounded by the fork and the frequency in Hz at the base of the tine. 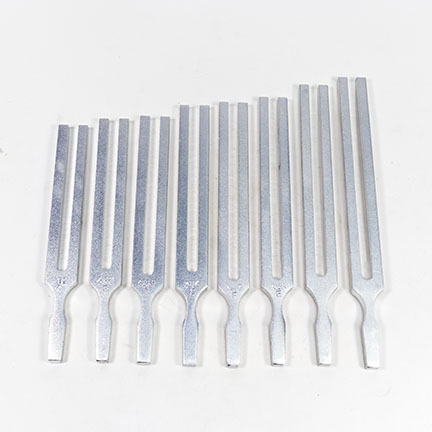 These top-quality aluminum alloy tuning forks are great for physics and music classes. Forks are 6″ (150 mm) to 10″ (250 mm) long with 0.28″ (7 mm) x 0.34″ (9 mm) tines, and vibrate long and loudly. These forks are useful to demonstrate the energy and vibration of sound. 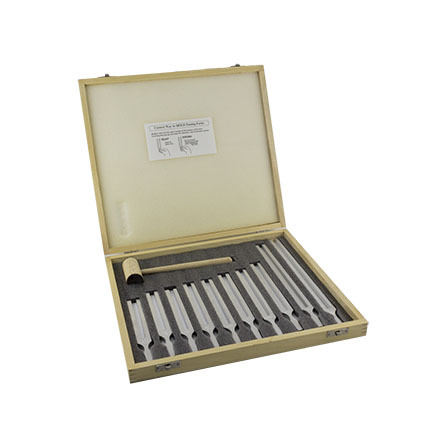 This economy aluminum tuning fork set comes in a wooden storage box. Each fork has a place in the foam lining, die-cut for easy storage. These forks are useful to demonstrate the energy and vibration of sound. 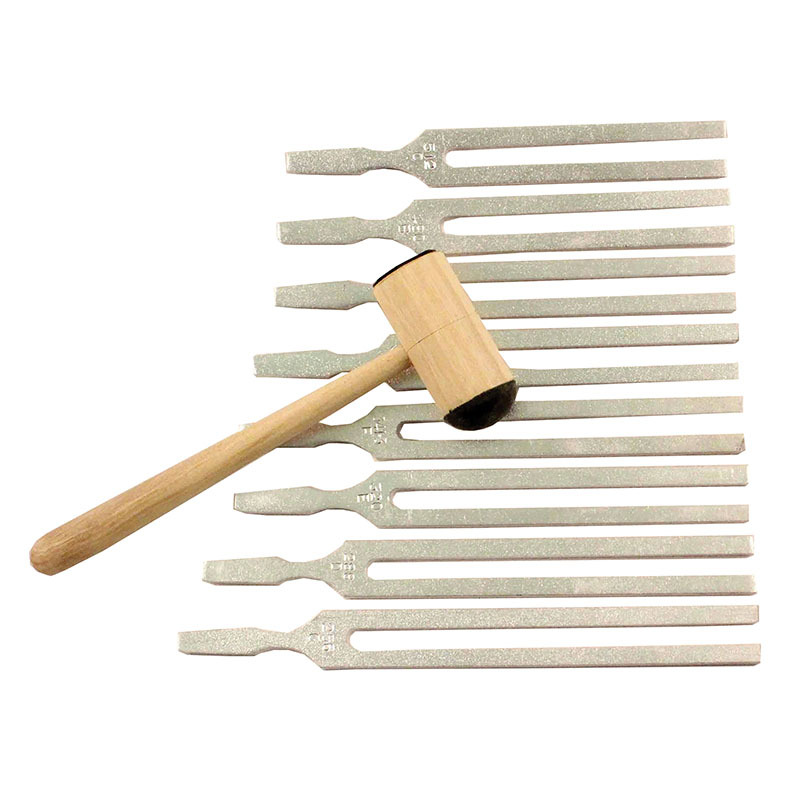 This Concert Pitch or Physics Scale Tuning Fork Set comes in a high-quality wooden box. 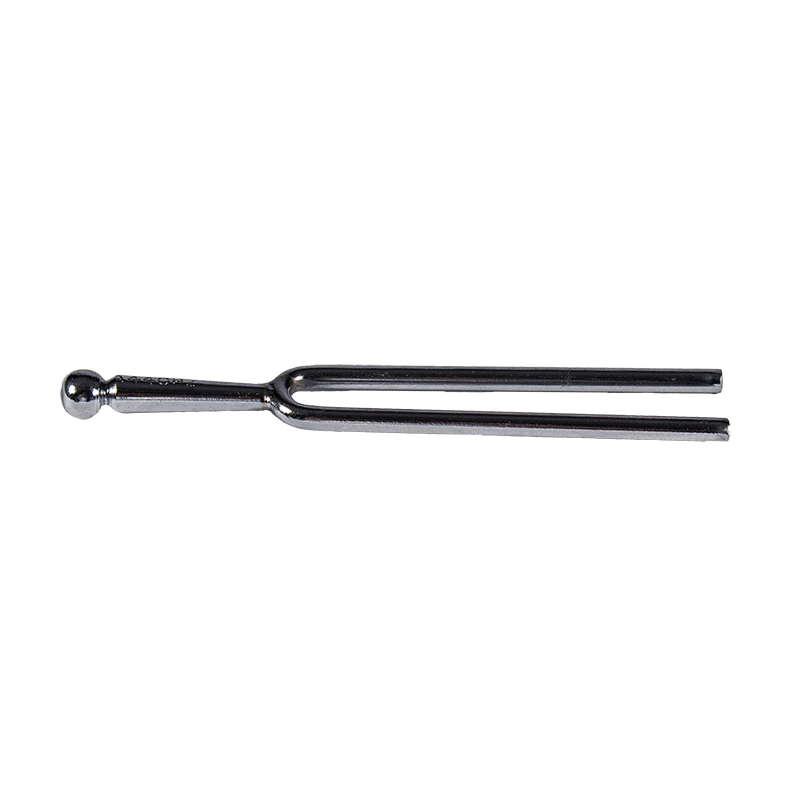 These equally tempered tuning forks are based upon the A note (440 Hz) above middle C (261.6 Hz). They are useful for teaching the physics of music. 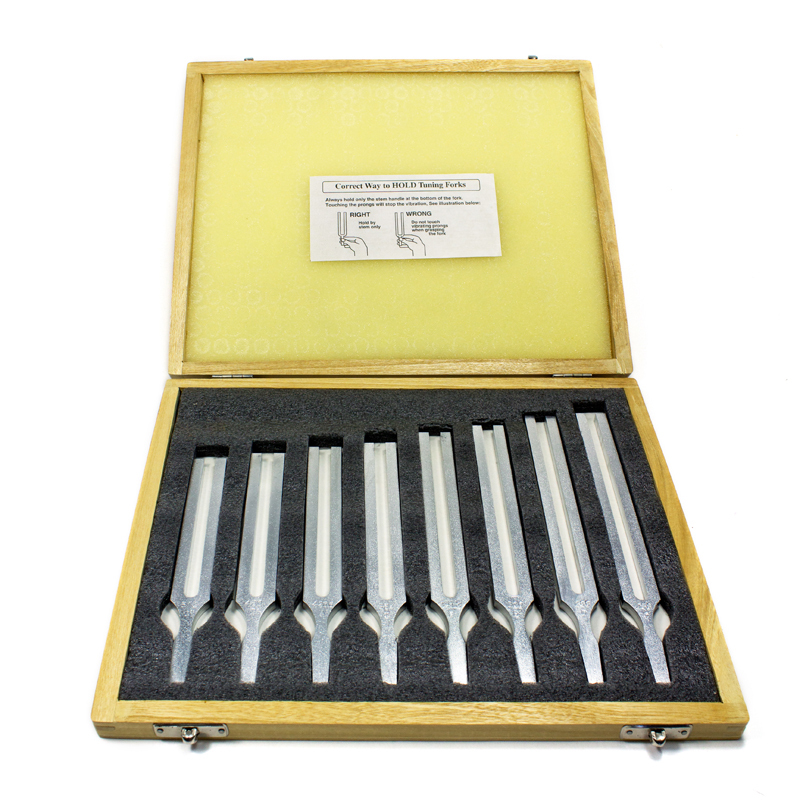 This set of 8 tuning forks comes in a Styrofoam box. 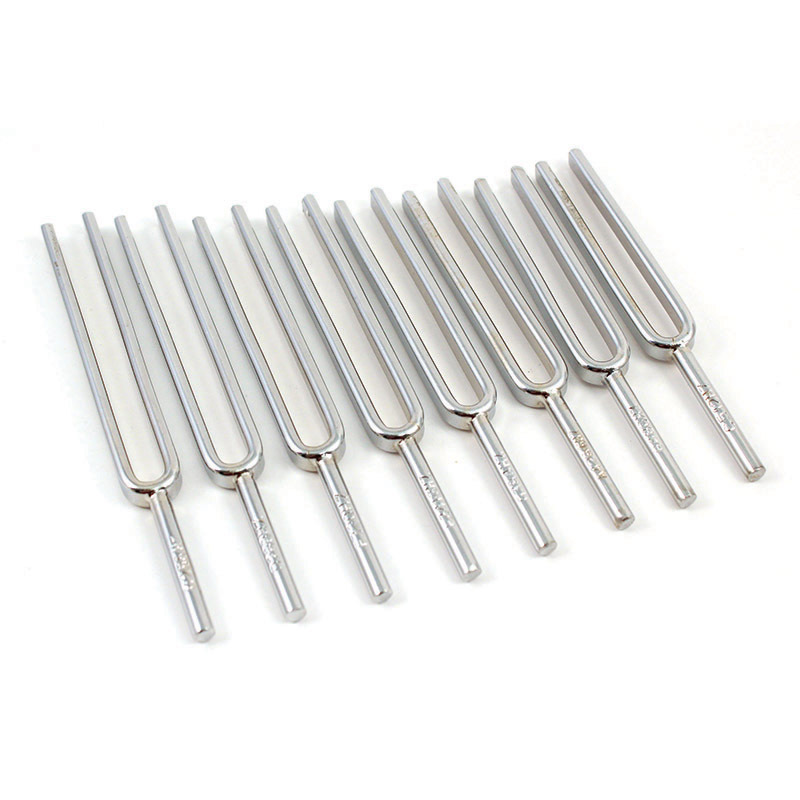 The tuning forks are individually constructed of forged steel. Each fork is stamped with the musical scale note sounded by the fork and the frequency in Hz at the base of the tine. 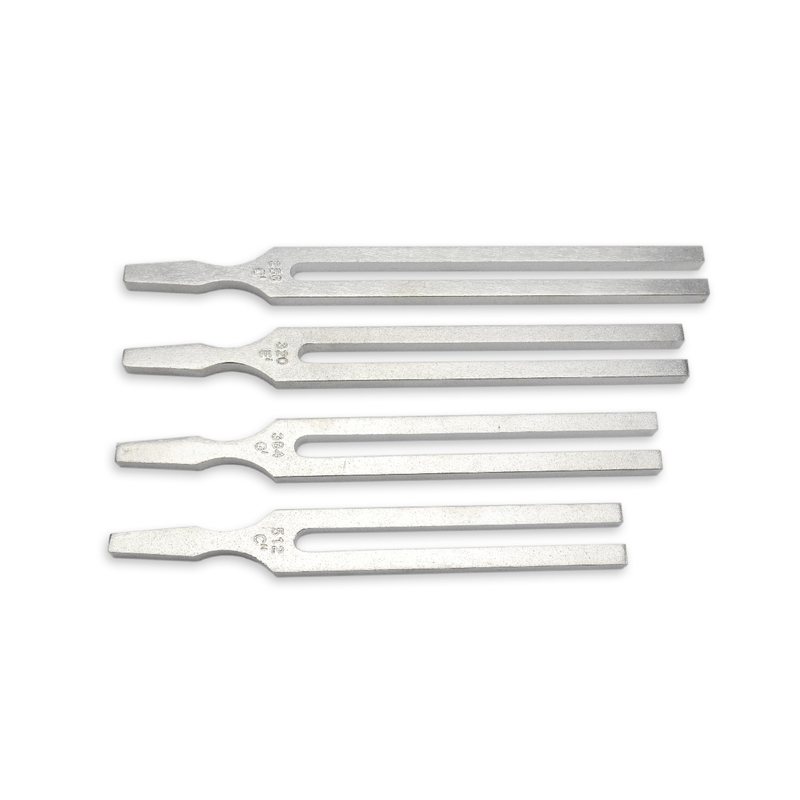 This economy aluminum tuning fork set comes in a wooden storage box. 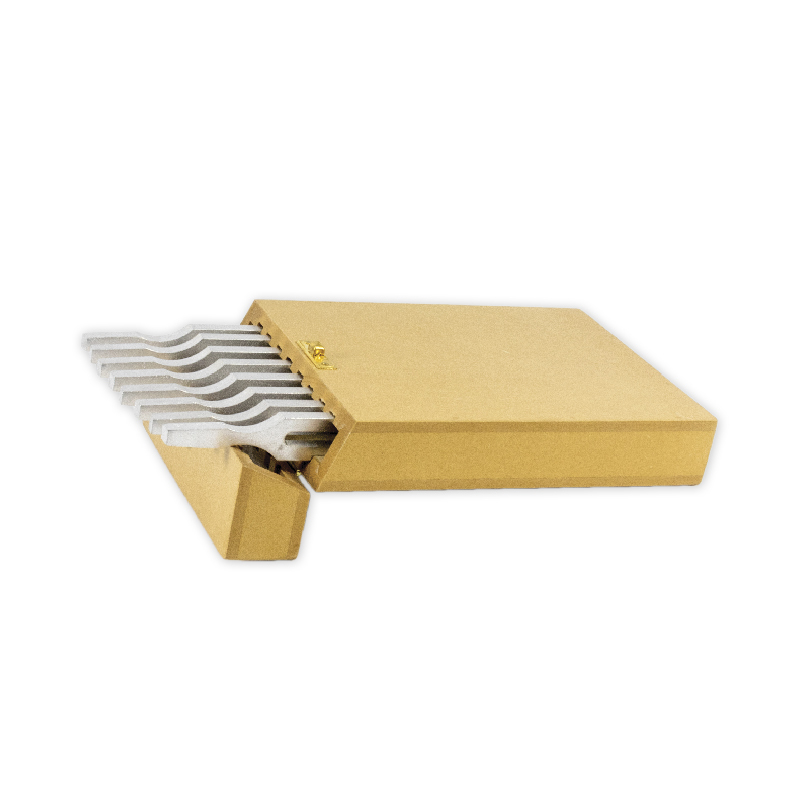 Each fork has a place in the foam lining die-cut for easy storage. These forks are useful to demonstrate the energy and vibration of sound. 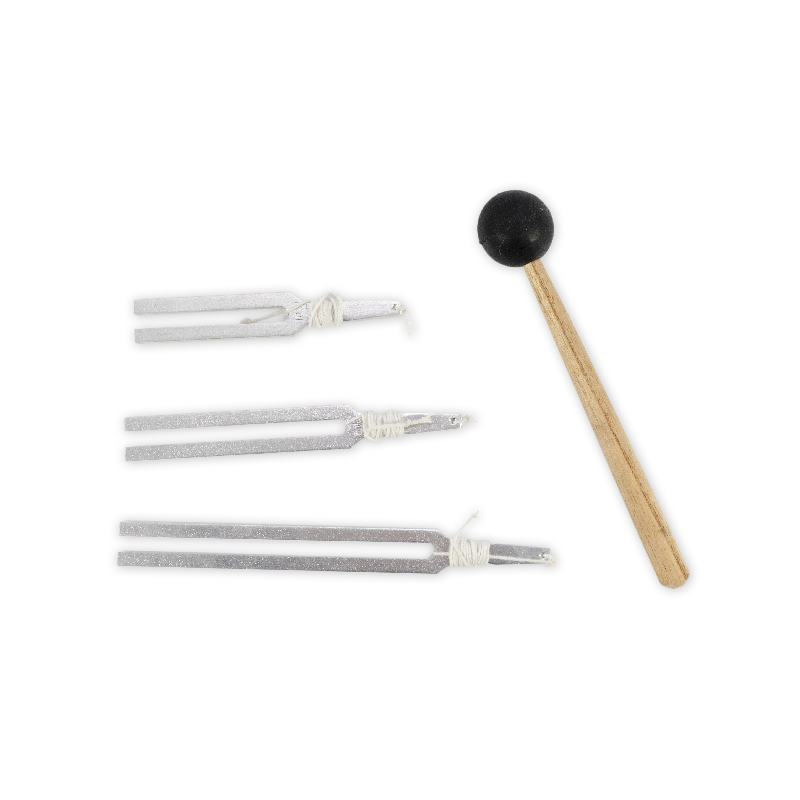 This set consists of 3 drilled, aluminum tuning forks, tethering cord, and a rubber striking mallet. 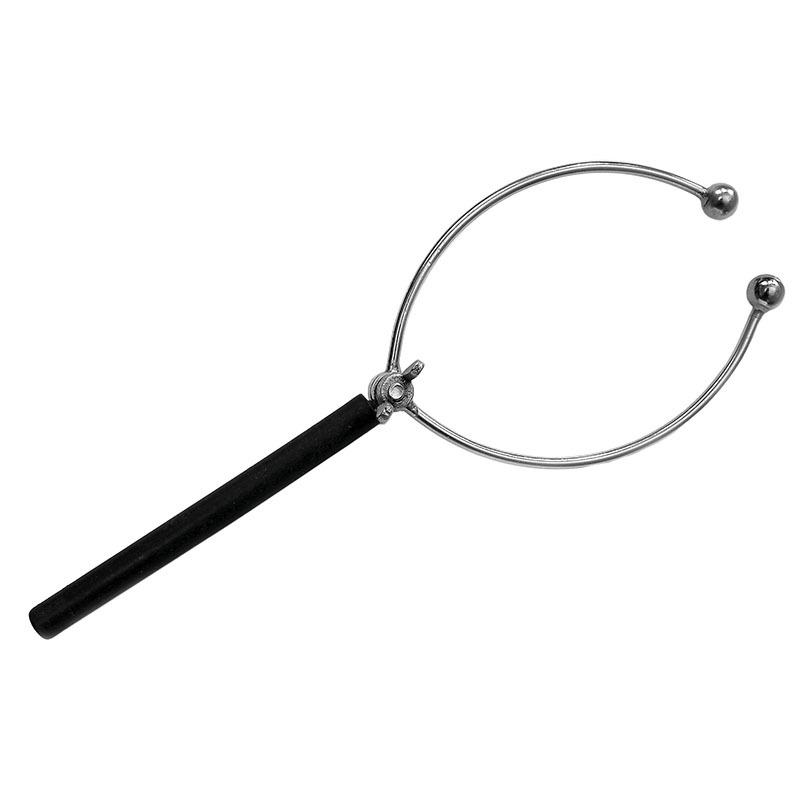 It effectively demonstrates the change in pitch as the vibrating tuning forks are whirled toward and away from user. The set is great for physics demonstrations and experiments. 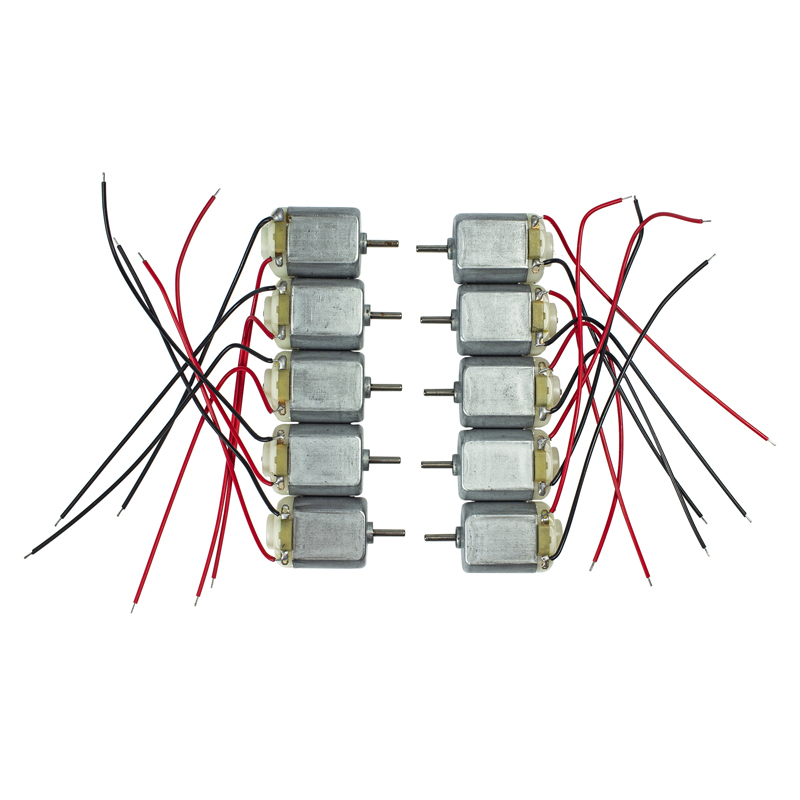 Learn about the triboelectric series, friction, induction and conduction! 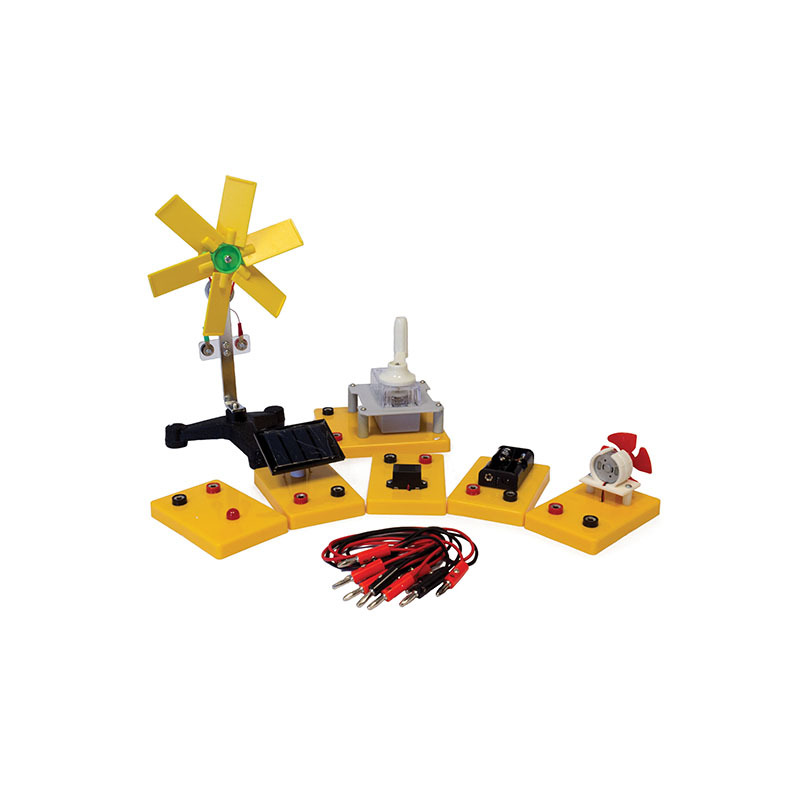 With this set, students can develop a model of what is happening to the electrons around the atoms in a conductor versus an insulator. Investigate the nature of the mobile subatomic particle called the electron and the forces created when an object has an unequal number of positive and negative charges. The guide included with this set encourages critical thinking in combining elements from Science, Technology, Engineering and Mathematics (STEM), and can be used to teach with Common Core and National Next Generation Science Standards. Use the Calorimeter for determining specific heat, heat of fusion, and heat of vaporization. 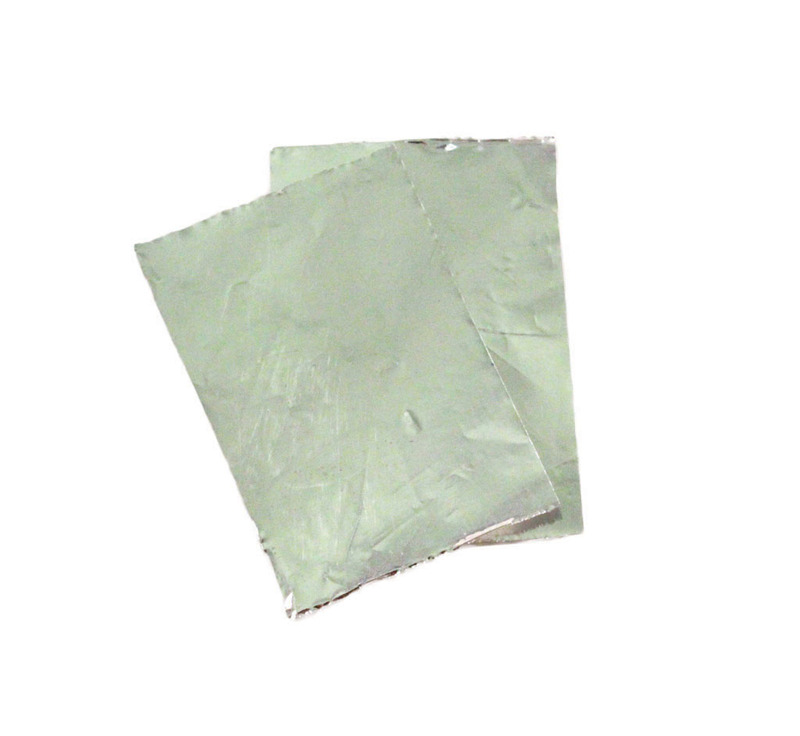 It consists of 2 polished spun aluminum vessels, i.e. an inner calorimeter, 2.5″ (65 mm) Dia. x 3.13″ (80 mm) H, and an outer calorimeter, 4″ (10 mm) Dia. 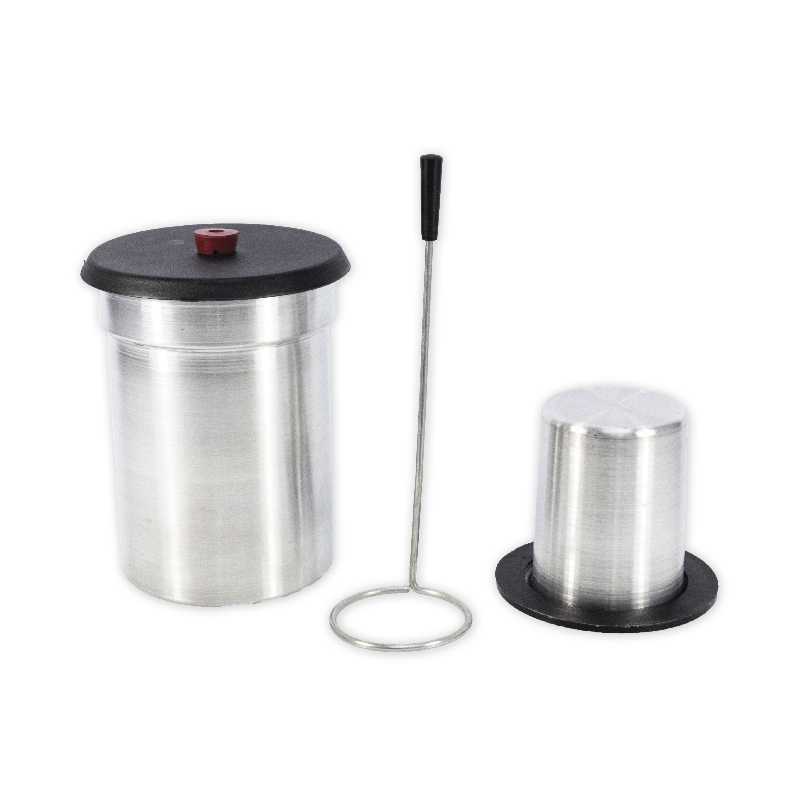 x 5.5″ (140 mm) H. The lid has 2 holes for the thermometer and the stirrer. The thermometer is not included. 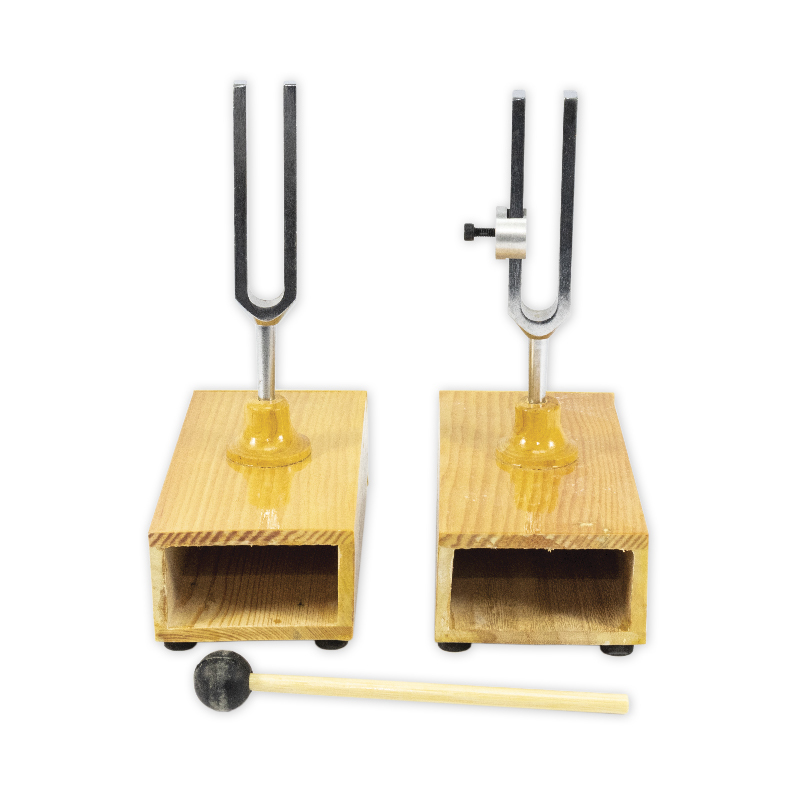 This item serves as a combination tuning fork set that allows 2 demonstrations. Without the weights, 1 fork responds to the vibrations of the other, illustrating sympathetic vibration at distances. With the weights, 1 fork can be tuned 1 or more cps different, and both, when struck, will produce beats of startling clarity. 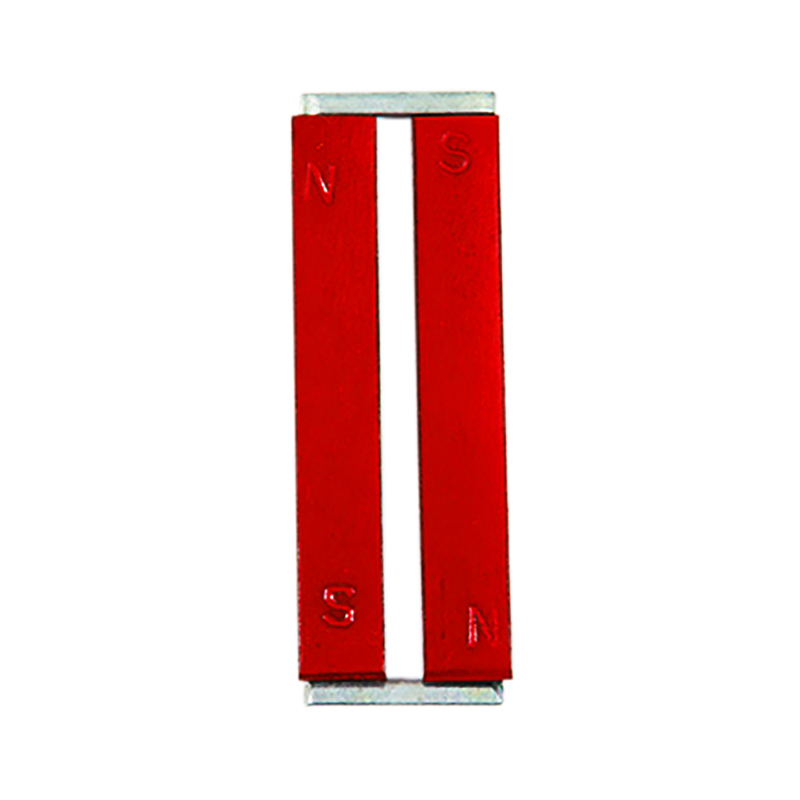 This item is a high-quality, powerful alnico alloy bar magnet with a nice red enamel finish. 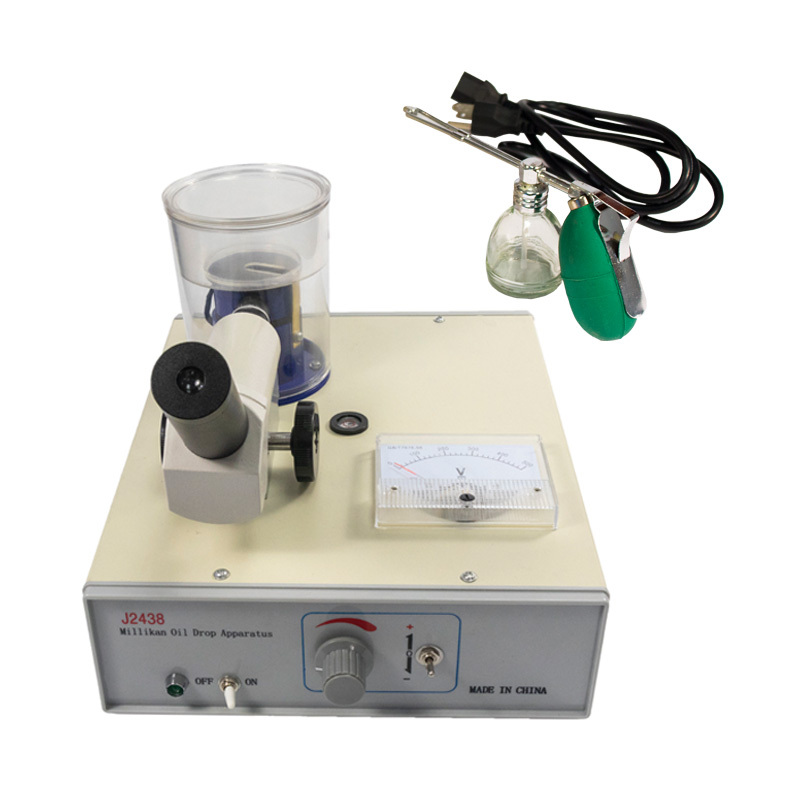 It is useful for demonstrations and experiments. 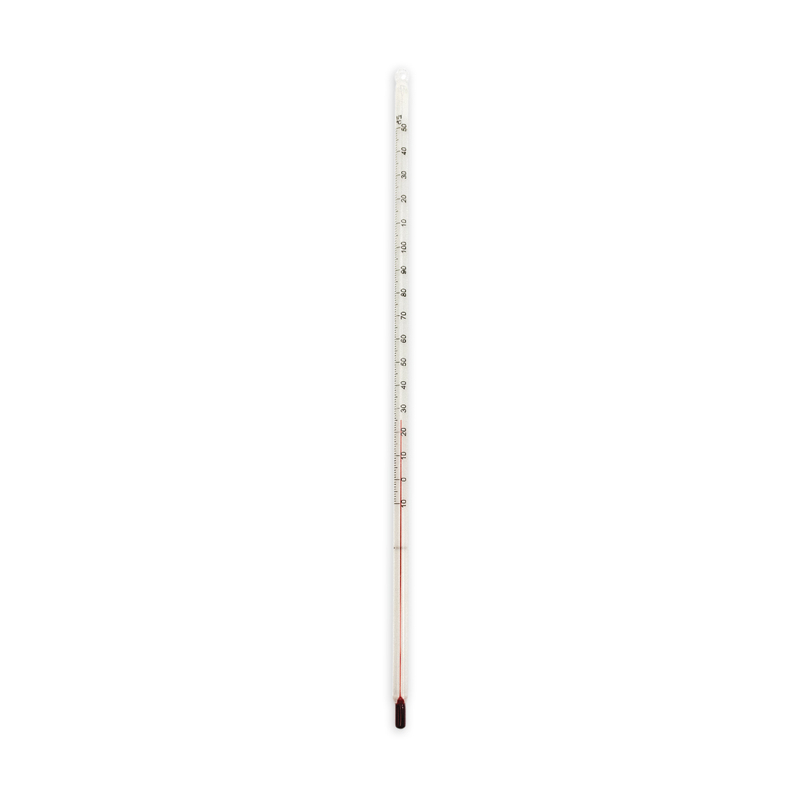 A white dot helps to keep track of the poles. 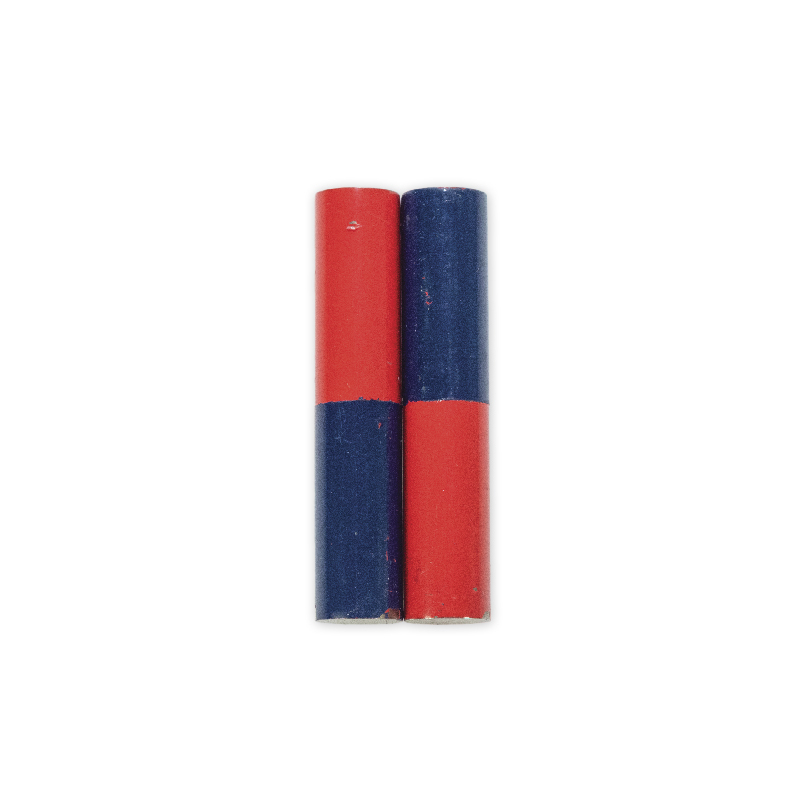 These rods are a must for explorations involving sound waves. They provide an easy way to demonstrate longitudinal waves, and show how they differ from transverse waves. 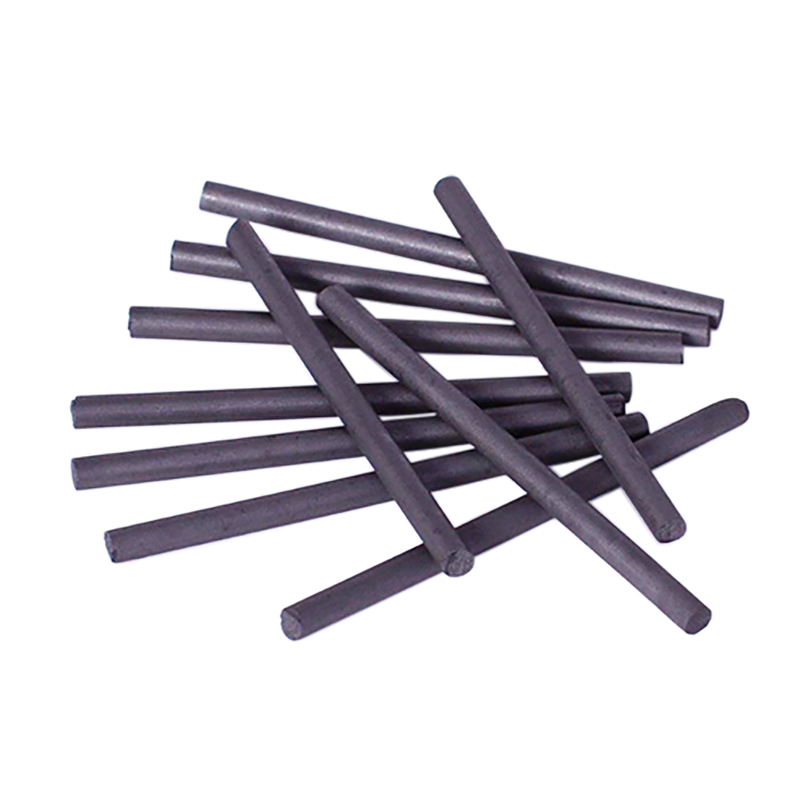 The rods are also ideal for teaching about nodes and anti-nodes in standing waves. 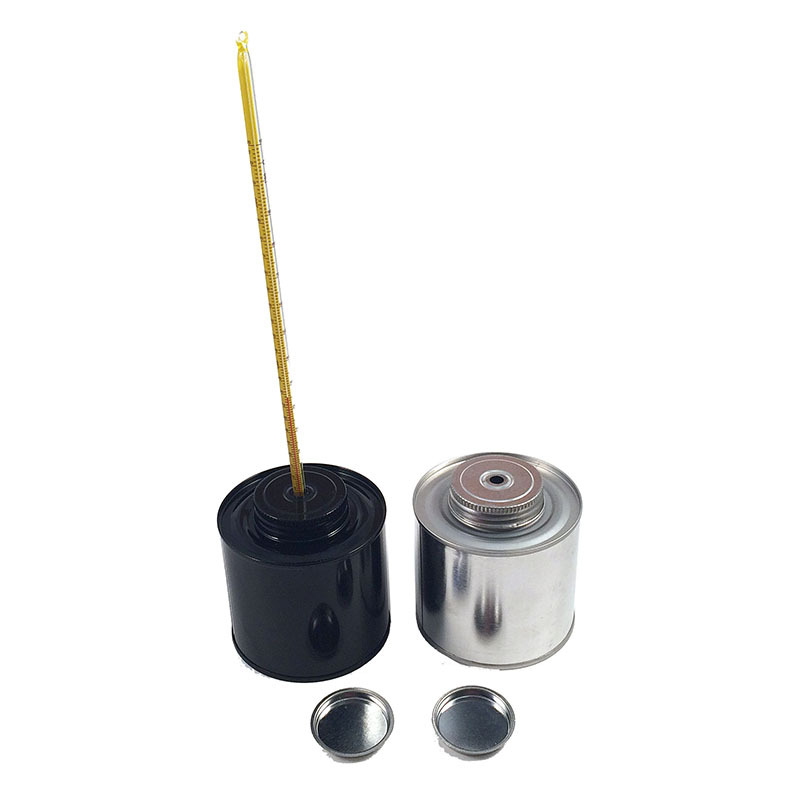 These radiation cans are useful for demonstrating solar energy and heat transfer. Just add water and a thermometer (our Item #9101-00 thermometer works great!) to each of the 3 cans, place in the sun or near a bright light bulb, and watch the temperatures rise. The cans are finished with silver, black, and white exteriors. These forks are useful to demonstrate the energy and vibration of sound. Acoustics engineers and physics teachers use these multiples to simplify calculations and tonal measurements. They are a great addition to classrooms as well as labs. 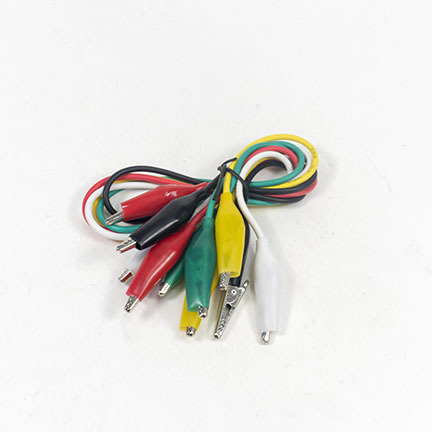 PVC insulated 18 gauge copper wire and 2″ (50mm) PVC insulated alligator clips on both ends. Length: 24″ (600mm). 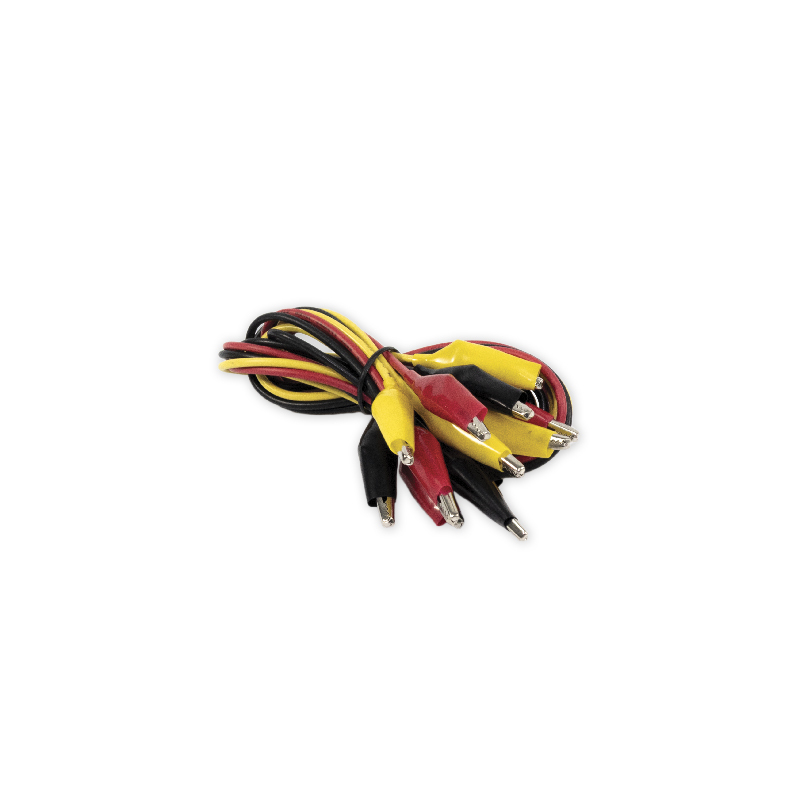 Comes in a pack of 6 with two each of the following three colors: black, yellow, and red. 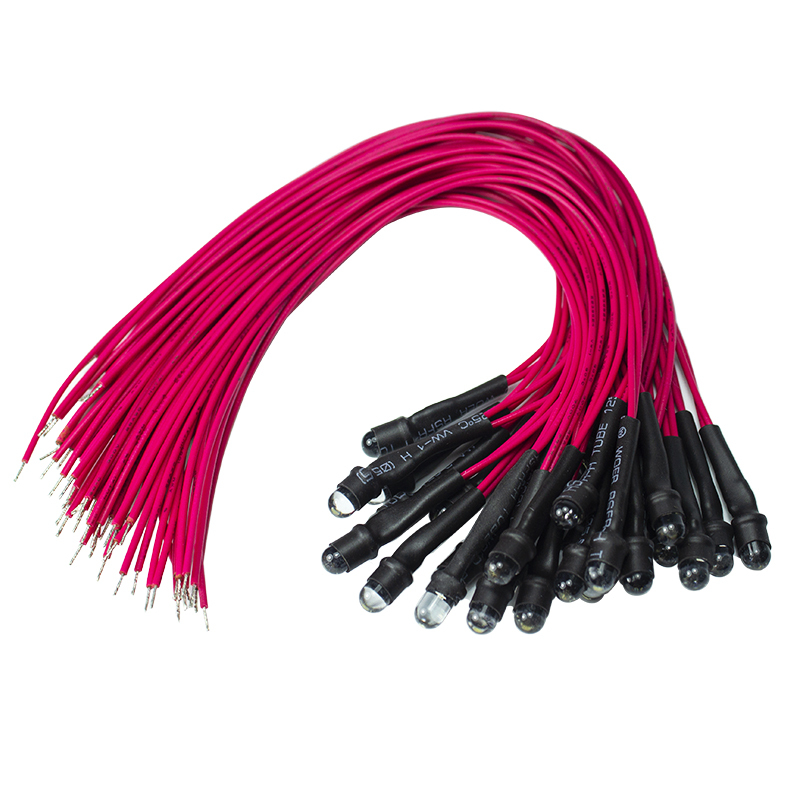 These PVC-insulated 18-gauge copper wires have 2″ (50 mm) PVC-insulated alligator clips on both ends. They are useful for making circuits and electrical demonstrations. 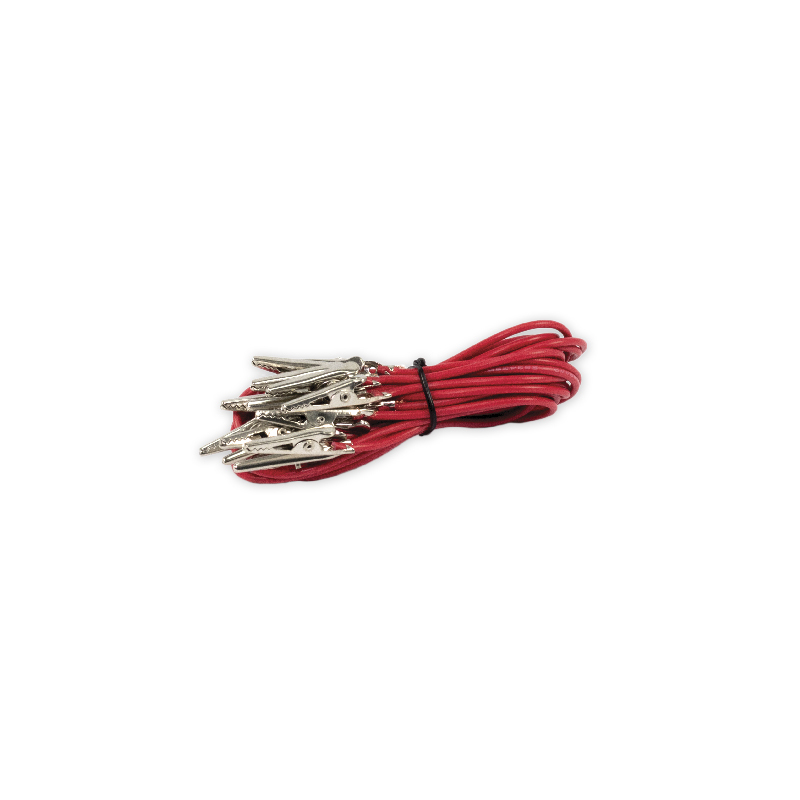 This item is made of standard insulated copper wire with non-insulated alligator clips at each end. It is useful in laboratory work. 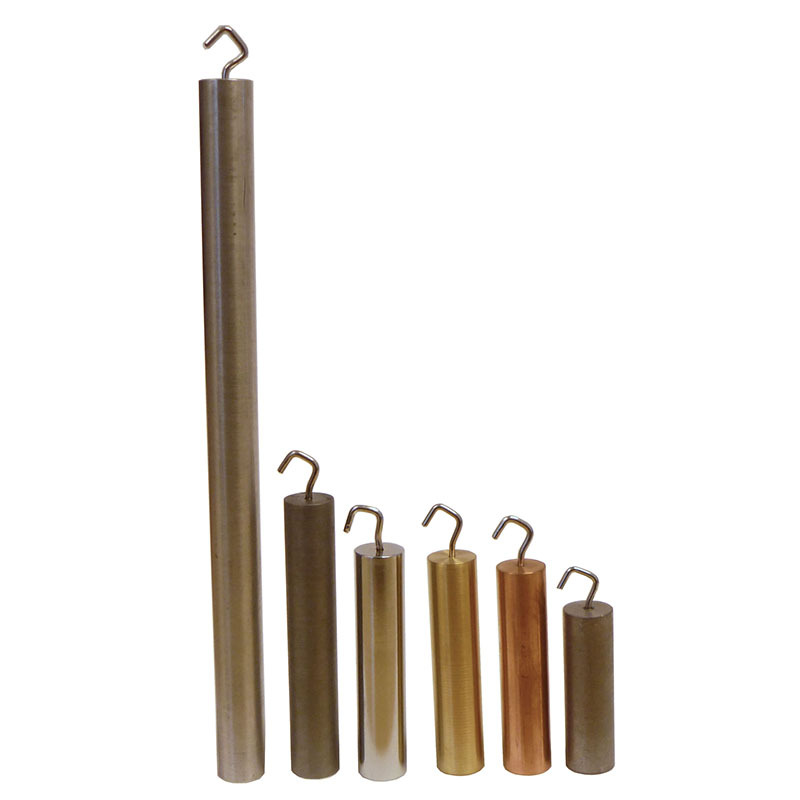 This set includes discs of brass, copper, bronze, nickel silver, mild steel, stainless steel, zinc and aluminum. 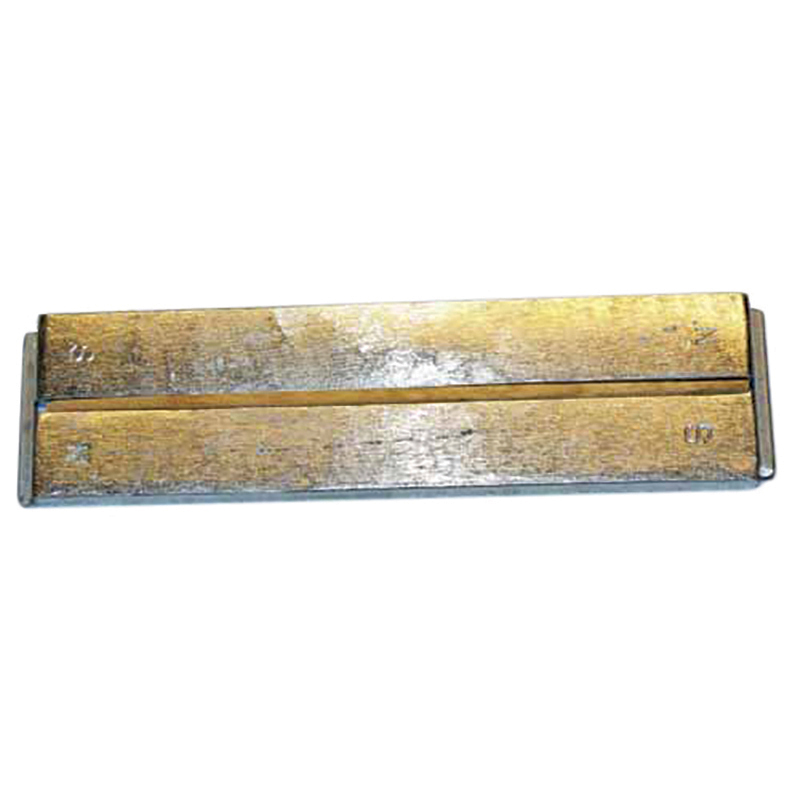 They are ideal for experiments to demonstrate magnetic properties and classifications of metals. The discs make a helpful addition to chemistry and physical science labs. 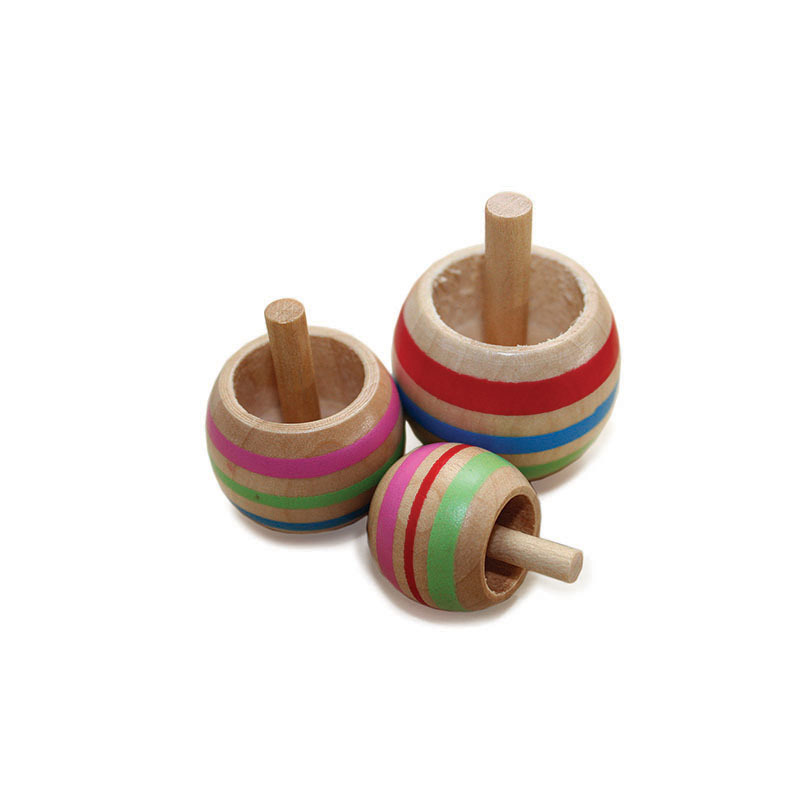 Use these small candles to propel the Putt Putt Boat (Item #SB-100) for a demonstration on transformation of energy. This is a new generation of ultra-bright bulbs offering easy replacement, making them ideal for use in a variety of miniature equipment and circuit applications. The wheat bulbs can also be used in control panels and high-quality commercial and industrial controls. 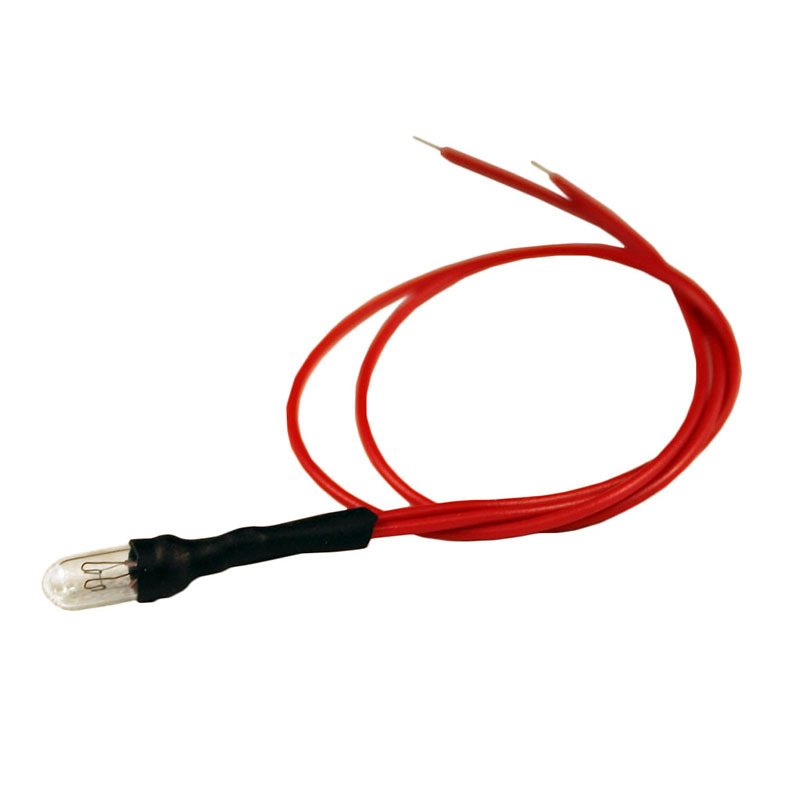 They are similar to the wire-ended lamps but they have stranded wire leads about 8″ (200 mm) long. 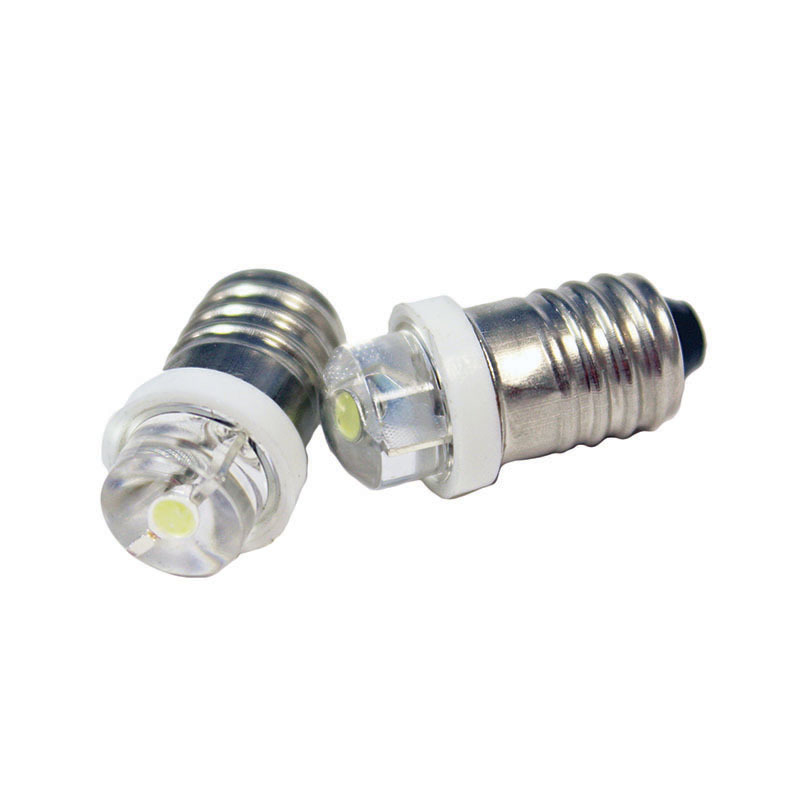 The bulb is about 0.13″ (3 mm) Dia. and 0.25″ (6 mm) long – the size of a grain of wheat. Upgrade your outdated bulbs to the 21st century! 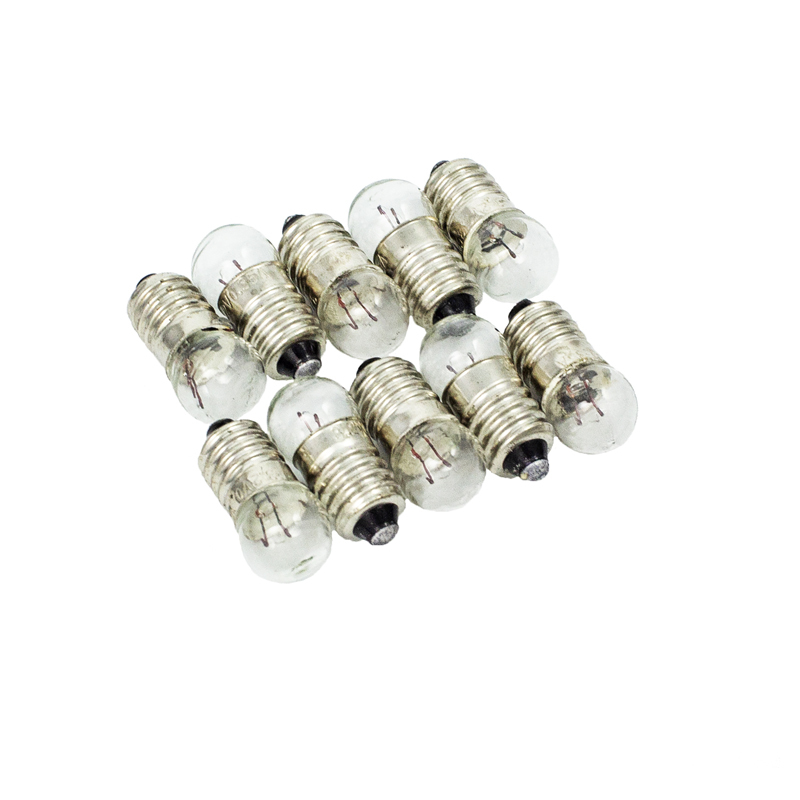 These white color LED bulbs offer an easy replacement, making them ideal for use in a variety of miniature equipment and circuit applications. 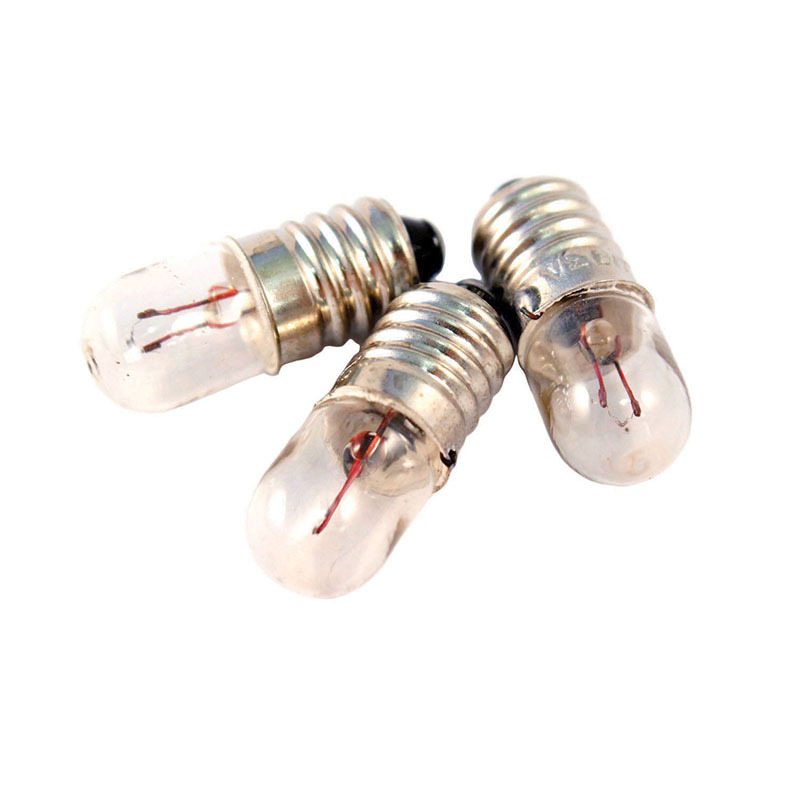 The wheat bulbs can also be used in control panels, high quality commercial and industrial controls. 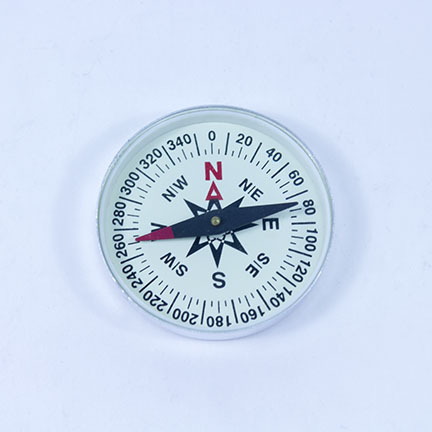 This plotting compass has direction indicated and a liquid-filled plastic body. 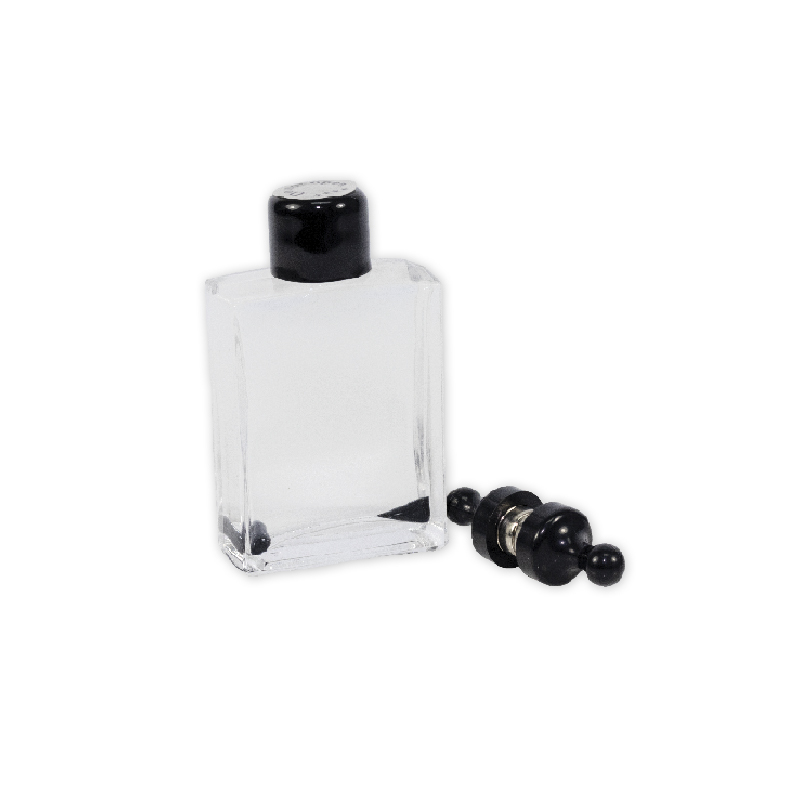 It has a stable needle as well as a black base and white markings for clear visibility. 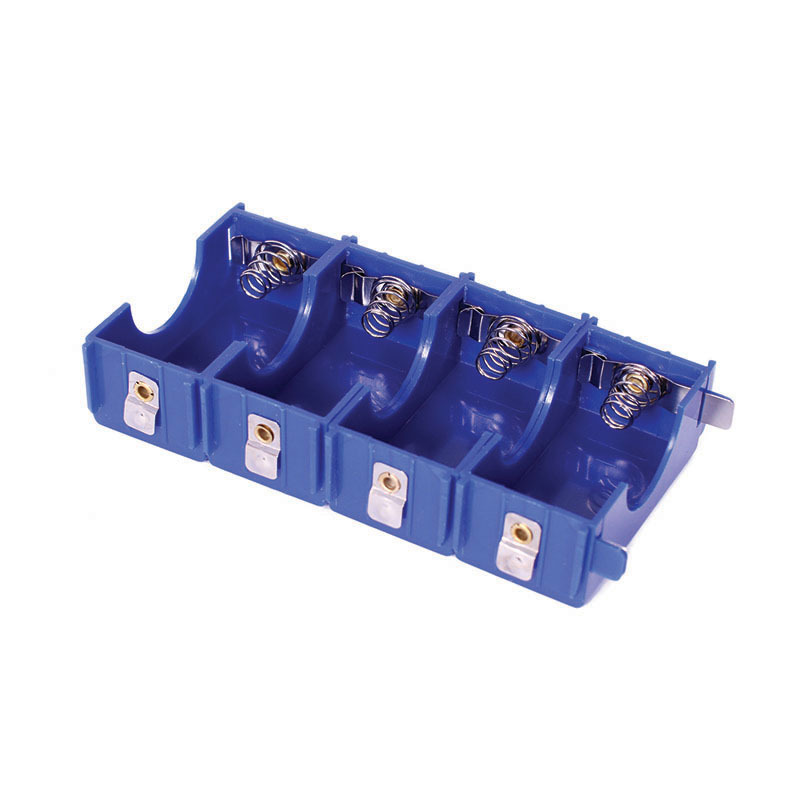 This item holds D Cell batteries and can be connected in parallel or series. It is ideal for electrical demonstrations. Detect slight magnetism in everyday objects such as metals, watches, etc. 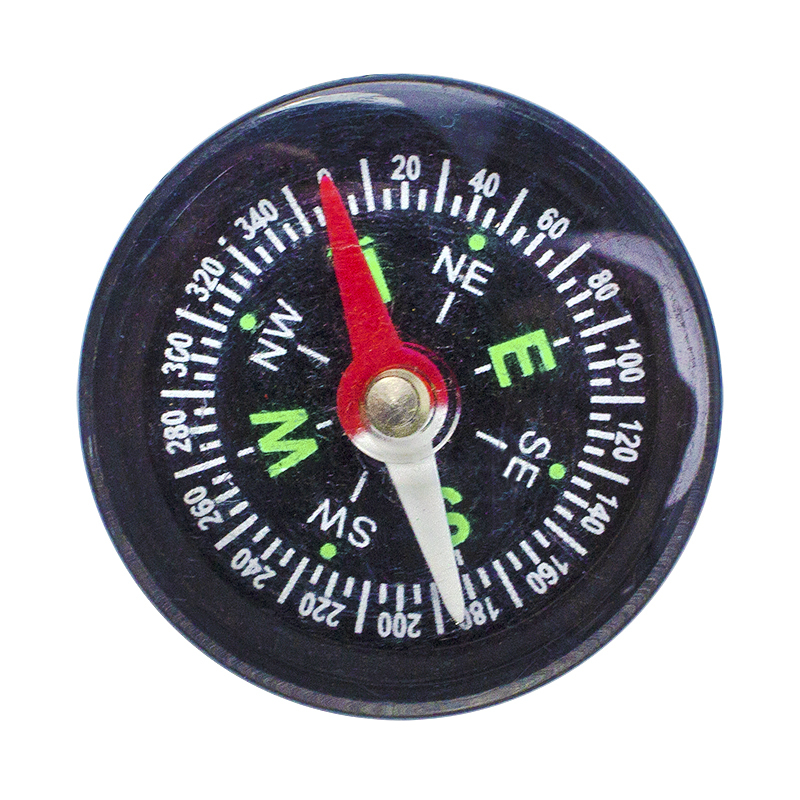 When compasses are arranged around a magnet, needles will align themselves with the magnetic field. The compasses are a useful prop for demonstrations about the power of magnetic fields! 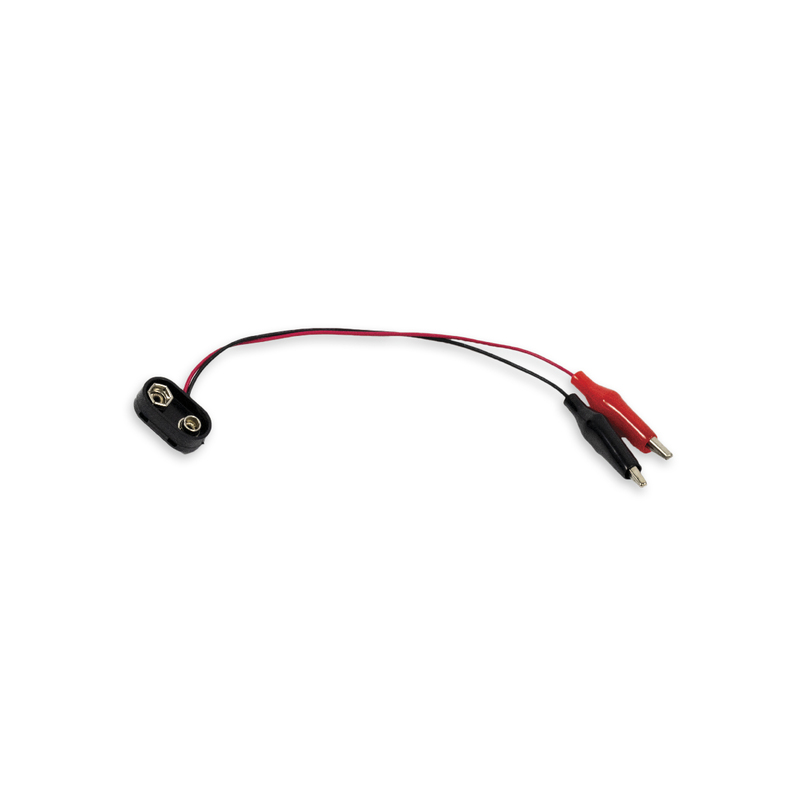 This item holds AA Cell batteries and can be connected in parallel or series. It is ideal for electrical demonstrations. 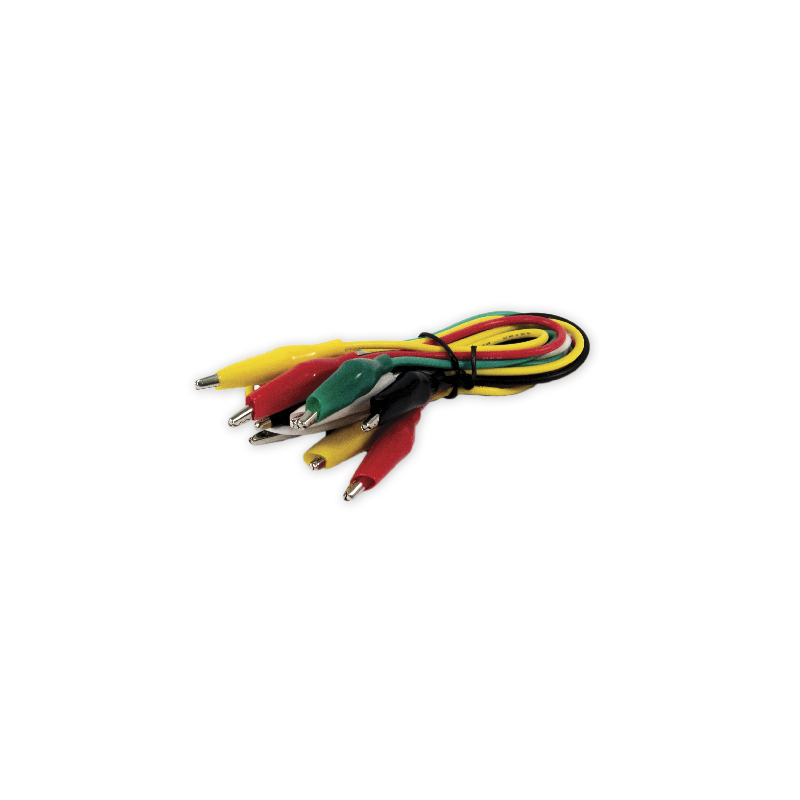 These jumper cords are 22-gauge with insulated alligator clips. 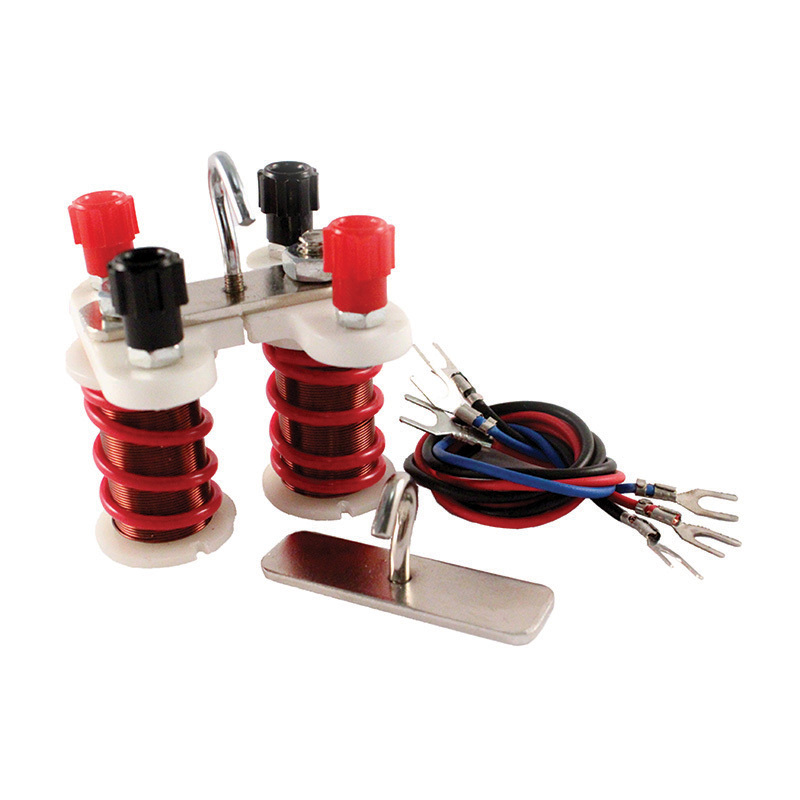 They are useful for making circuits and for electrical demonstrations. 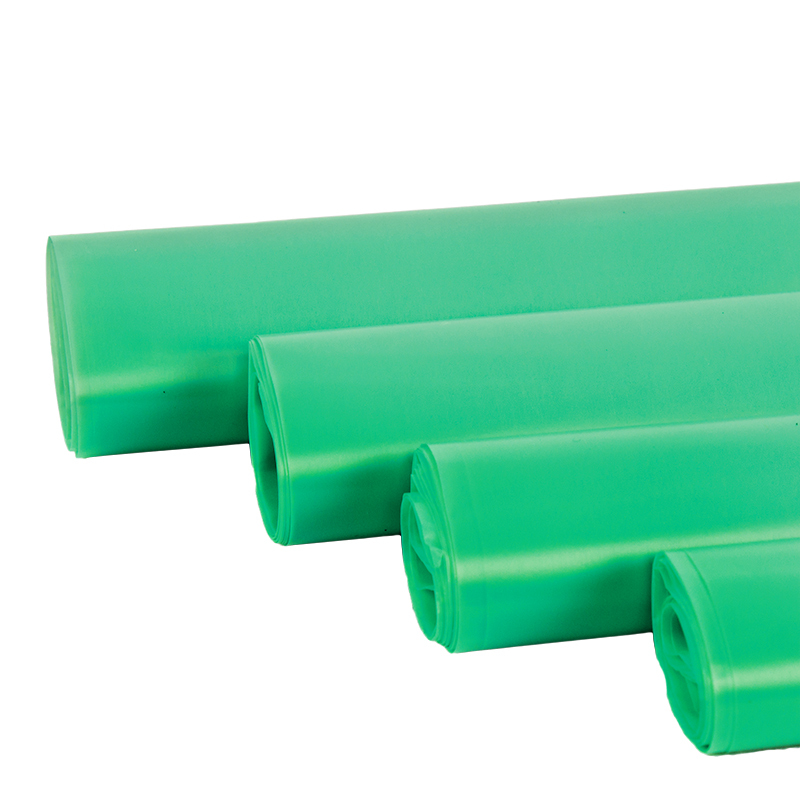 PVC insulated 22 gauge copper wire and 2″ (50mm) PVC insulated alligator clips on both ends. Length: 16″ (400mm). 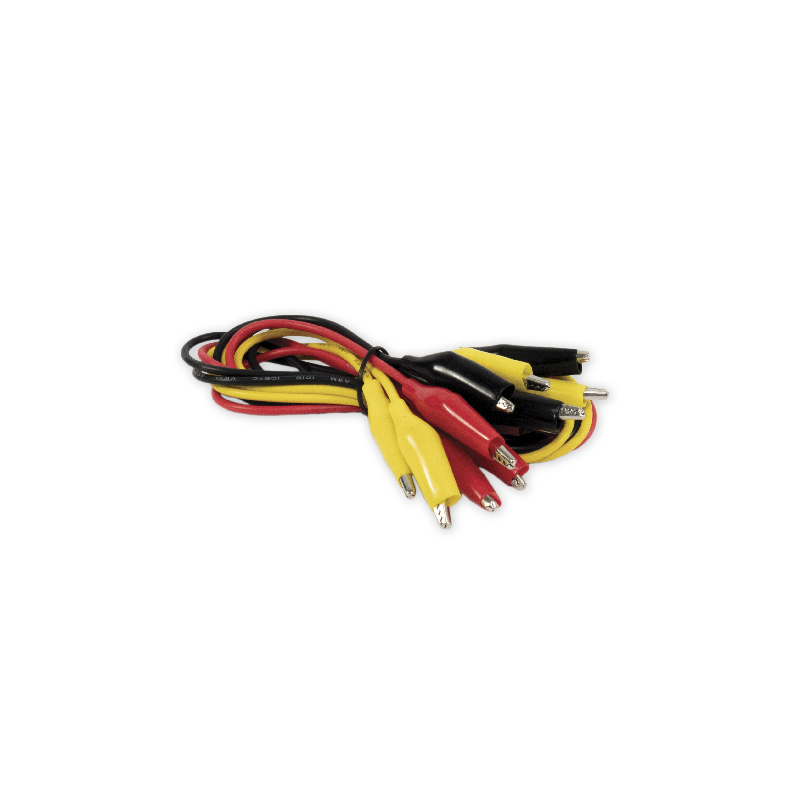 Comes in a pack of 6 with two each of the following three colors: black, yellow, and red. 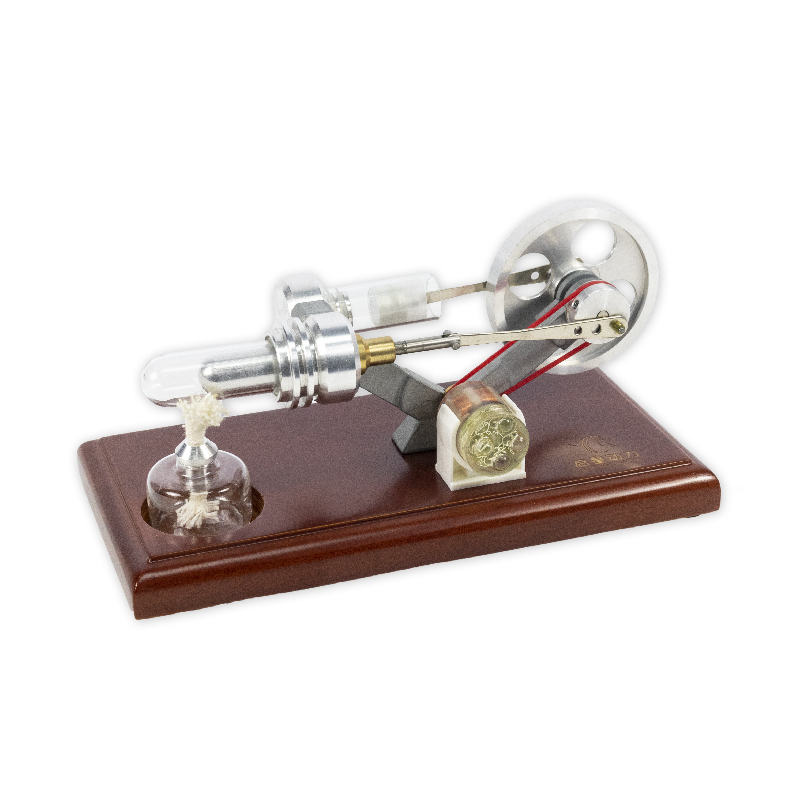 These miniature bulbs are for use with a variety of electricity and science projects. They have a round bulb shape. 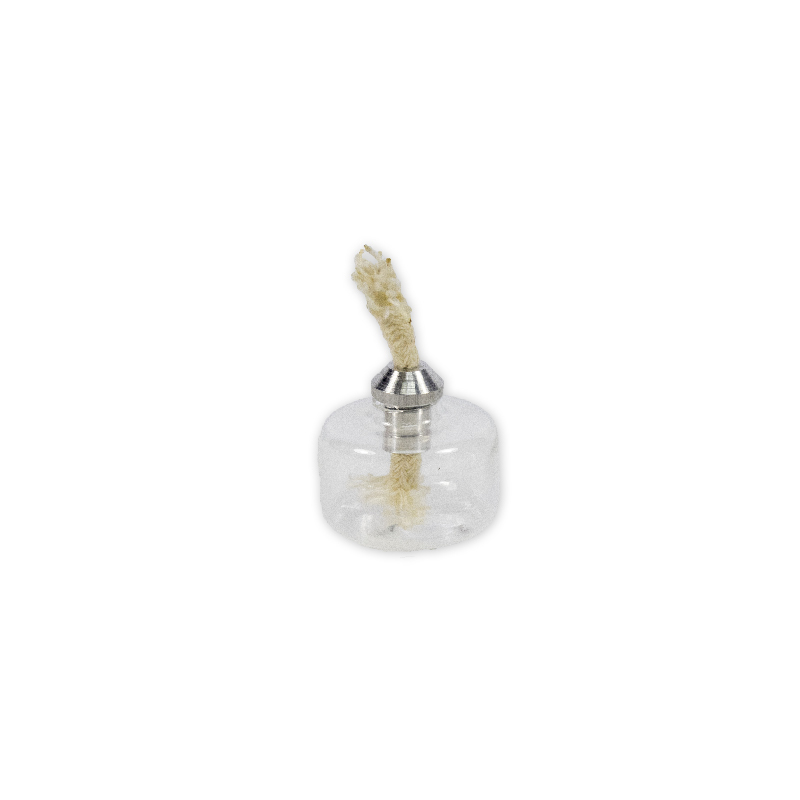 Replacement 3 V bulb for the handheld microscopes (Items #831 and 832). Replace your outdated bulbs with this 21st century alternative! Now introducing miniature LED lights! They are great for use with a variety of electricity and science projects. 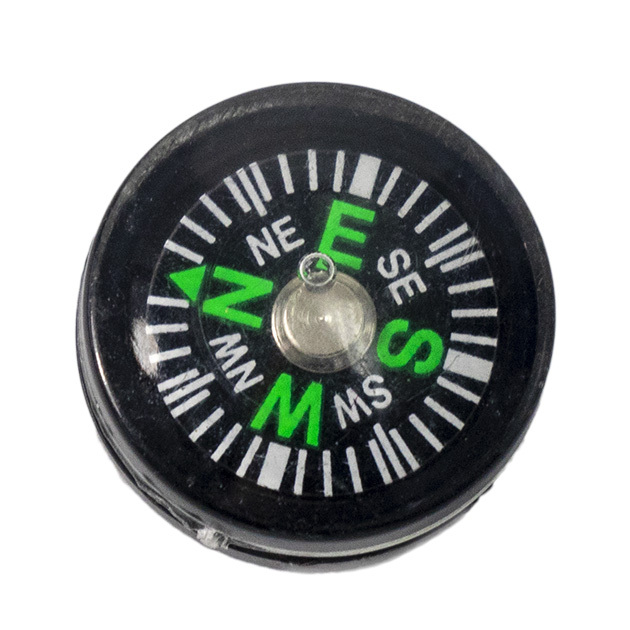 This plotting compass has direction indicated. It has a liquid-filled plastic body with a black base and contrasting markings for clear visibility. 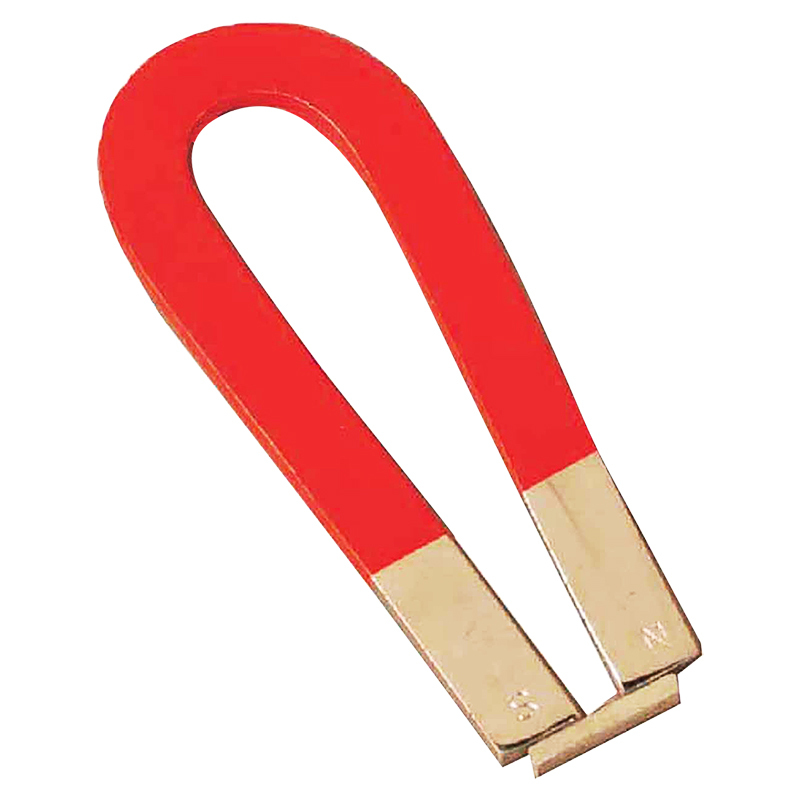 It is useful for magnetic demonstrations. • Stable needle. 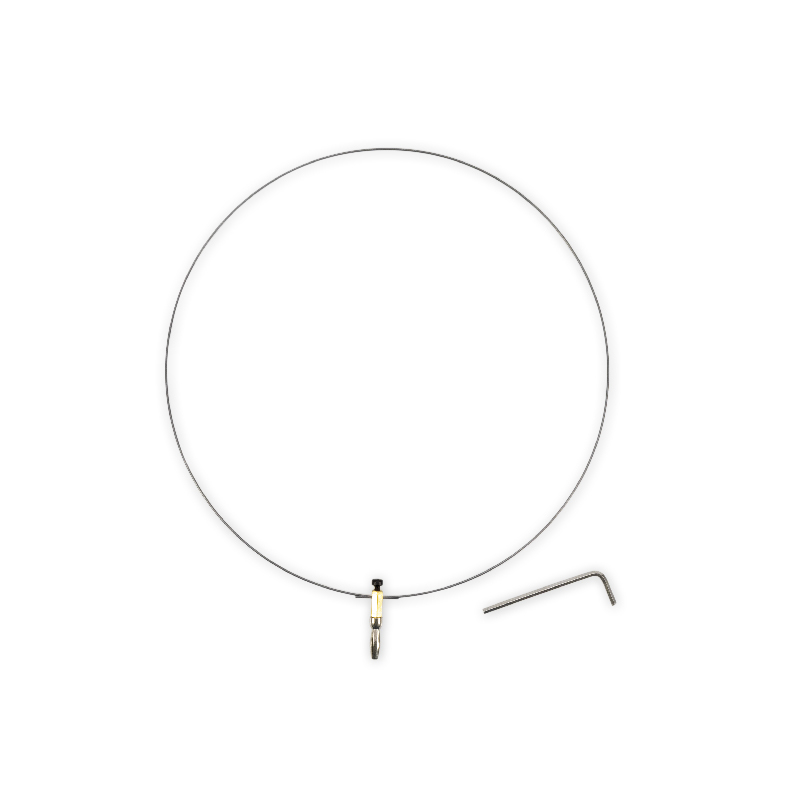 Size: 1.38″ (35 mm) Dia. 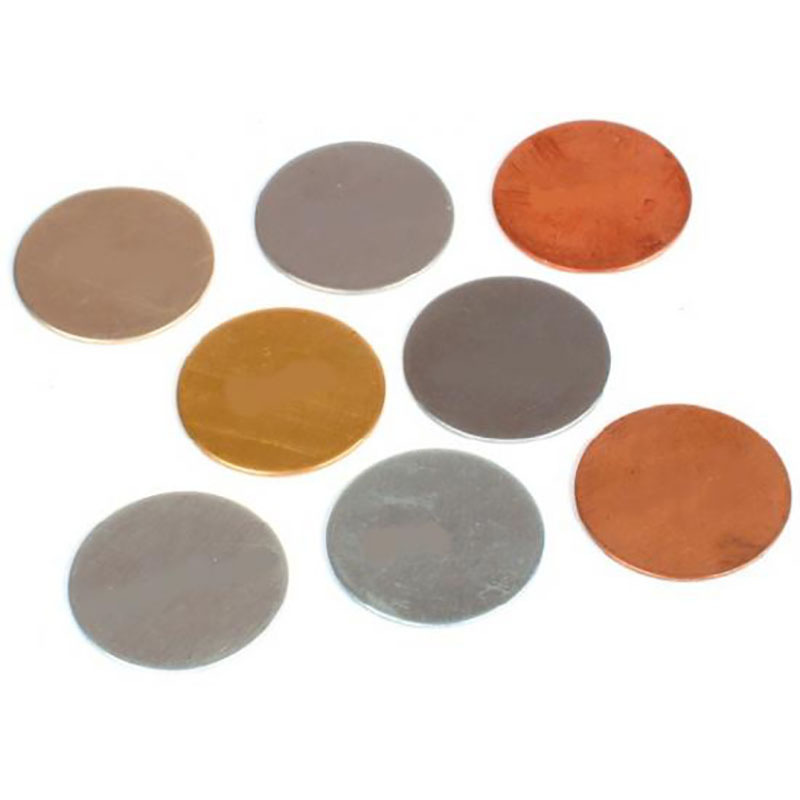 Use these electrodes for assembling voltaic cells, electrolysis experiments, etc. They are a useful addition to classrooms and labs. 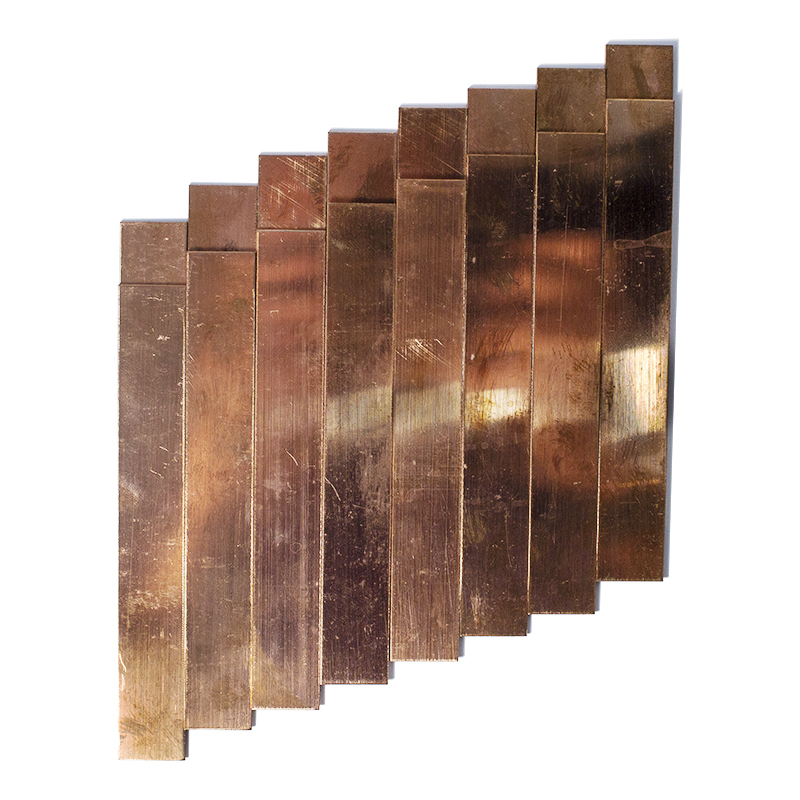 These bars are useful for student demonstrations, plotting magnetic fields, etc. They are made from magnetic steel strips. Each bar is painted red/blue and stamped with N and S to indicate north and south poles. 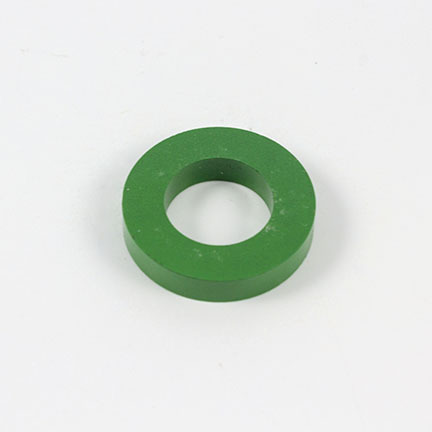 These classic magnets are suitable for many experimental and demonstration needs in general science and physics laboratories. They offer an easy way to show the power of magnetic fields. 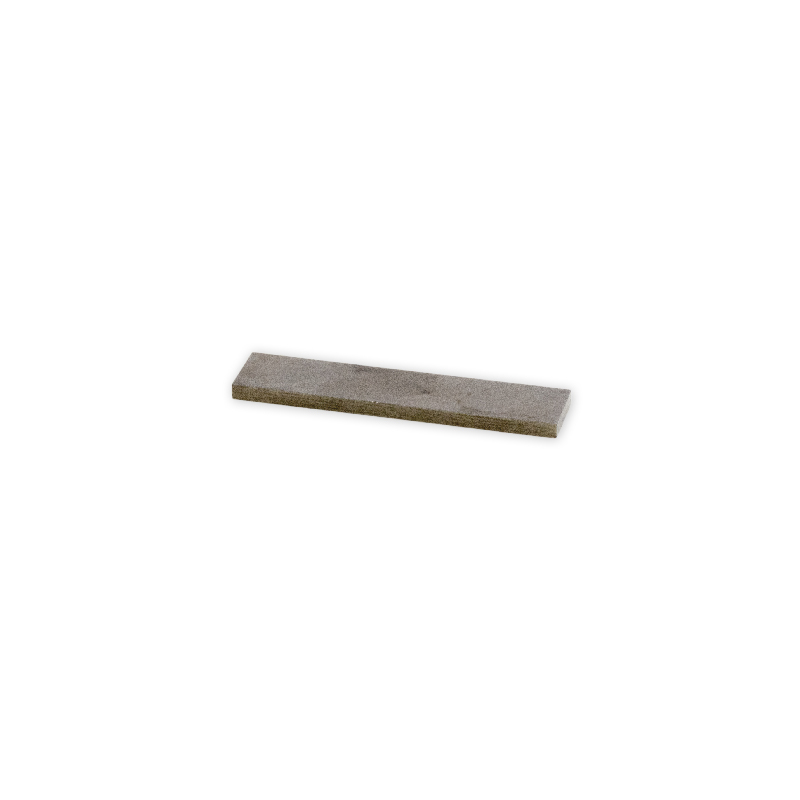 The magnets are a useful staple for many classes, and are supplied with keepers. This new, clever solution simplifies the process of building battery circuits. 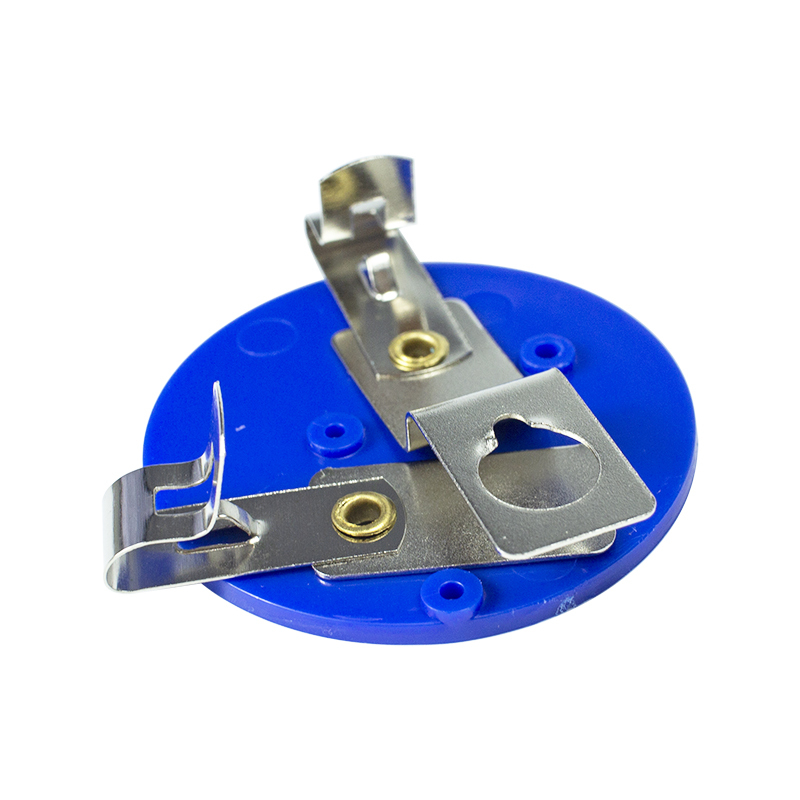 Magnetic terminals scissor open to hold bare wires (or alligator clips) neatly and securely to the ends of C or D cells. These replacement leaves are for electroscopes. They can be used with Item #3132-01 and Item #3135-30. 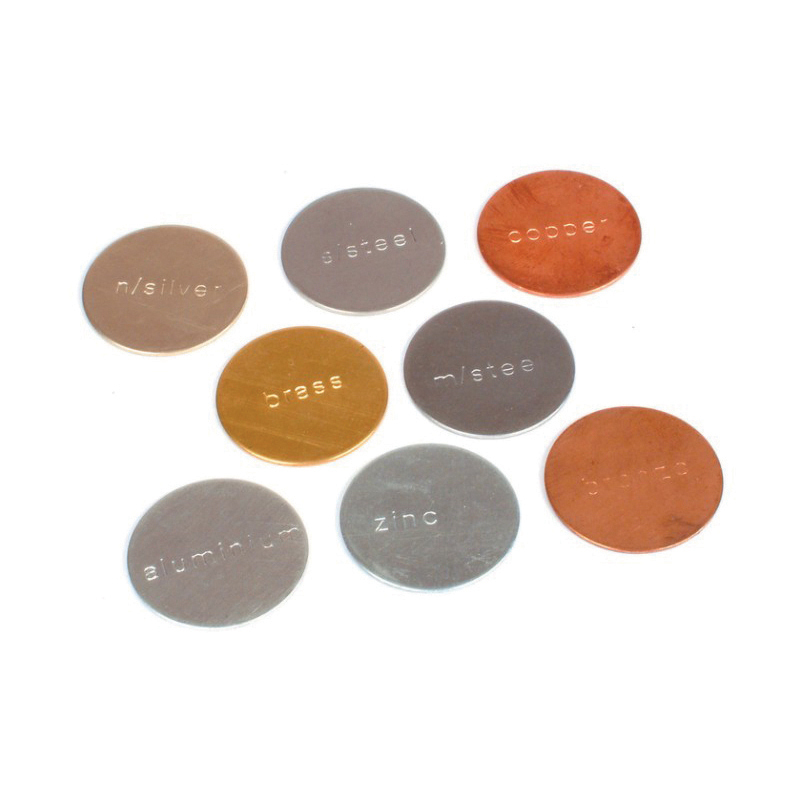 These magnets are useful for student demonstrations, plotting magnetic fields, etc. 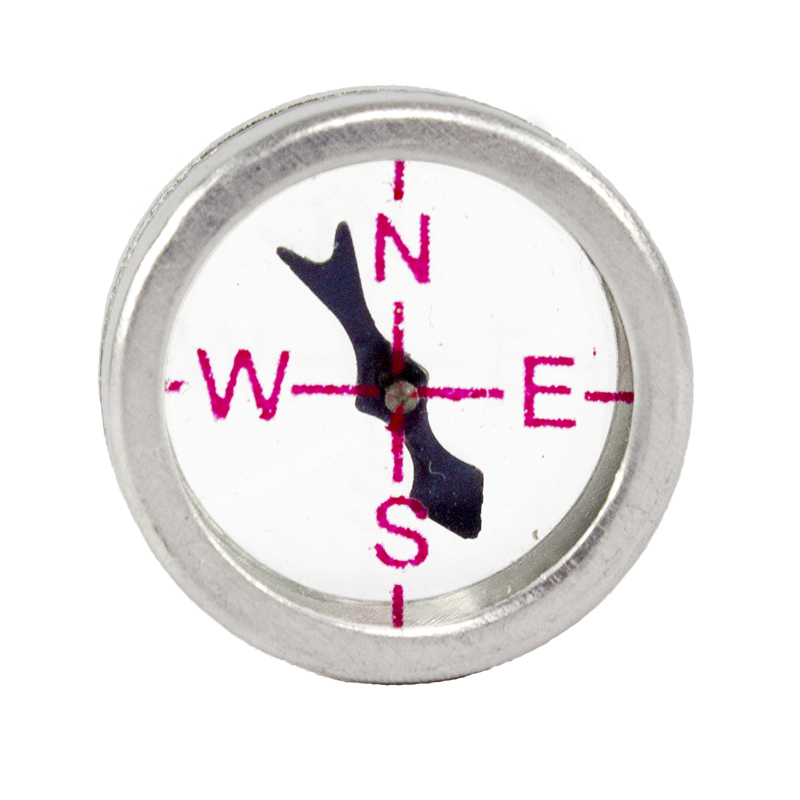 They are made of steel, nickel-plated, and engraved with N and S to indicate north and south poles. 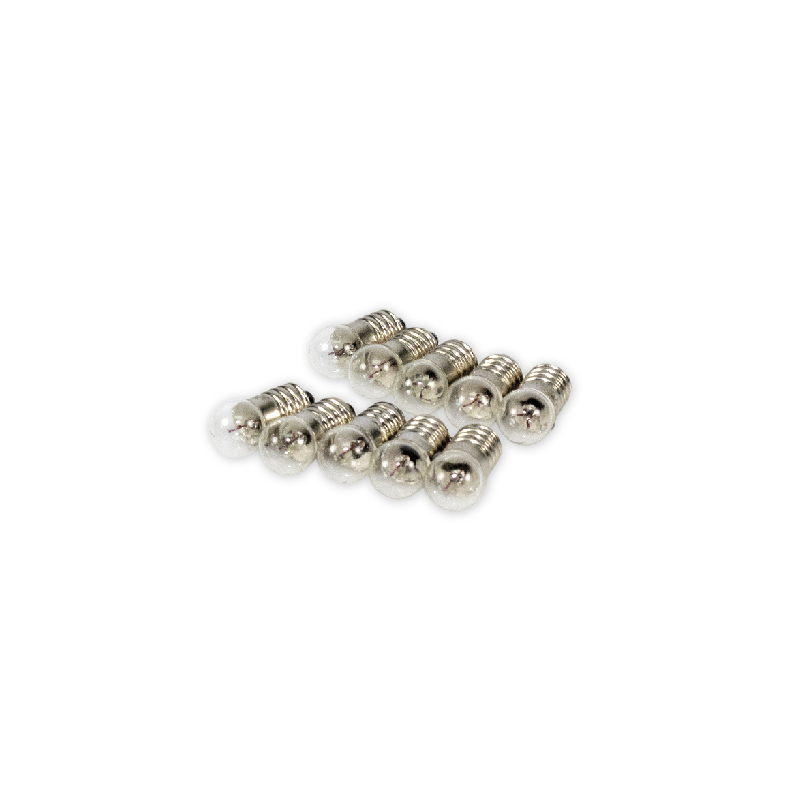 The magnets are supplied in pairs with plated soft iron keepers. 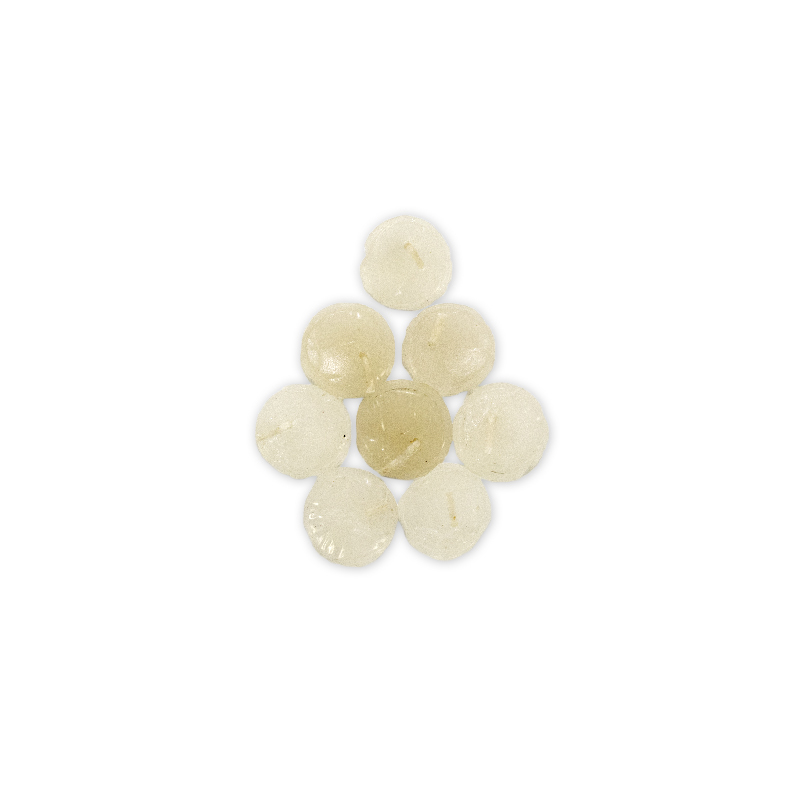 These replacement Pith Balls are for electroscope Item #3134-01. 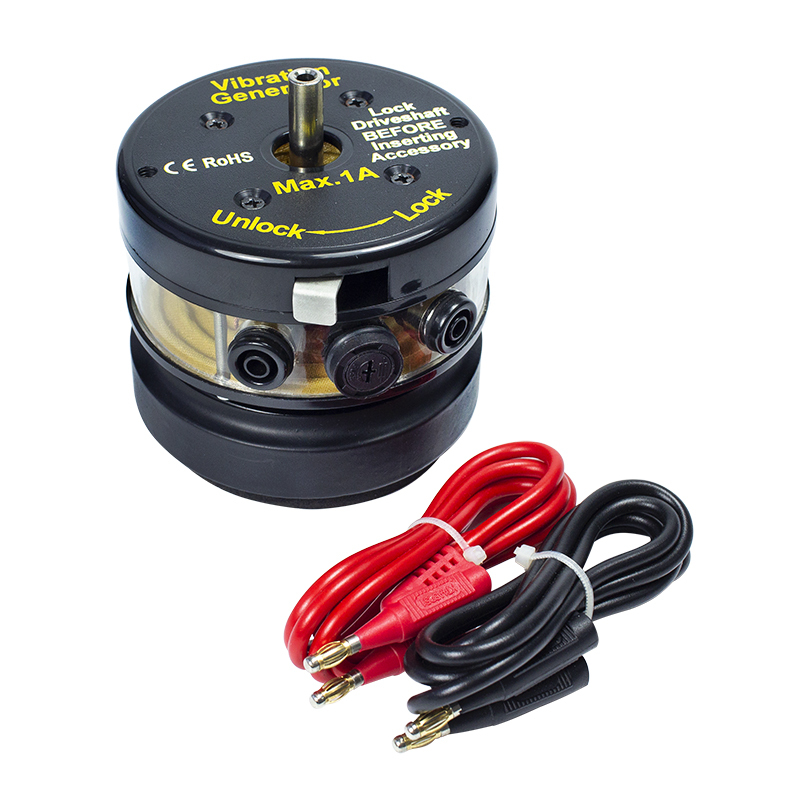 This Miniature Motor has flat sides for easy use. 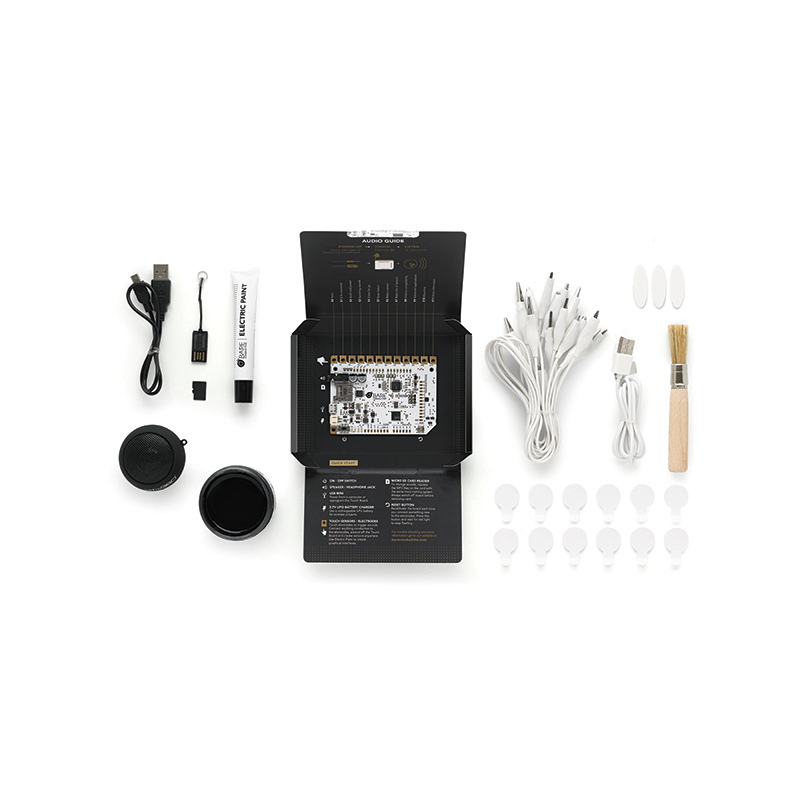 It works great for exciting demonstrations on electricity! 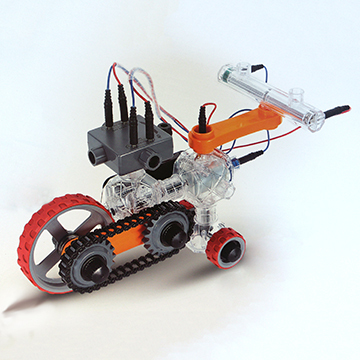 The motor is a useful staple for those interested in electric circuits. 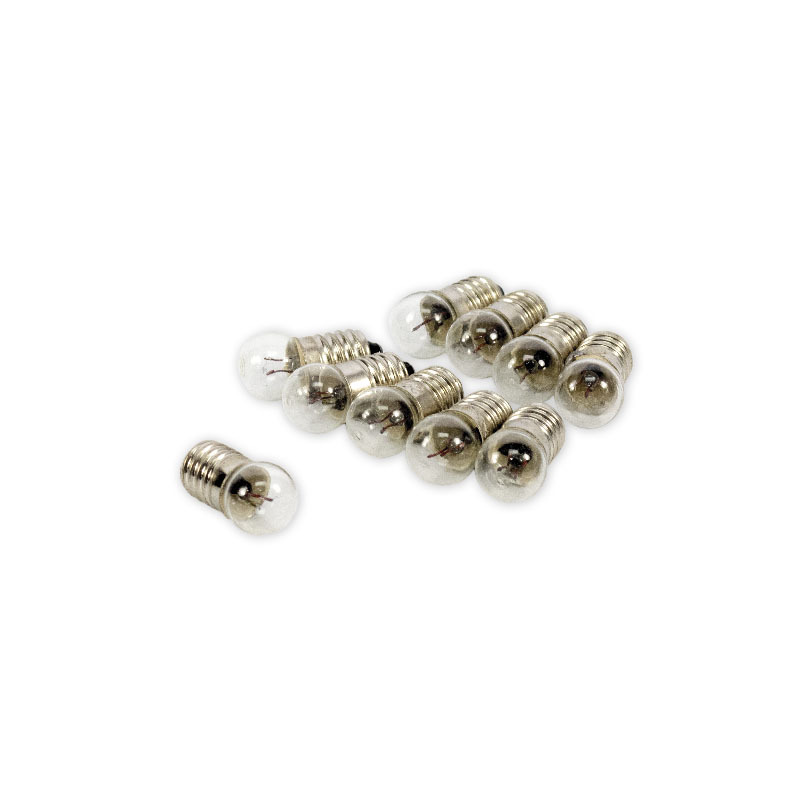 These miniature bulbs are for use with a variety of electricity and science projects. They have an oblong bulb shape. 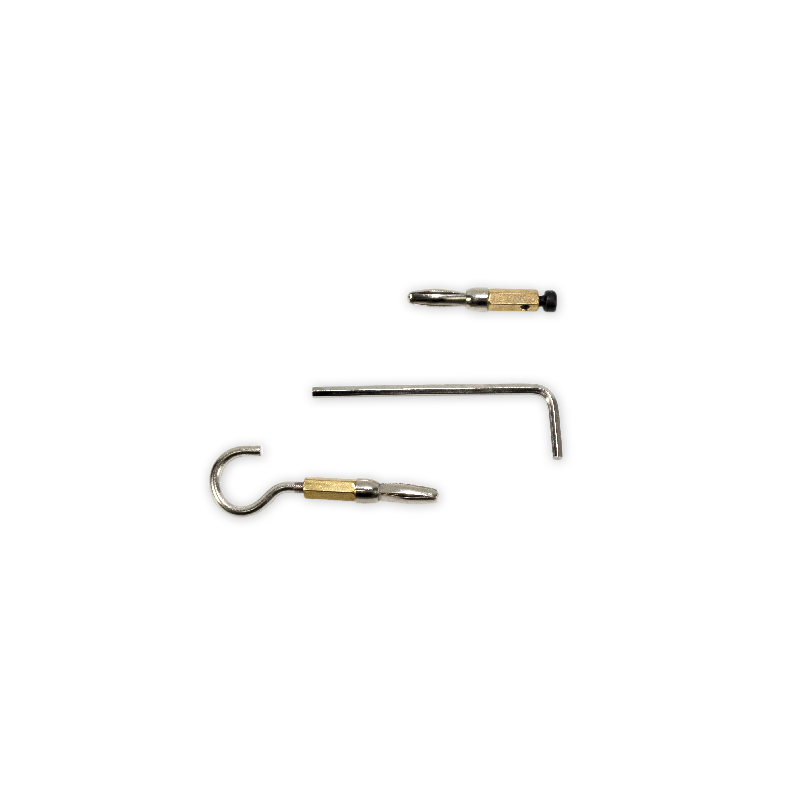 These adjustable metal discharge tongs consist of a plastic insulated handle with two arching metal rods attached at a central pivot point. At the top of each arch, a 0.5″ metal sphere is attached. The arches are adjustable to a max. distance of 11″. The two adjustable metal arches can be fastened by turning a wingnut and screw. This helps to keep any desired distance between the min. and max. span easily. 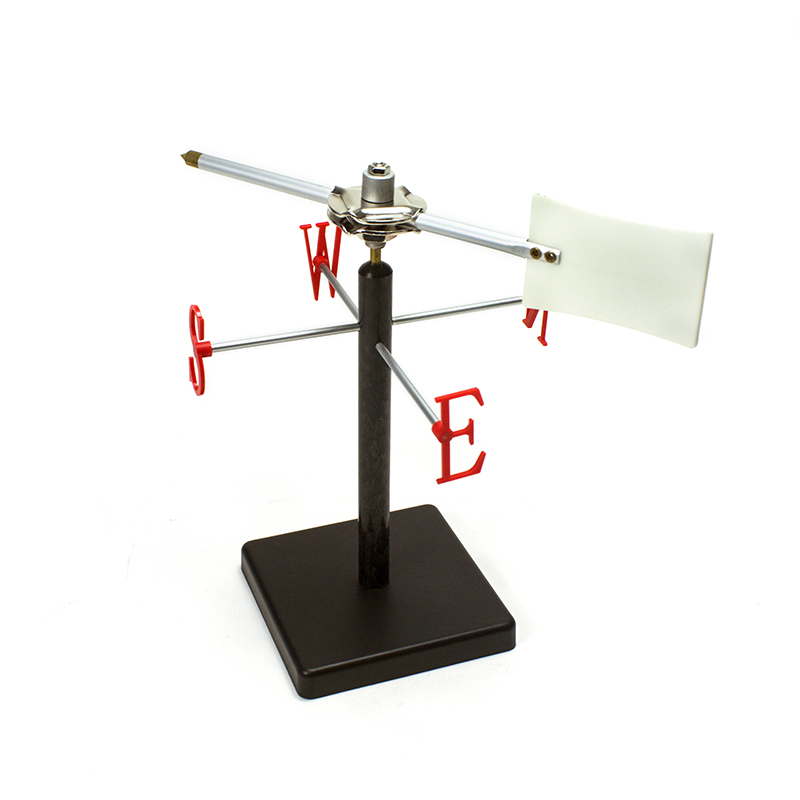 Track the direction of the wind with this sleek instrument. Wind vanes have a long history of ornamental use, but are also useful for scientific purposes. They are an important tool for weather observation. These radiation cans are useful for demonstrating solar energy and heat transfer. Just add water and a thermometer to each of the 2 cans, place them in the sun or near a bright light bulb, and watch the temperatures rise. One can is silver and the other is black. Forget the batteries! 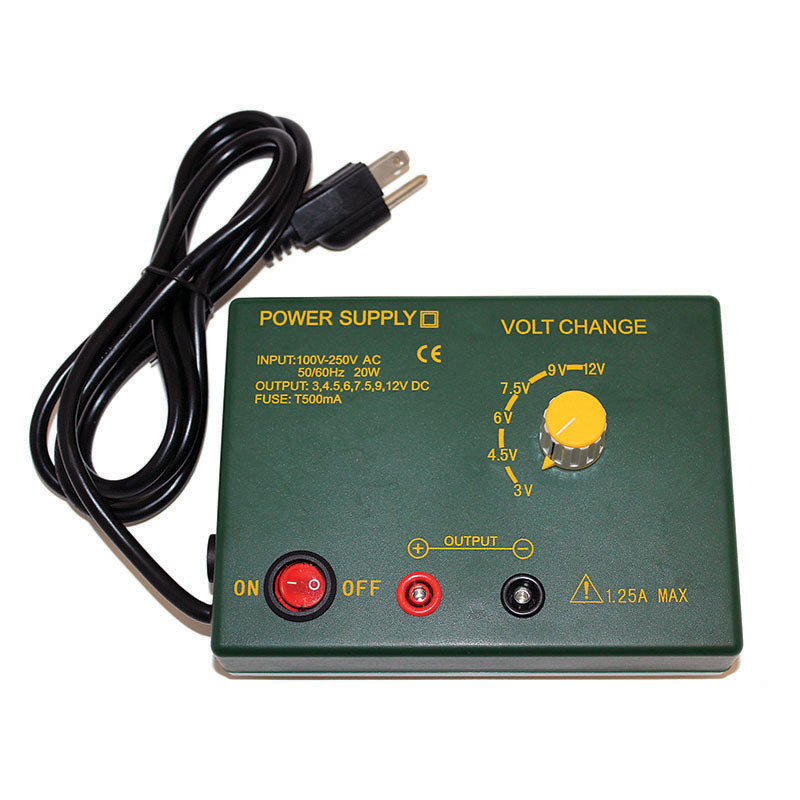 This safe and reliable power supply is a convenient source of low voltage DC power. 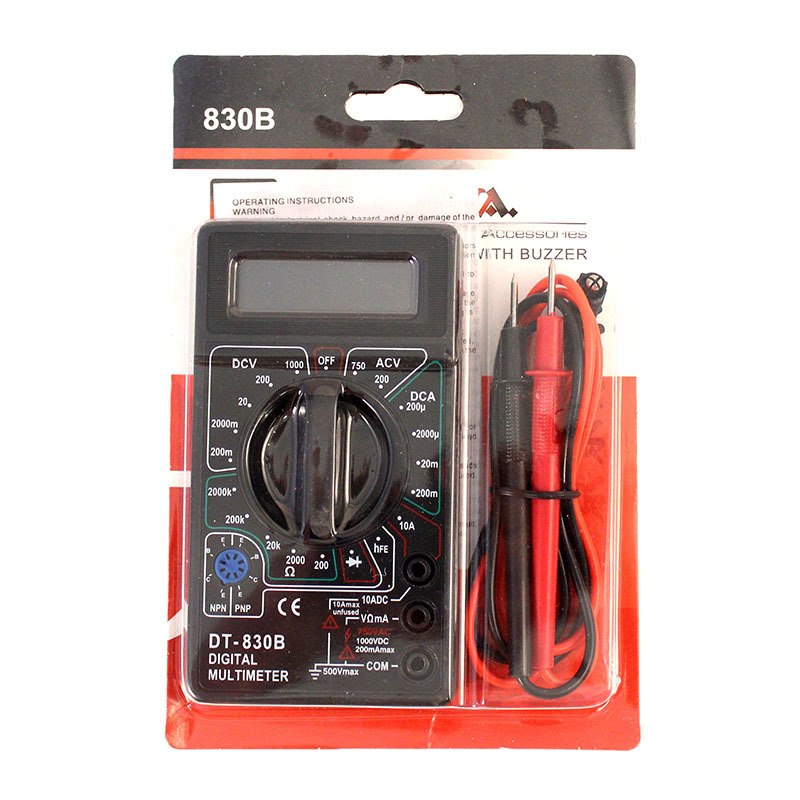 The dial easily turns to select the desired voltage and it plugs into a standard electrical outlet. 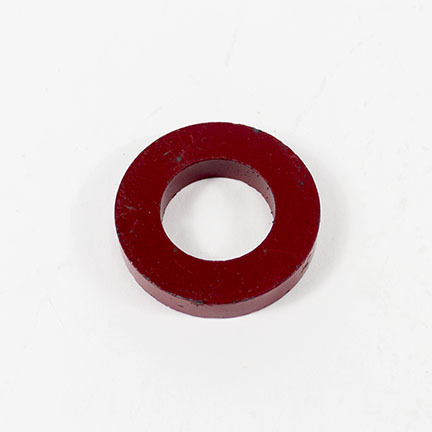 This classic magnet is suitable for many experimental and demonstration needs in general science and physics laboratory. It offers an easy way to show the power of magnetic fields. 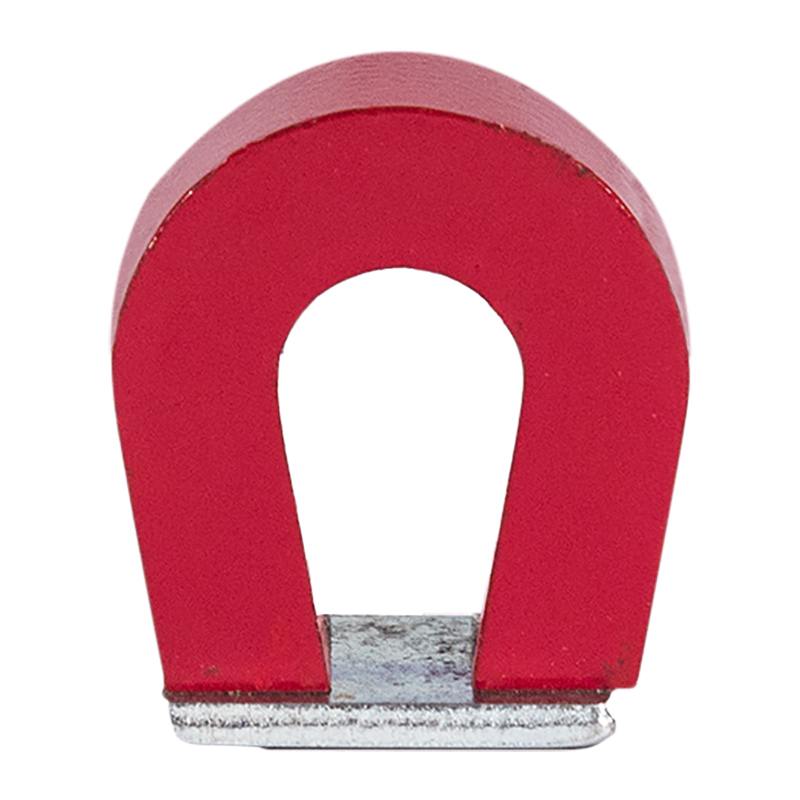 The magnet is a useful staple for many classes. 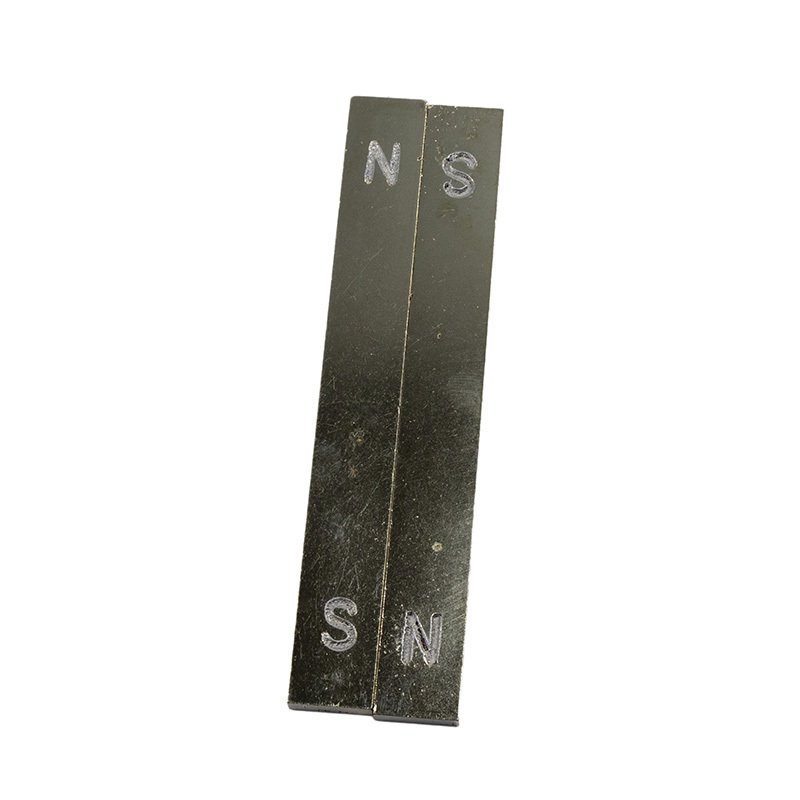 This bar magnet is Al-Fe Carbon Steel with a polished finish, and engraved with N and S to indicate north and south poles. These are very powerful and sensitive magnets. They are strong enough to hold together through hands and table tops. They are packaged in a small gift box. 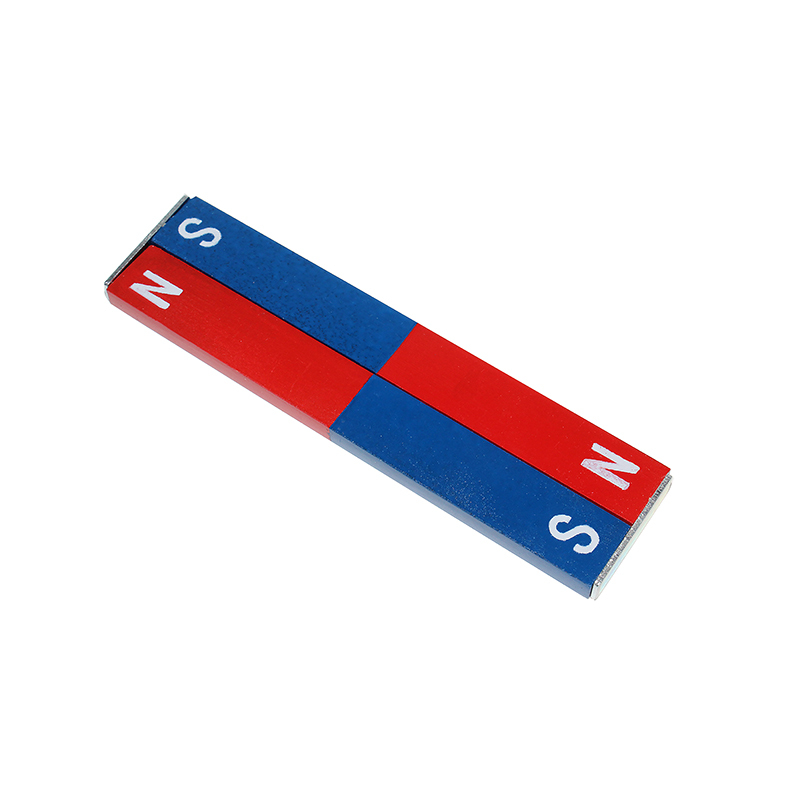 These alnico bar magnets have poles designated N and S for easy identification by young students. They are helpful for teaching about magnets in earlier grades. A red color adds aesthetic appeal. 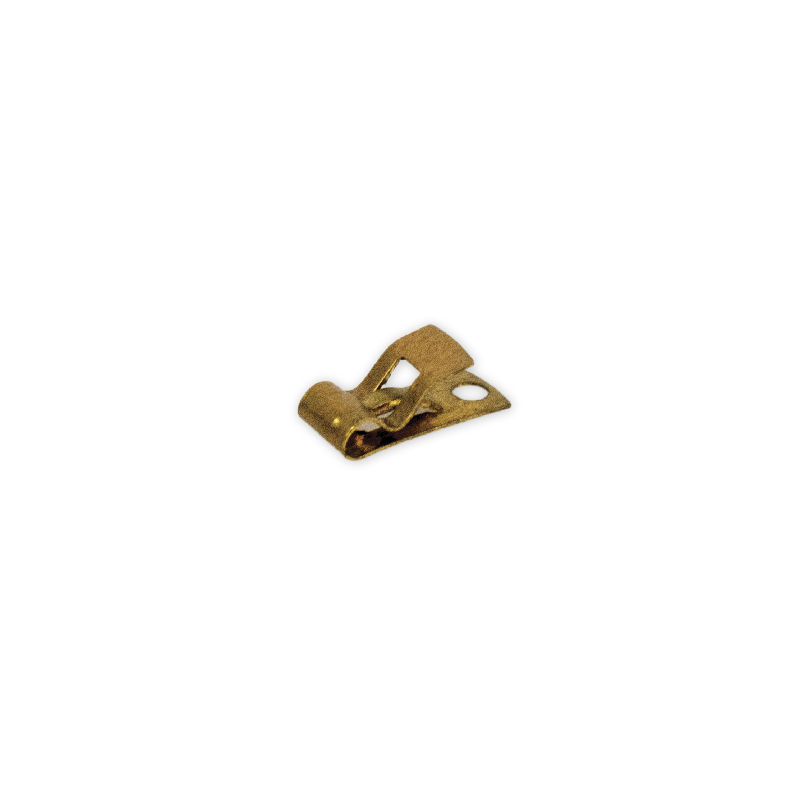 Use this spare part with our Whimshurst Machine (Item #3131-00). 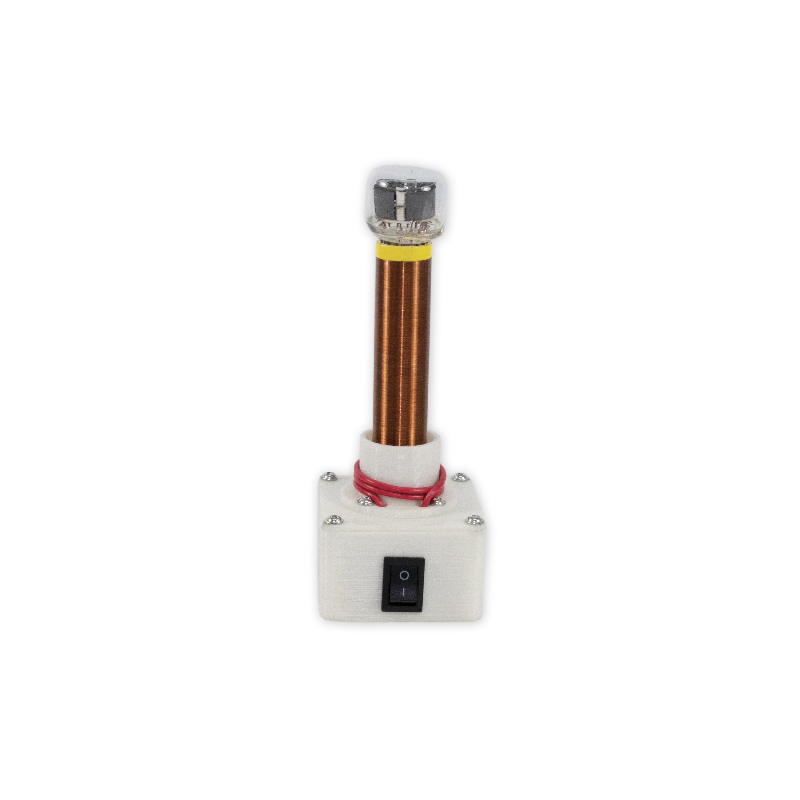 This product is a replacement part for the Vertical Acceleration Demonstrator. This item makes a captivating demonstration for all ages! The Pendulum Wave Demo simulates phases, beats, and frequencies. 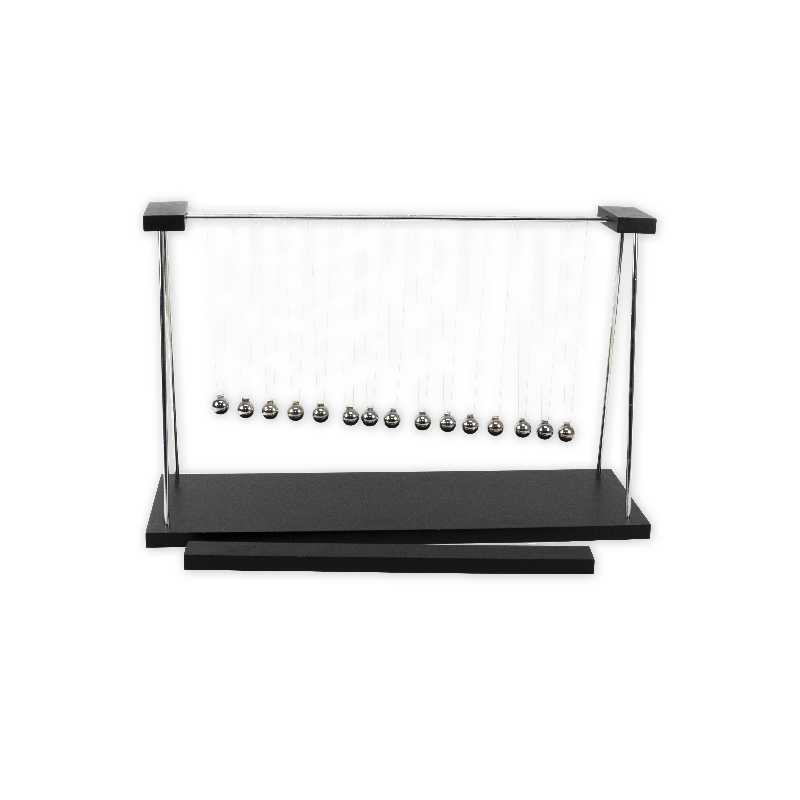 It features a stand with nine (9) 0.88″ (22 mm) steel ball pendulums and comes with an initiator stick, which helps to simultaneously release all pendulums. When released, the pendulums will swing back and forth to quickly form a wave pattern and then cycle through different phases. 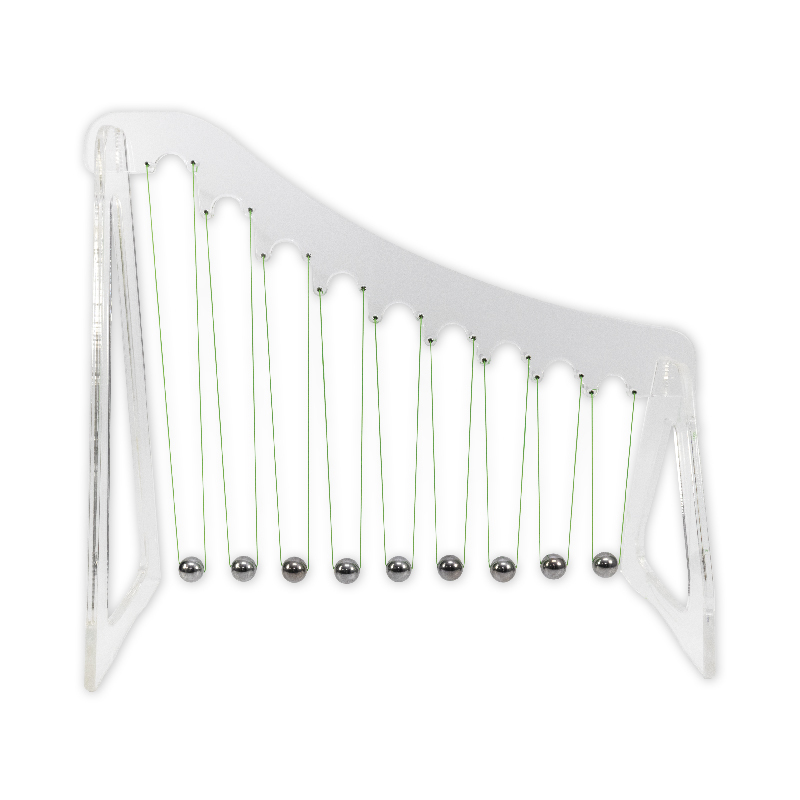 This product is great for a classroom, as a gift, or for display. Combining physics and art, the pendulum wave demonstration uses kinetic energy to create a beautiful display. Multiple pendulums, with decreasing string lengths, in motion will simultaneously create changing visual patterns that mesmerize as they move in and out of sync with each other. This is a great product for the classroom, as a gift, or as a display piece. This product is individually crafted of forged steel. It’s stamped with the musical scale note sounded by the fork and the frequency at the base of the tine of each fork. This Levitating Globe defies gravity and inspires wonder and amazement! Great for a classroom, office, or home, it will be an unforgettable conversation piece. 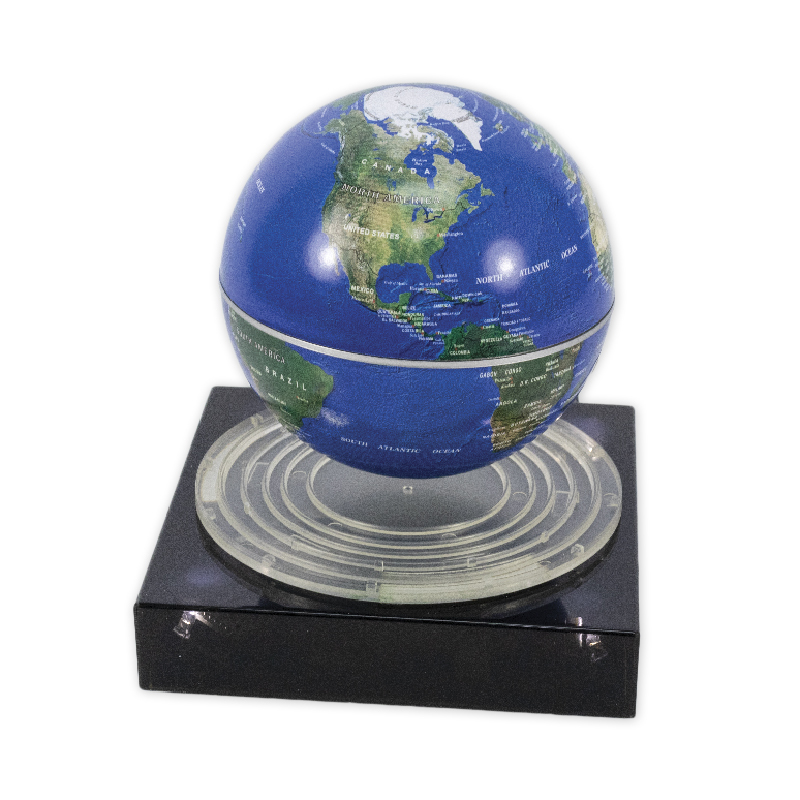 The globe comes with a semi-clear base perfect for discussing the inner workings of this fascinating product! This classic toy got a total makeover! 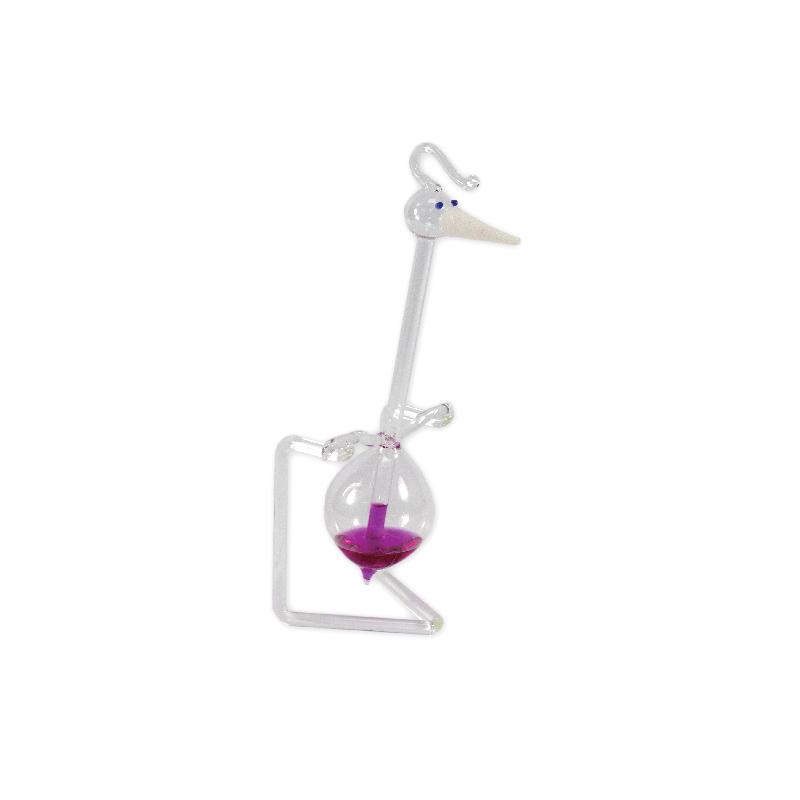 This all-glass, eye-catching drinking bird will look like a piece of art on display in your classroom, office, or home. Set it next to a glass of water and watch as it demonstrates the laws of thermodynamics that allow the bird to “drink” indefinitely. 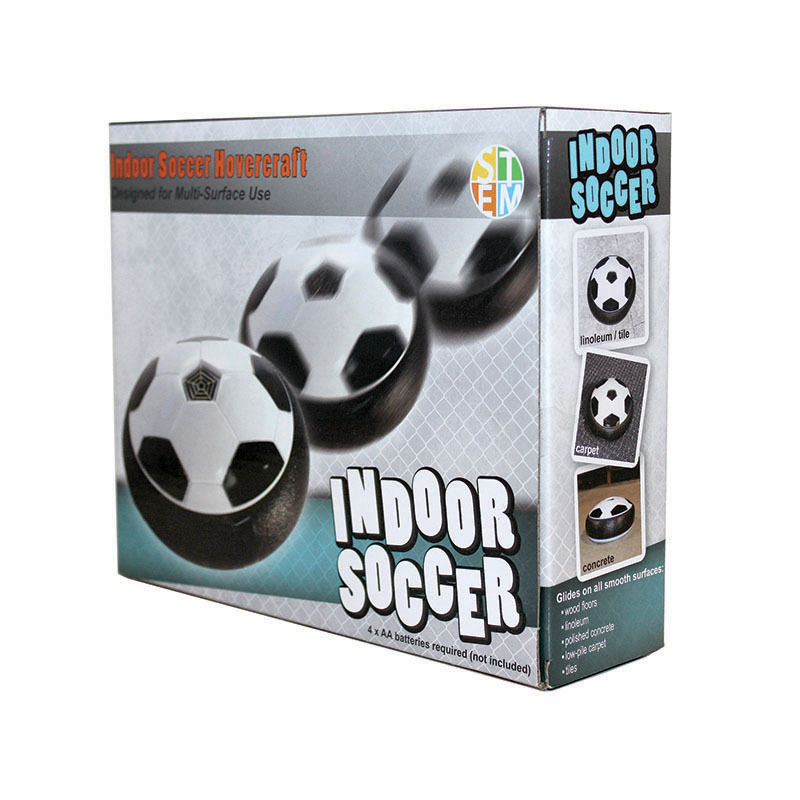 Demonstrate Newton’s Laws, energy, and momentum with the amazing Air Puck! 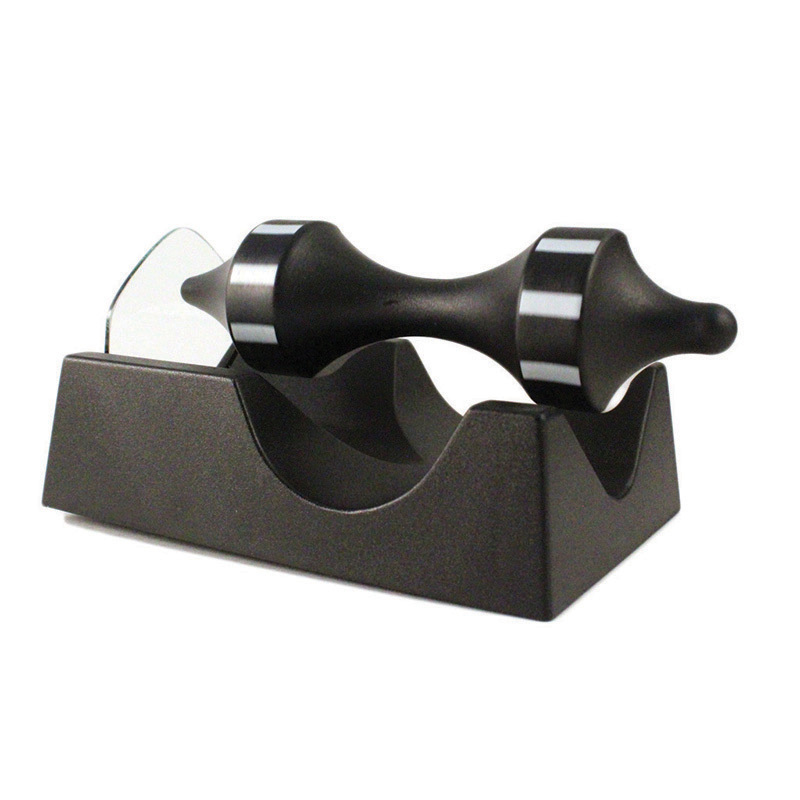 It’s perfectly balanced and glides on a cushion of air for nearly frictionless motion across any smooth surface. 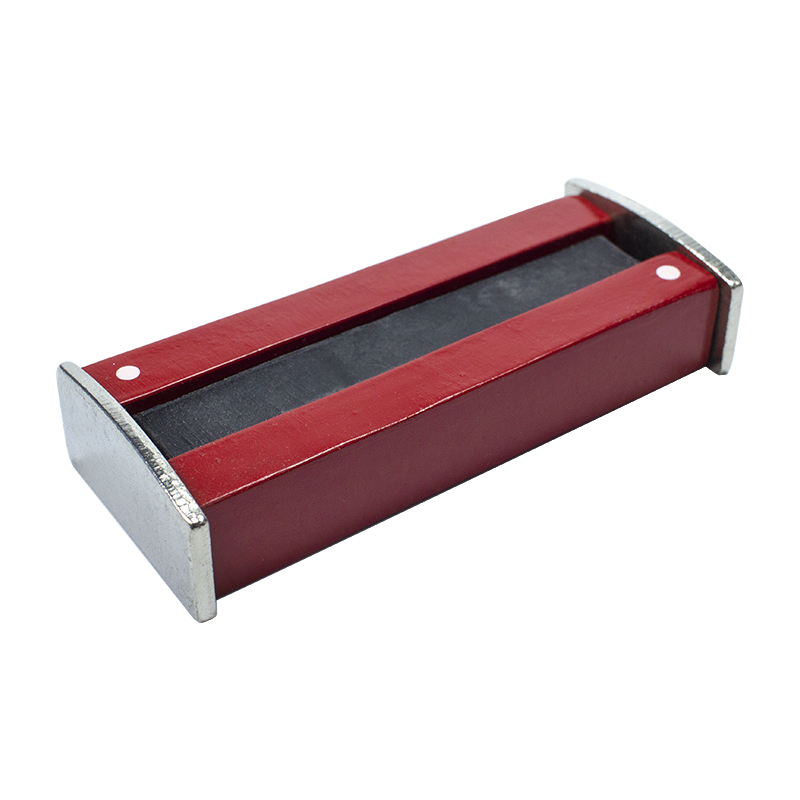 Sturdy bumpers will survive collisions with walls, shoes, or other Air Pucks. This electromagnet can hold over 2 lbs! When the current is removed, the unit does not carry residual charge. It’s a useful tool for illustrating the principles of electromagnetics! This fascinating anti-gravity demonstration works on the principle of repelling magnets and is ideal for discussing magnet levitation and frictional force experiments. With a simple twist of the fingers, the axle spins horizontally in a state of near-perpetual motion for up to 20 minutes. Black and white reflecting strips on the axle allow students to observe the patterns created by the alternating colors and to measure rotation speed using a stroboscope (not included). 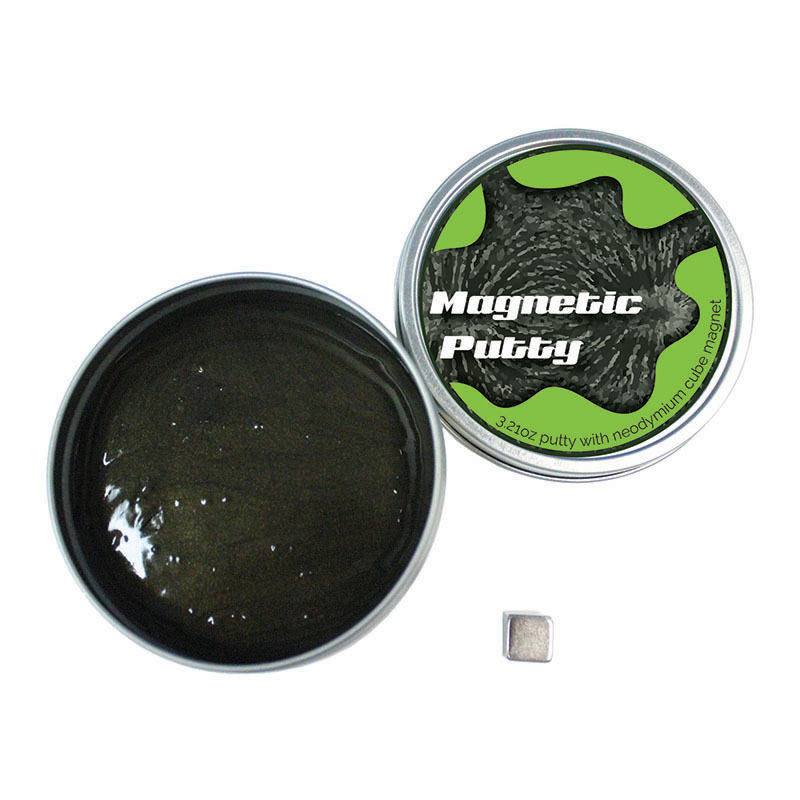 Made with micron-sized, iron-based particles distributed throughout, the astonishing, moldable Magnetic Thinking Putty takes on the properties of a magnet itself when placed in close contact with the included magnet. It’s perfect for science-loving kids, or for any adult that loves intelligent play! Use the magnet to do the “snake charmer” trick. Or leave the magnet on your ball of putty and watch it completely engulf the magnet in minutes! What can you do with it? The possibilities are endless! 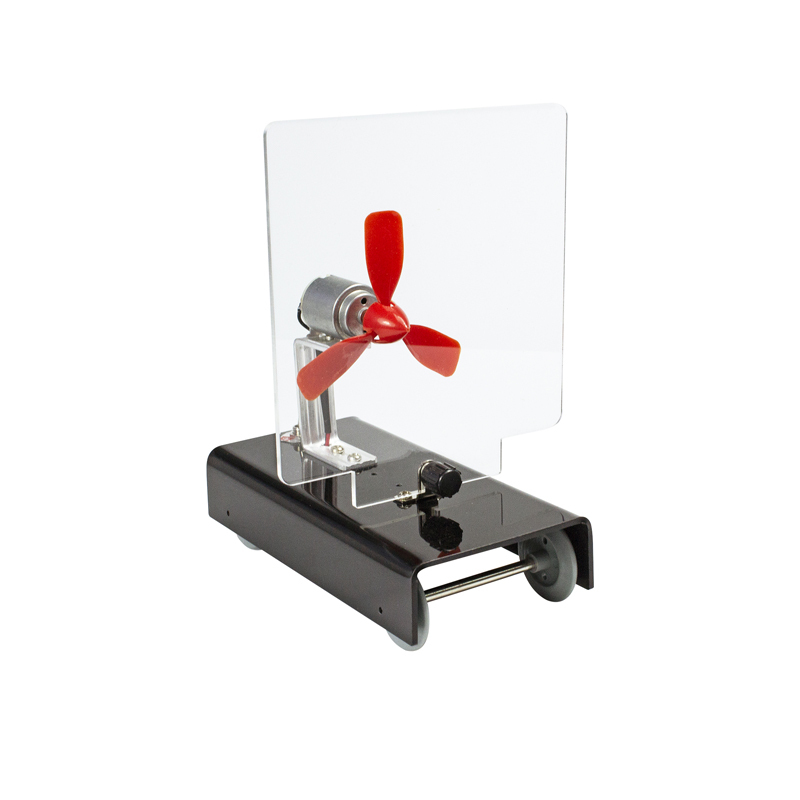 This fan cart is ideal for displaying Newton’s laws of motion, force, acceleration, and mass in action. This cart is easy to use, making it perfect for demonstration of these principles in any classroom. 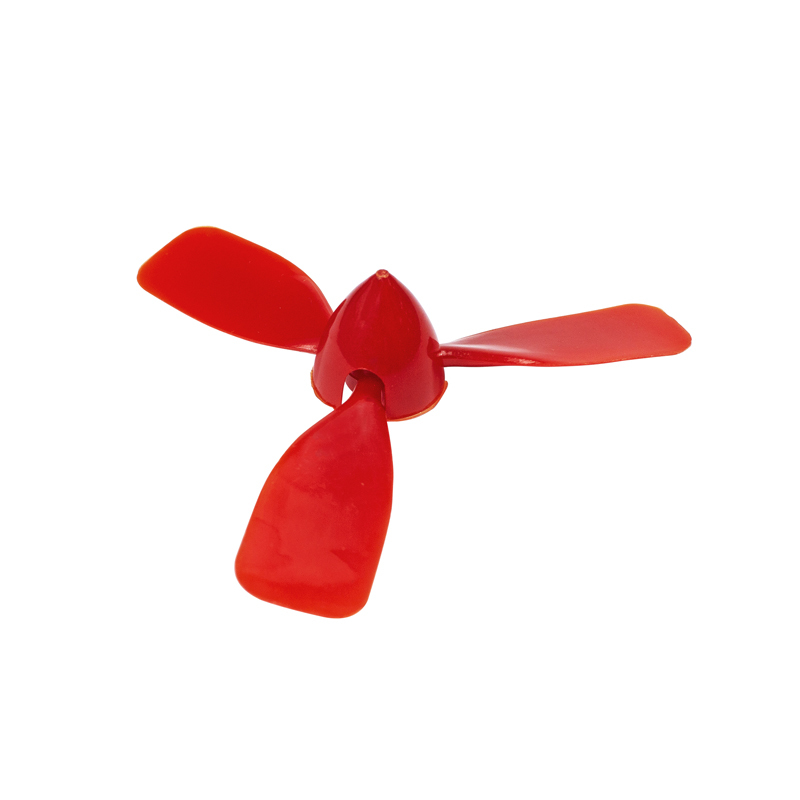 It comes with a removable sail, to display action-reaction and to control motion. Different battery clips that come with the fan are used with 1 or 2 AA batteries which helps to show the impact of different net forces on acceleration. 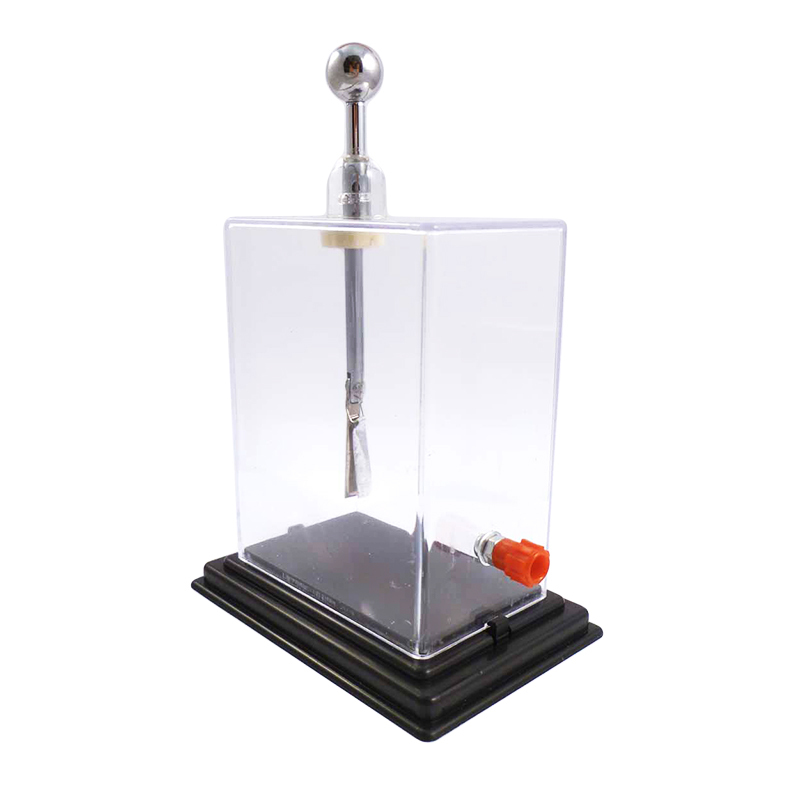 This quality hand-held electrode can be used with a generator, such as a Van de Graaf generator. Its polished aluminum sphere at the top safely discharges a generator by receiving the electric discharges it releases. 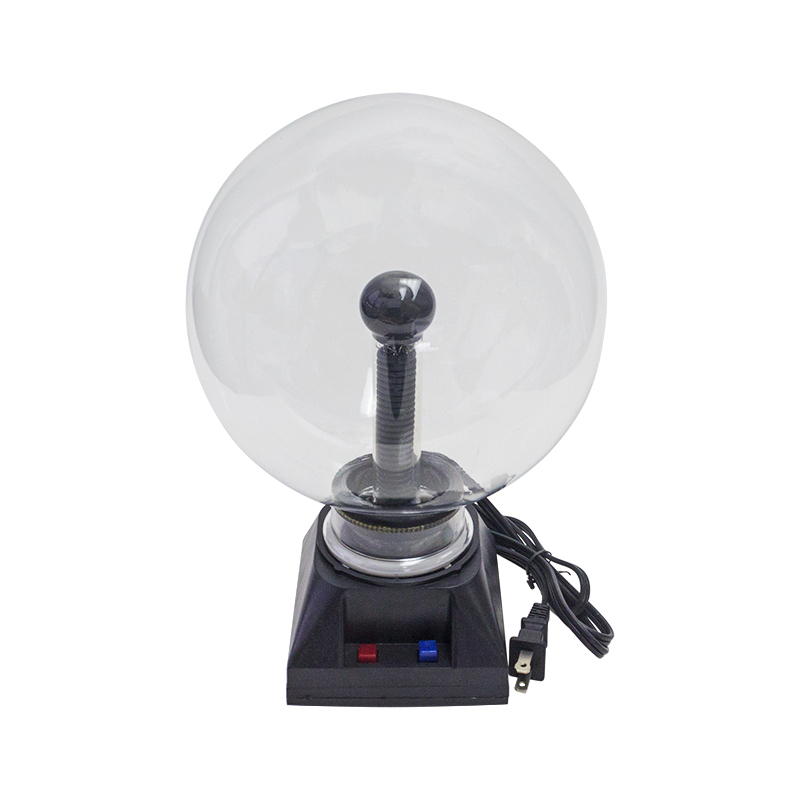 The sphere is mounted on an insulated rod for easy and safe handling of the electrode. 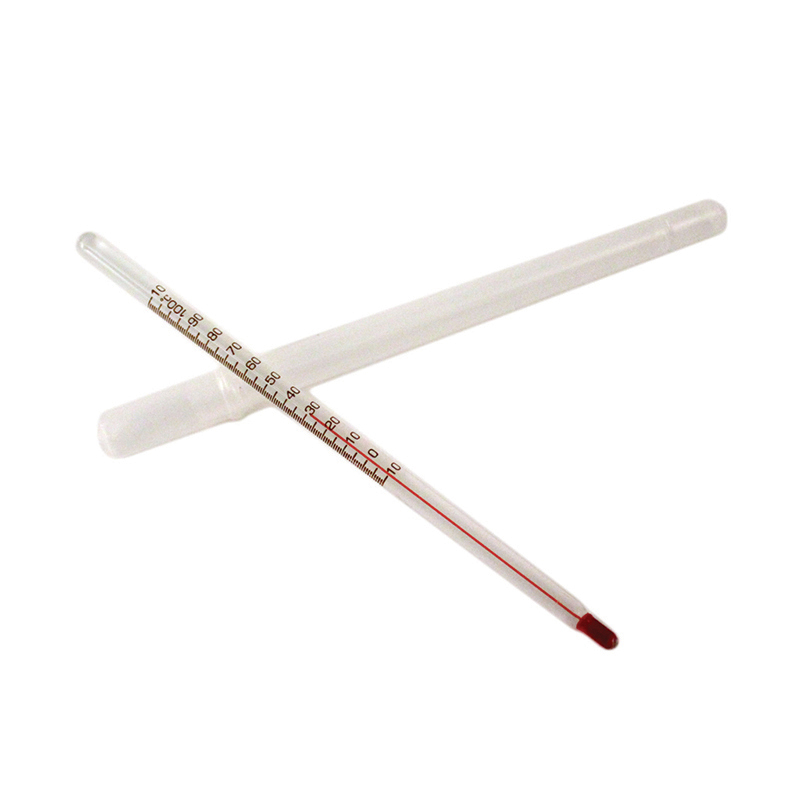 Use this total immersion alcohol thermometer in the classroom. It is useful for measuring the temperature of liquids in Celsius up to 110°. 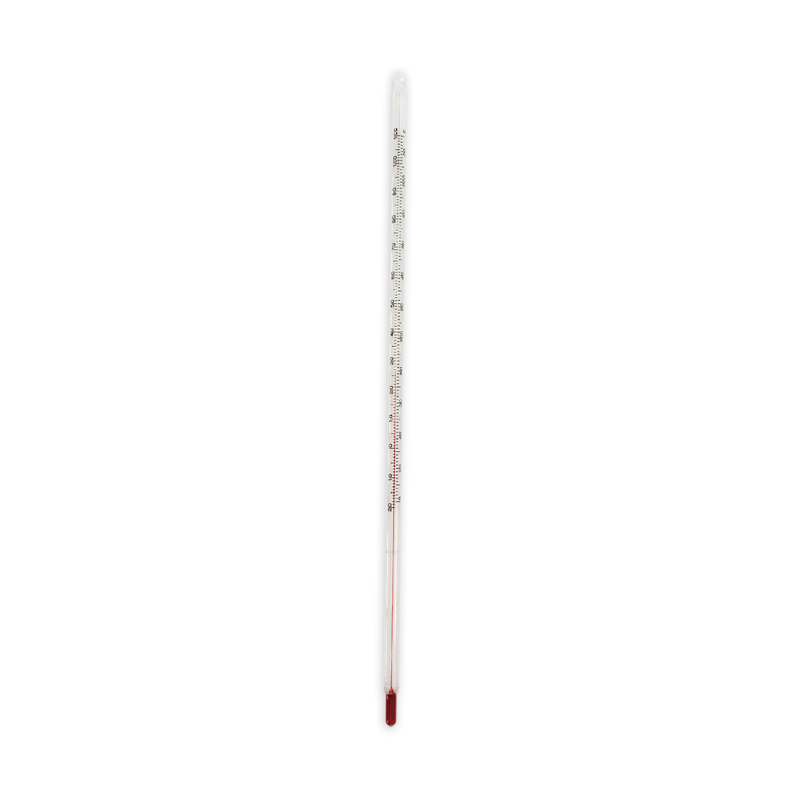 The thermometer has contrasting colors for easy readability. 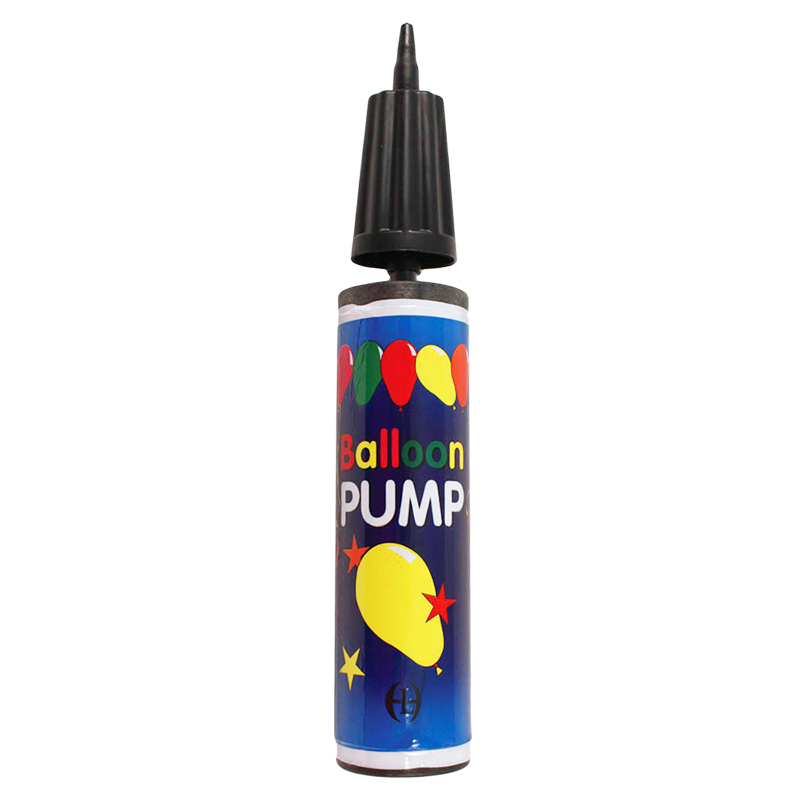 This hand pump is for our Balloon Helicopter Kit (Item #7030-00). 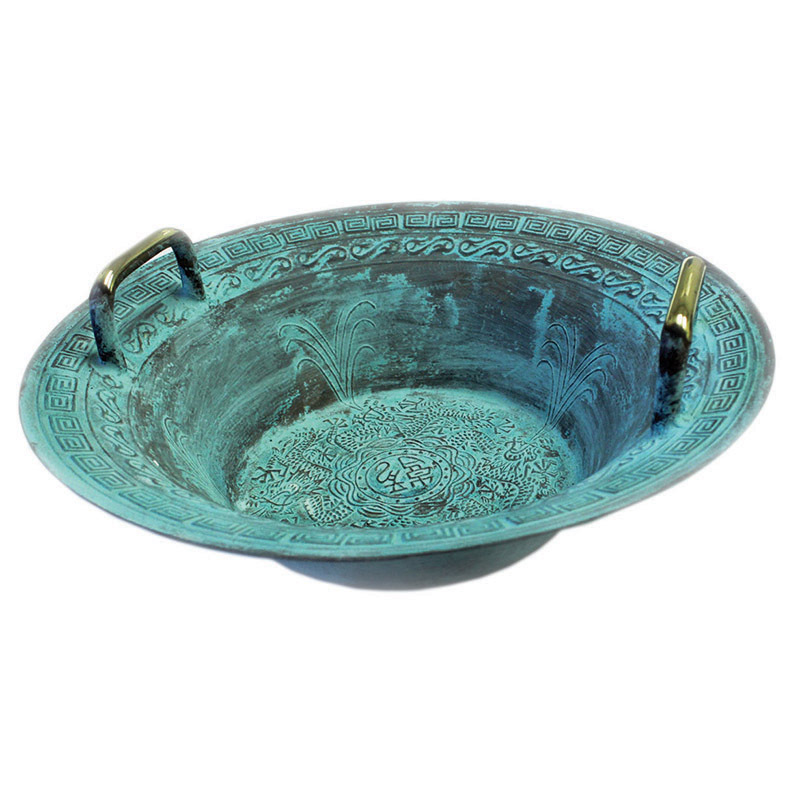 The Chinese Spouting Bowl first appeared in the Han Dynasty (202 BC-AD 9). 4 “Han” dragons can be seen in the bottom of the basin, spraying streams of water up the sides of the bowl. It is said that the bowl was a kind of plaything for nobles, gifted scholars, and socialites in the Ming Dynasty. 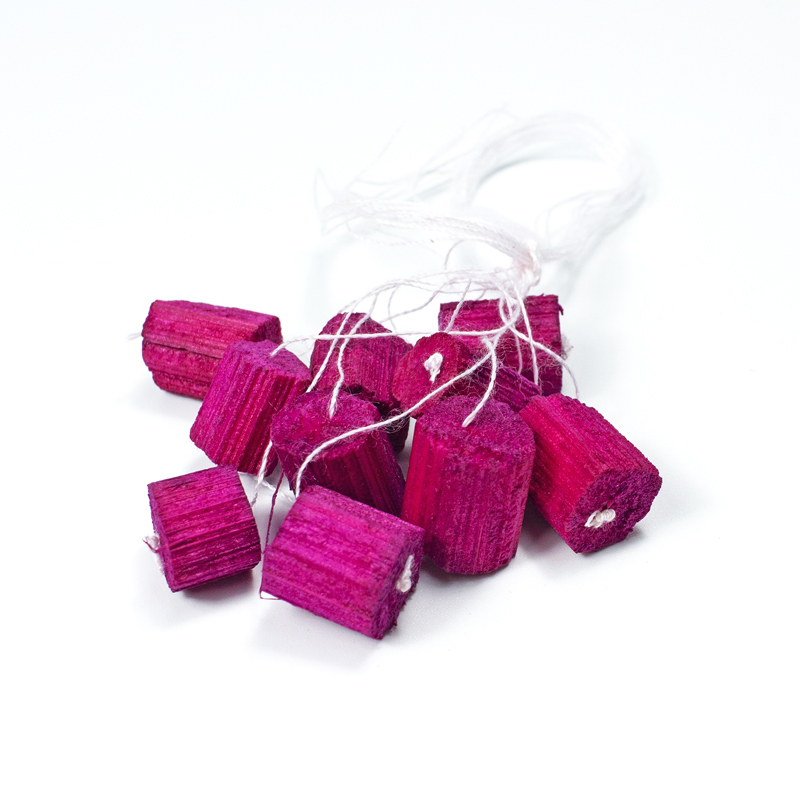 It was believed to foster happiness, prolong life, and increase strength. 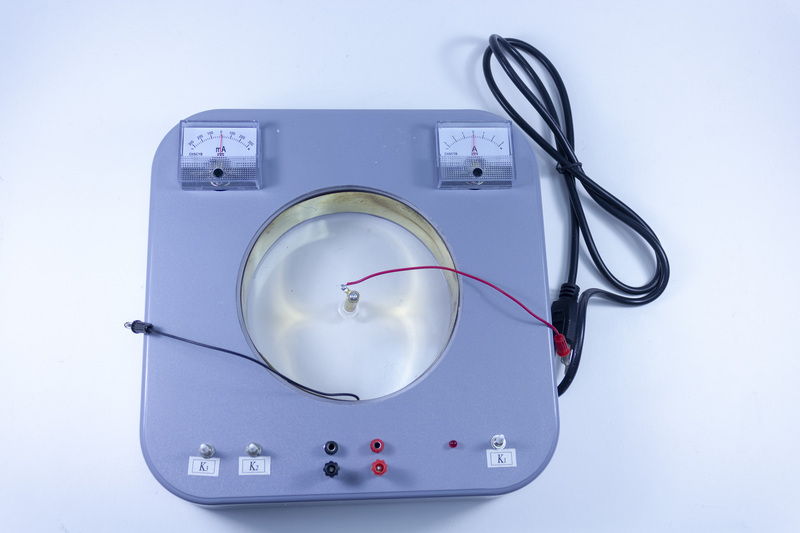 Use the Resonance Bowl to demonstrate the behavior of waves and their interactions. Vibrations made by rubbing the bowl’s handles causes the water surface to ripple around the rim. Soon, water drops shoot up, quickly becoming continuous streams like tiny fountain jets. The water droplets and jets grow and diminish with each rub of the handles. It is believed to generate the precise frequencies needed to produce standing waves and the spouts of water rise from these waves. 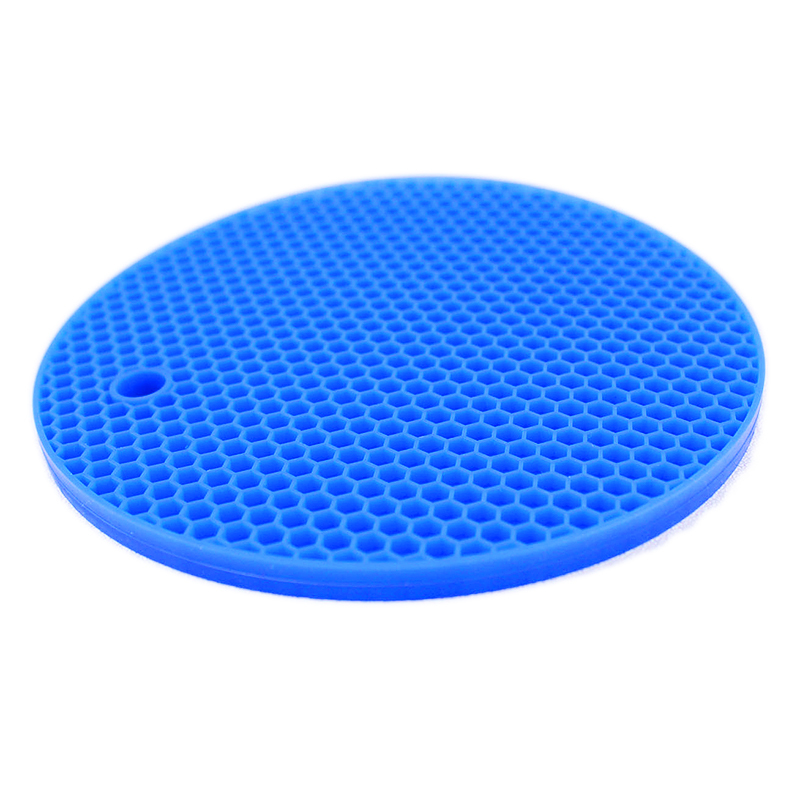 This mat is a must-have when using our Resonance Bowl! The material and design help prevent slipping and allow for larger standing waves by preventing vibrations from transferring to the table. 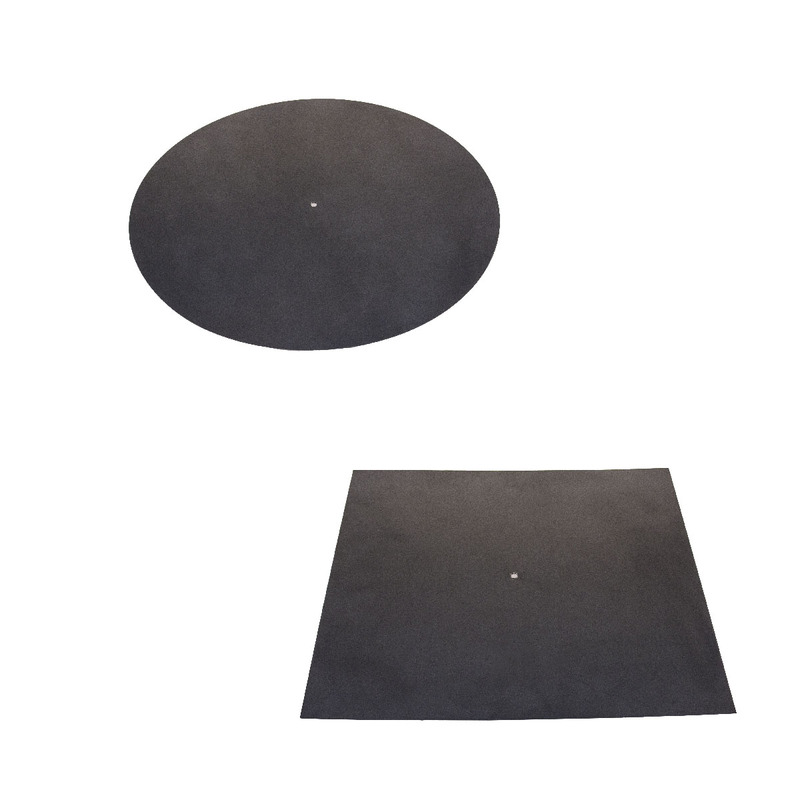 The mat is also great for moving or setting hot beakers on in the lab or for personal use. • 7″ (180 mm) Dia. This Energy Ball now has upgraded electronics, and a pull tab to preserve battery life. It is a great way to demonstrate for kids how to conduct electricity in a circuit. The ball contains 2 small metal electrodes that, when touched simultaneously, cause it to light up. 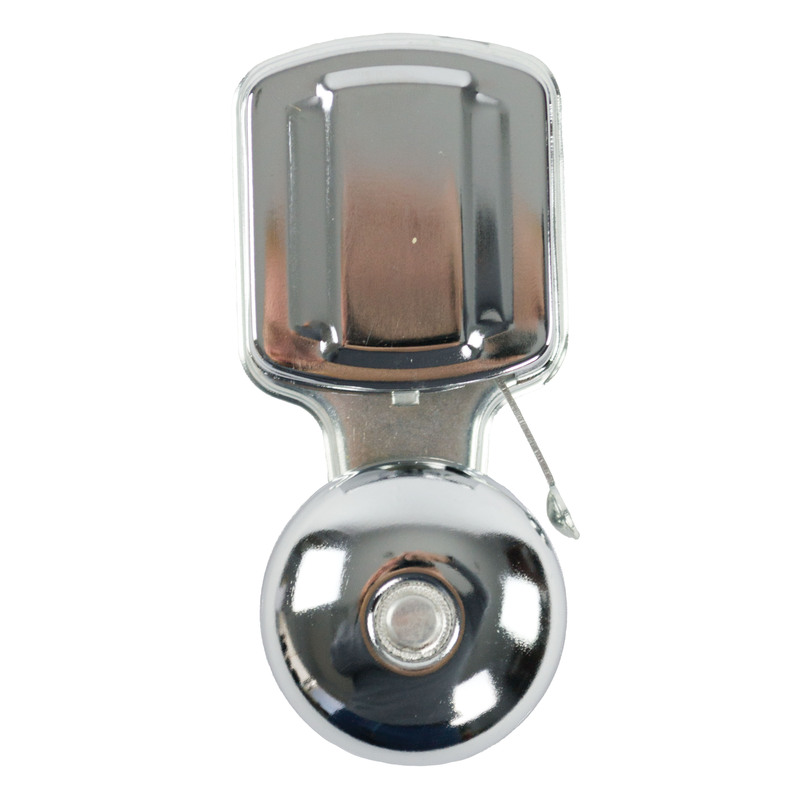 This bell operates on 3 to 6 V DC battery or 6 to 10 V AC transformer. 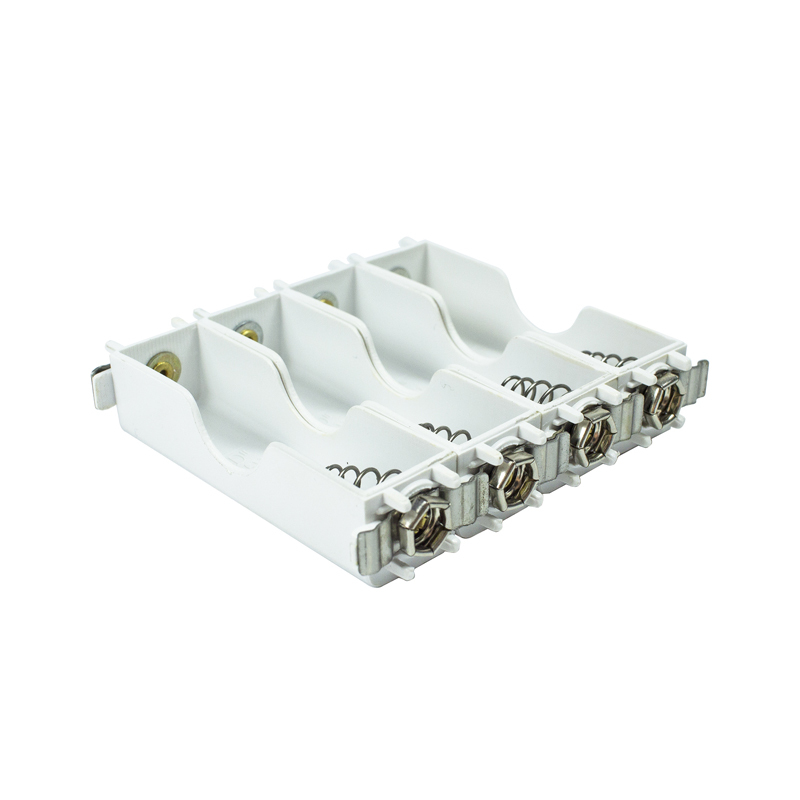 The coils and terminals are enclosed under a snap-on metal cover. The bell is removable for use as a buzzer. Effectively illustrate Newton’s Third Law with this exciting and simple product. The product allows you to conduct a fun demonstration that’s great for younger kids learning about science. It makes a great addition to science classrooms! 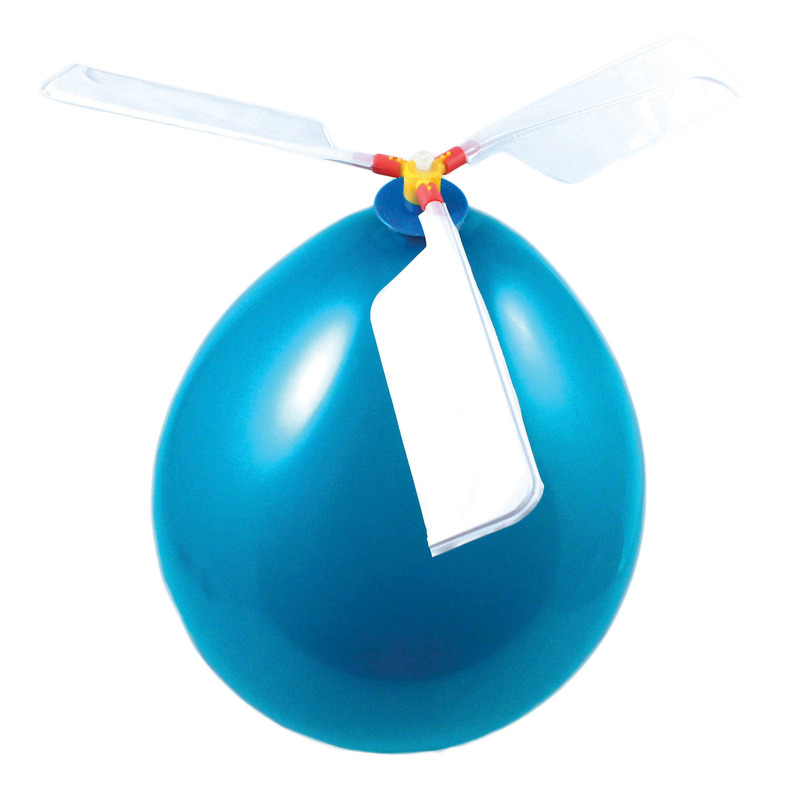 This Replacement Balloon is for our Balloon Helicopter Kit (Item #7030-00). 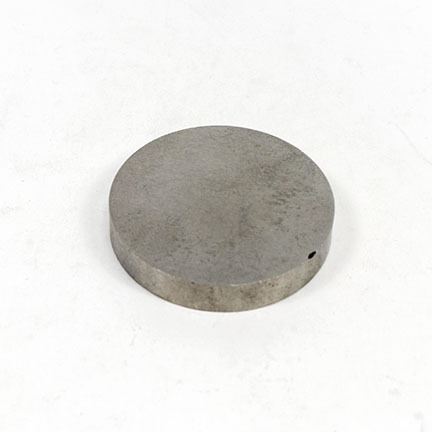 This magnet is suitable for conducting many experiments and demonstrations in the physics lab. Tuning forks are an excellent tool for demonstrating the physical nature of sound. Simply hit the fork with a mallet and a steady tone will emanate. This fork comes in a plastic pouch and is a great addition to physical science classrooms.